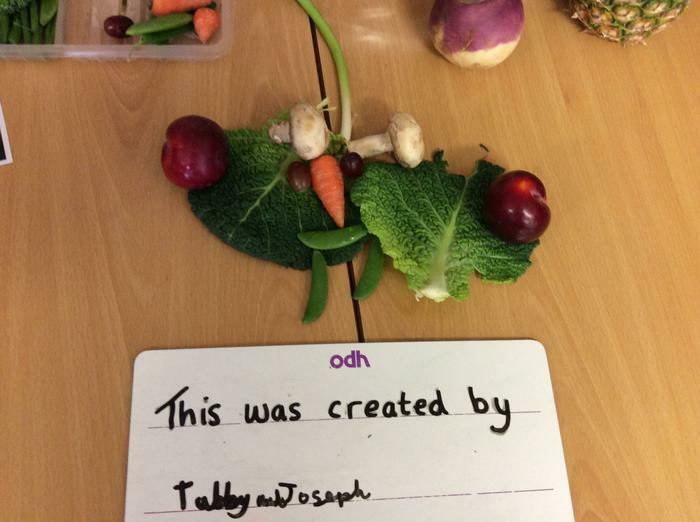 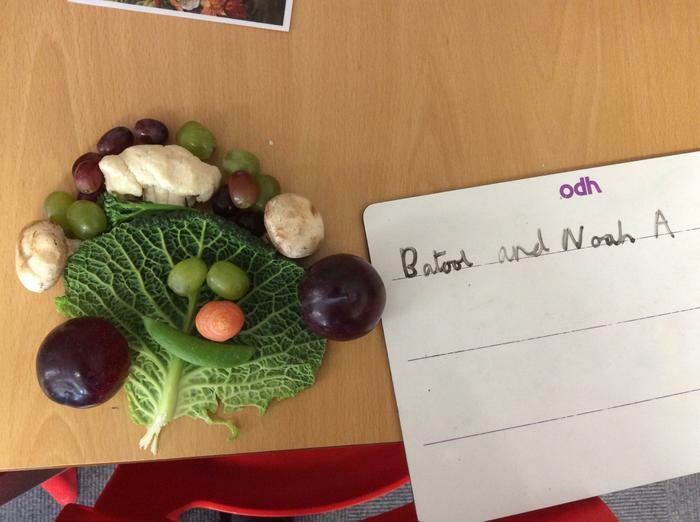 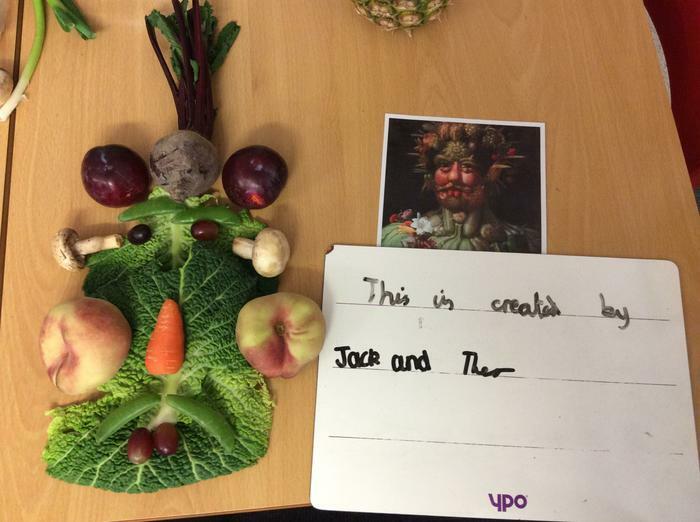 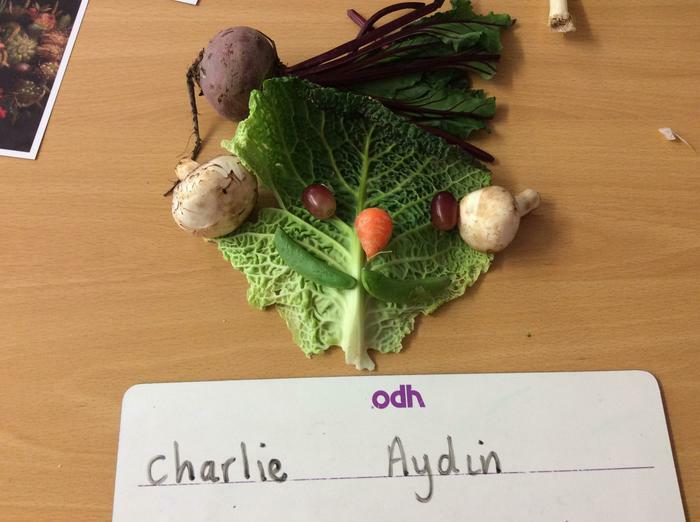 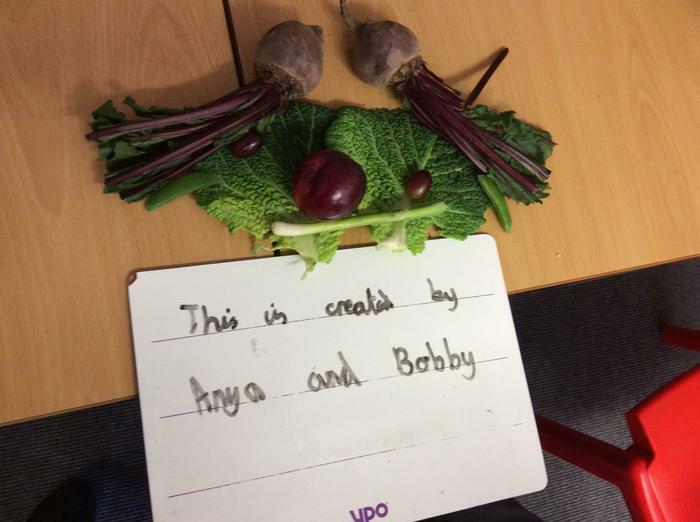 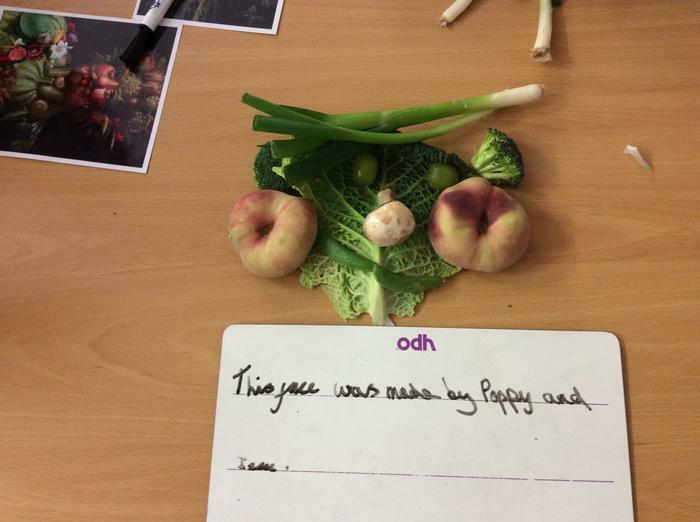 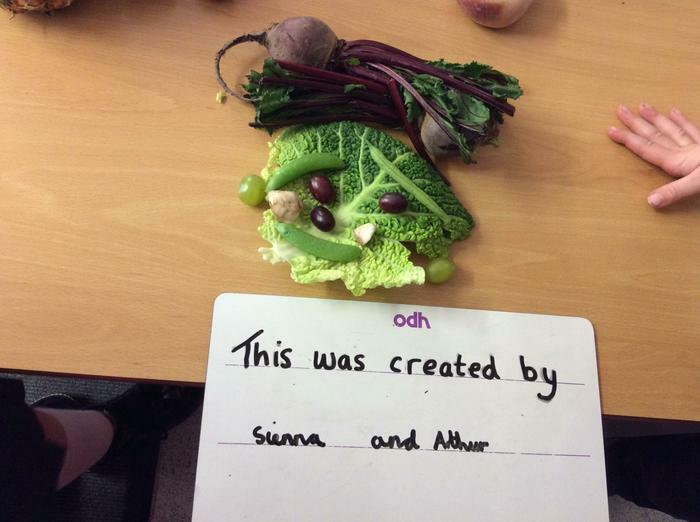 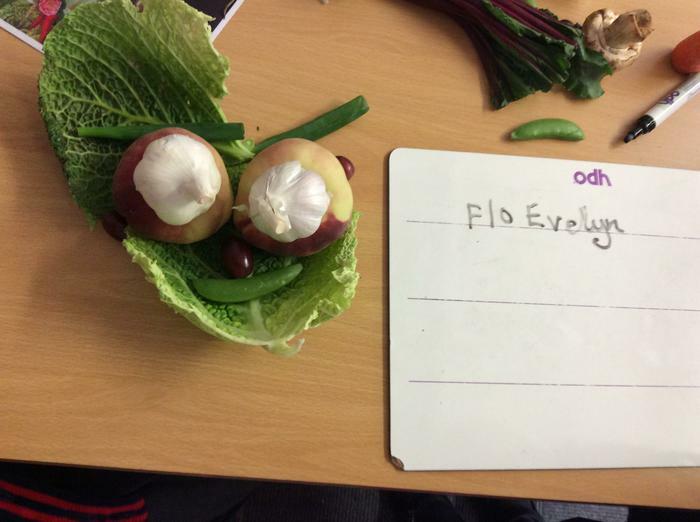 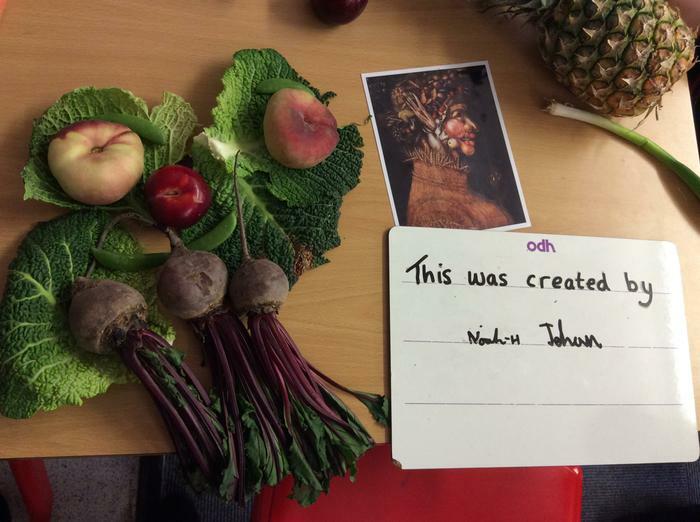 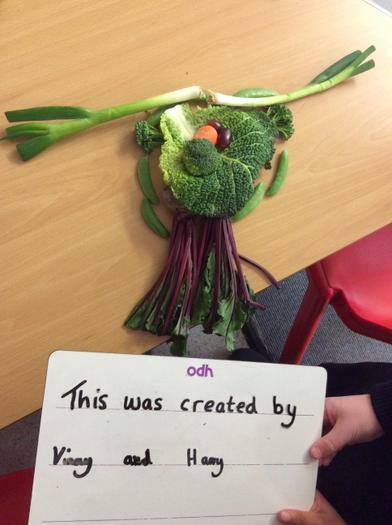 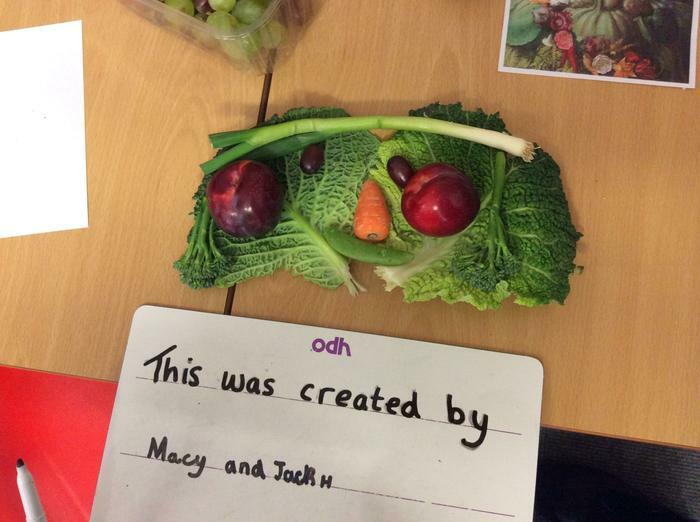 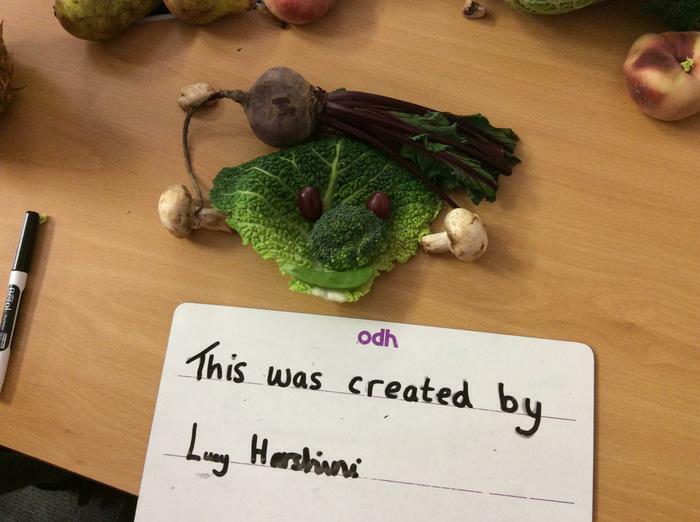 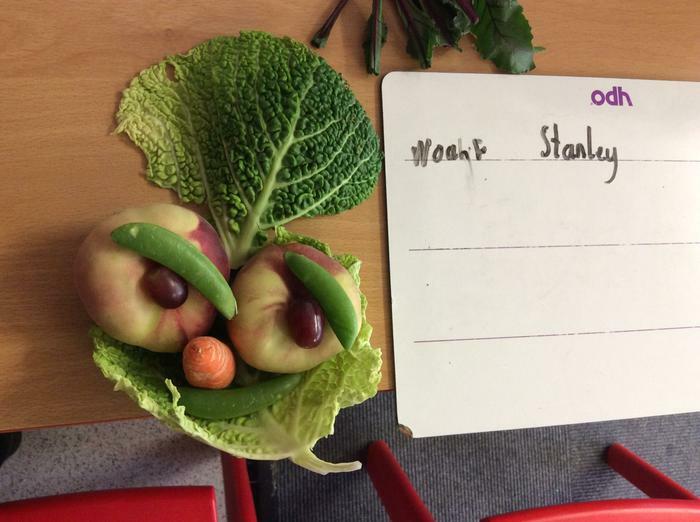 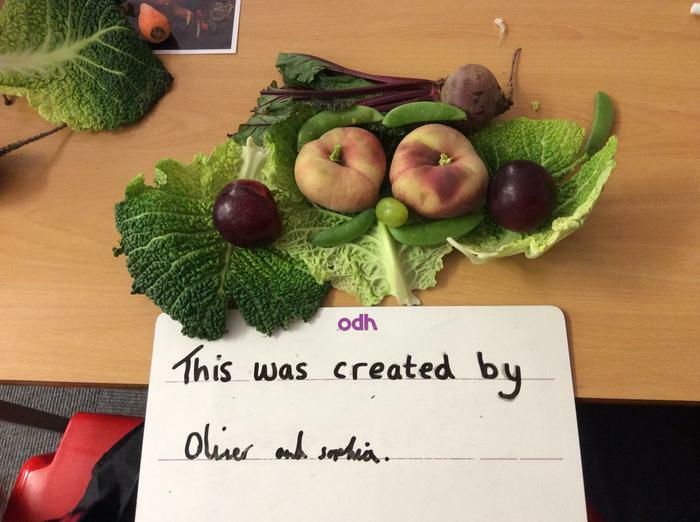 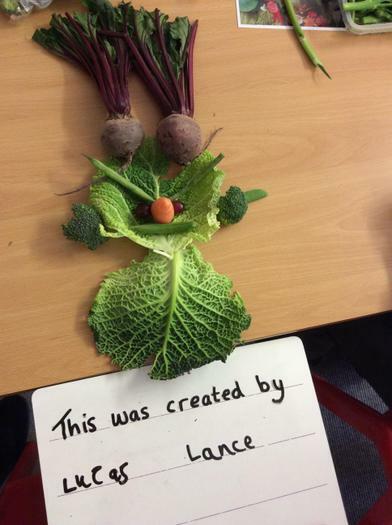 Maple Class had fun making pictures with fruit and vegetables in the style of Giuseppe Acrimboldo. 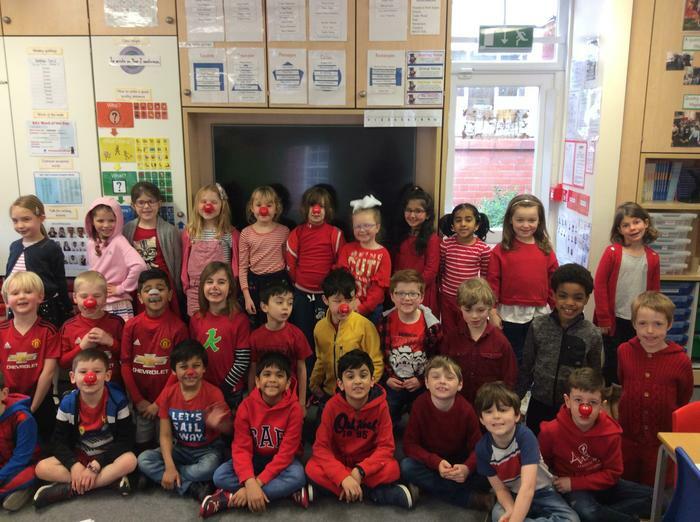 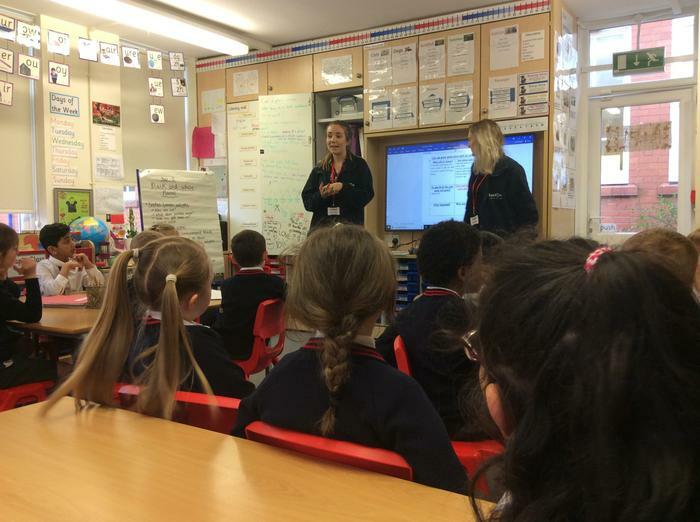 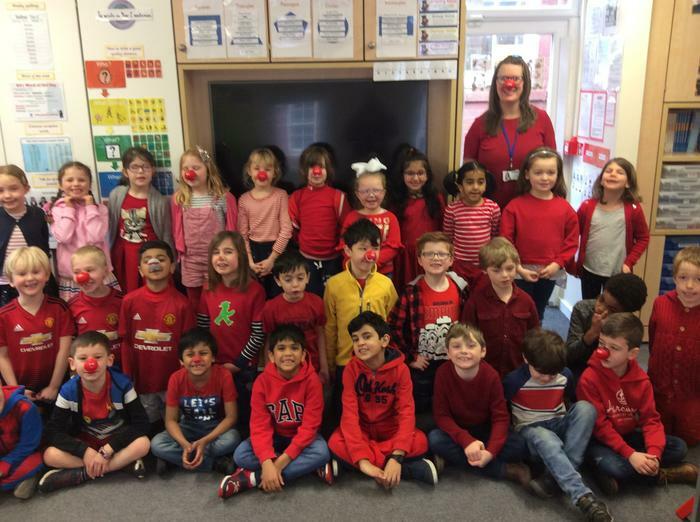 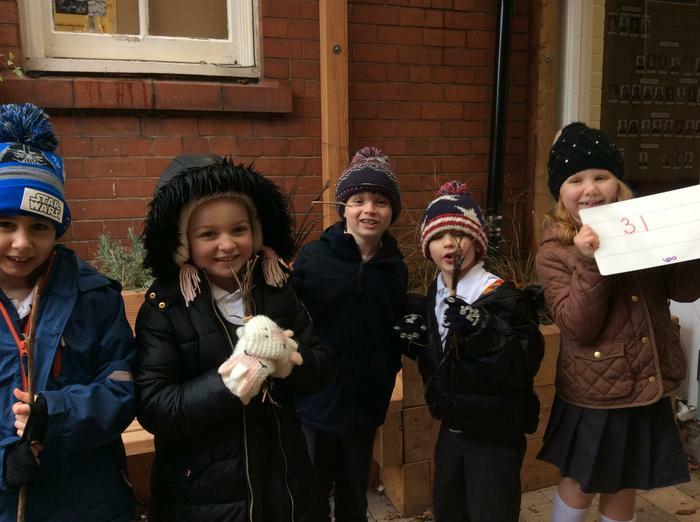 The children had lots of fun today during their Easter hat parade, where we showed off all our hard work to the children in the Junior School. 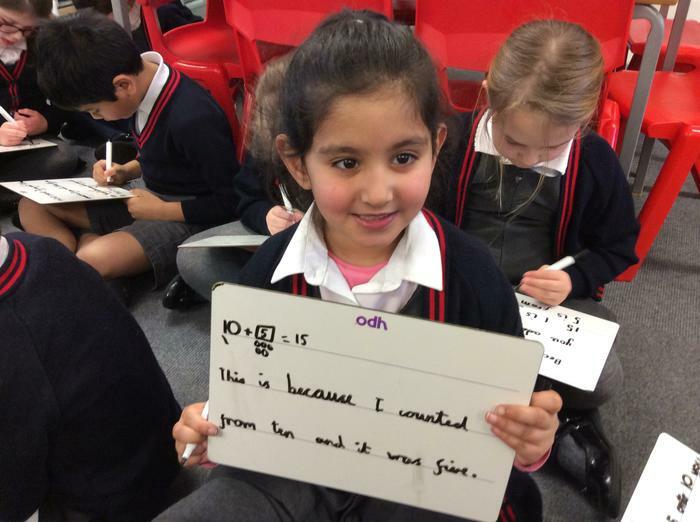 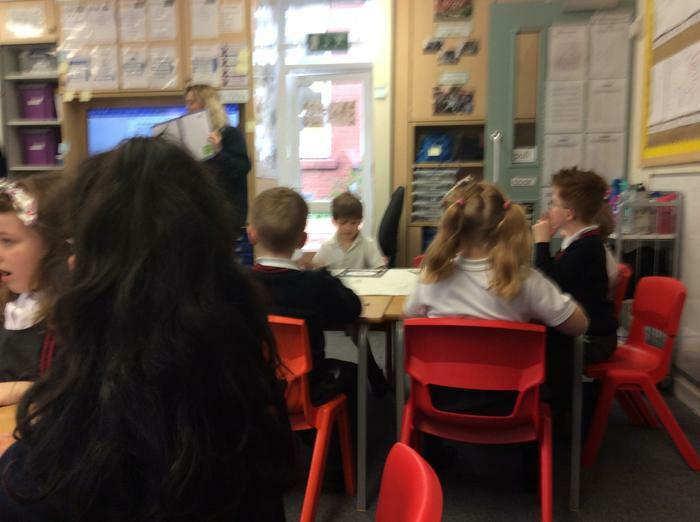 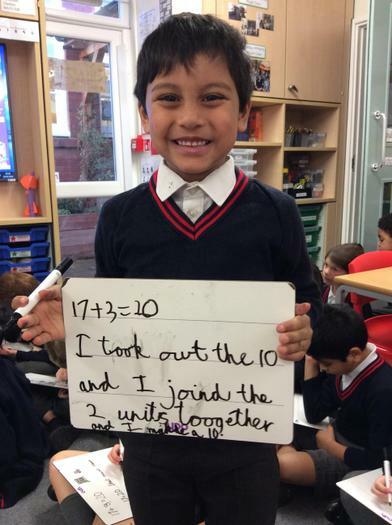 focus was on writing descriptive sentences and the children had lots of fun. 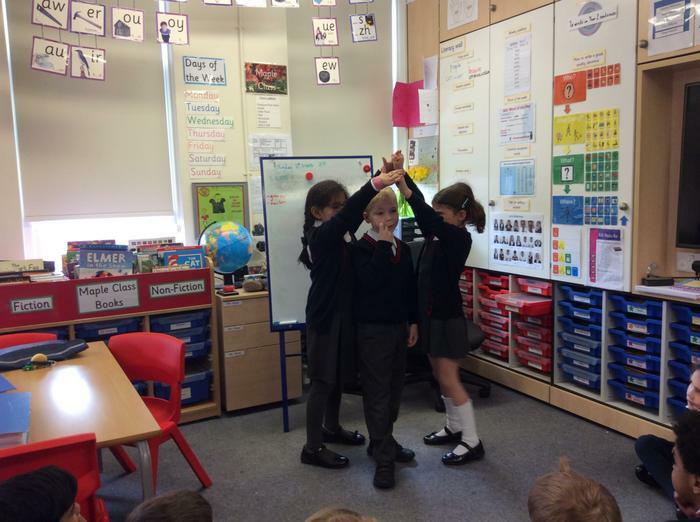 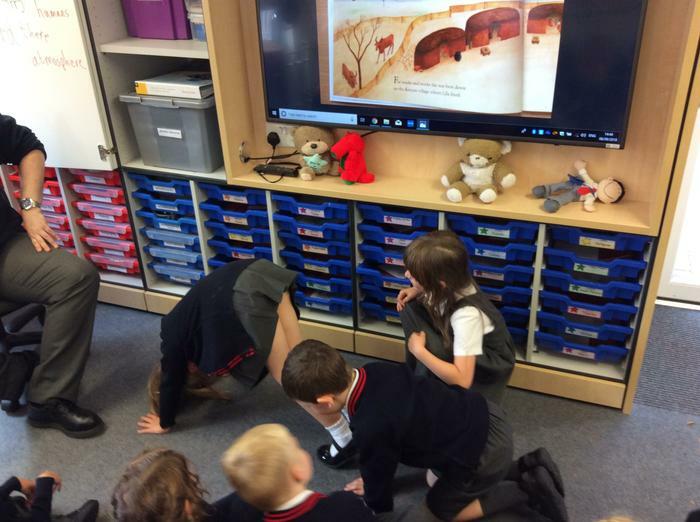 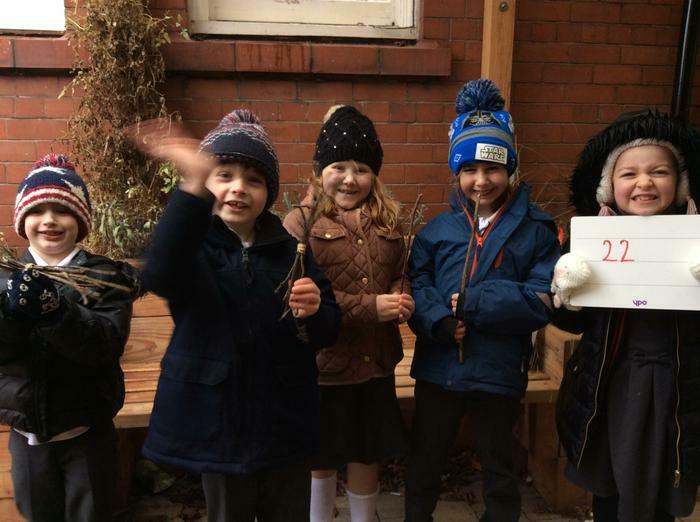 The children had fun acting out the story of 'The Tin Forest'. 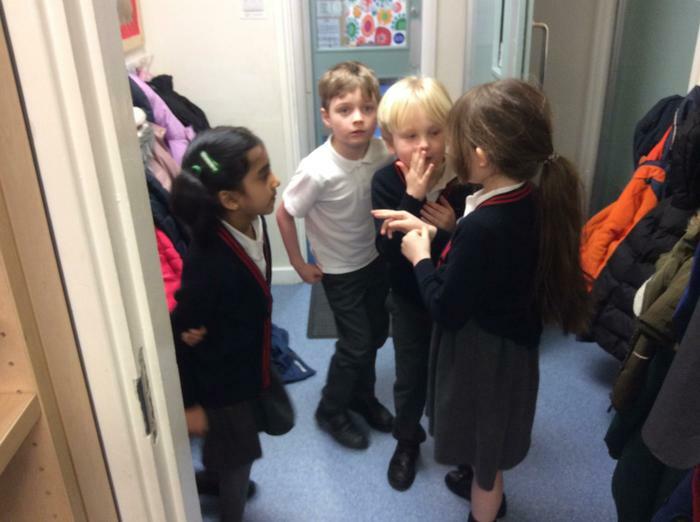 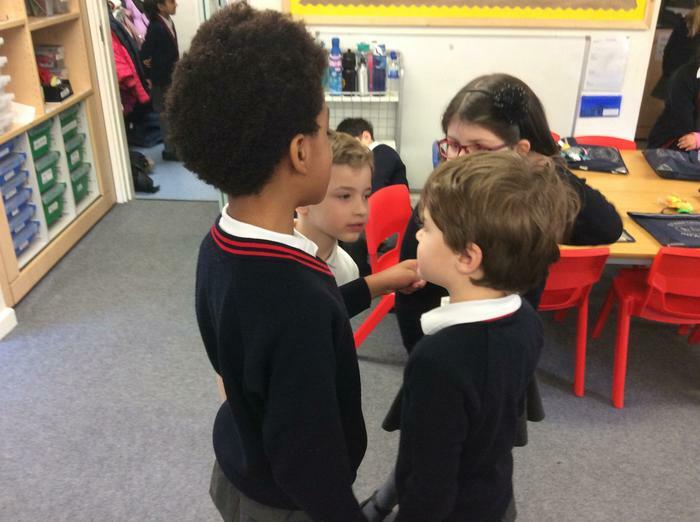 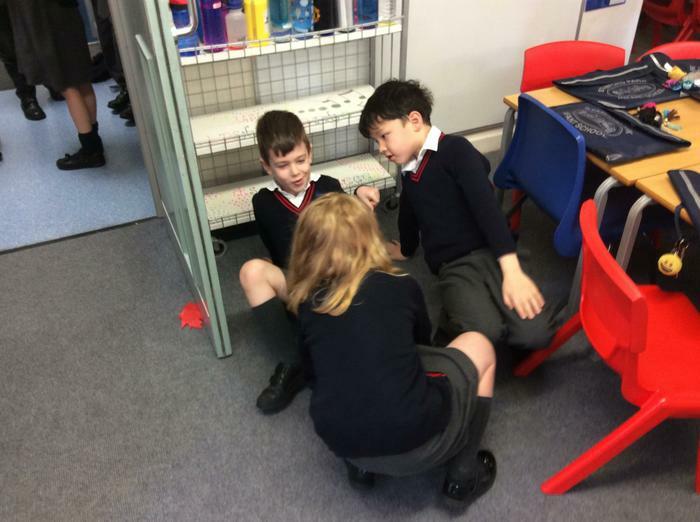 They acted out different parts of the story in groups, deciding how best act it out, in their small groups. 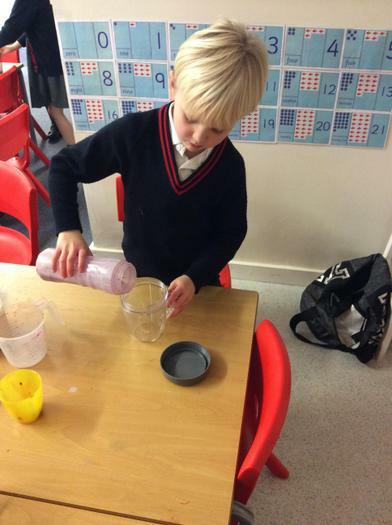 Today Maple Class did a scientific test to see if wax crayons made a sheet of paper waterproof. 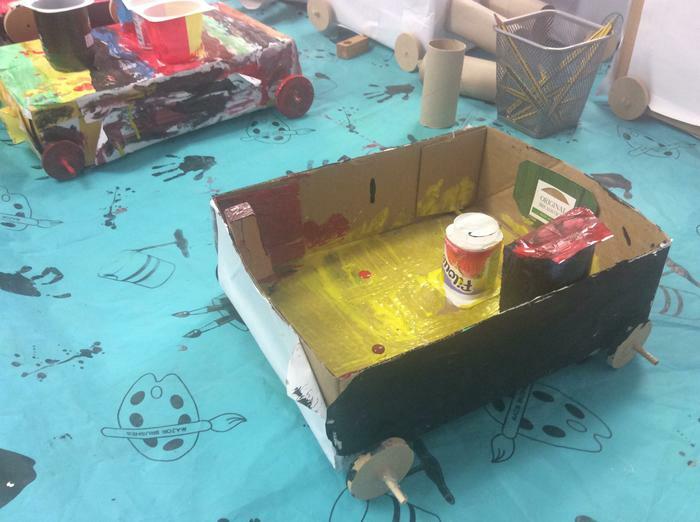 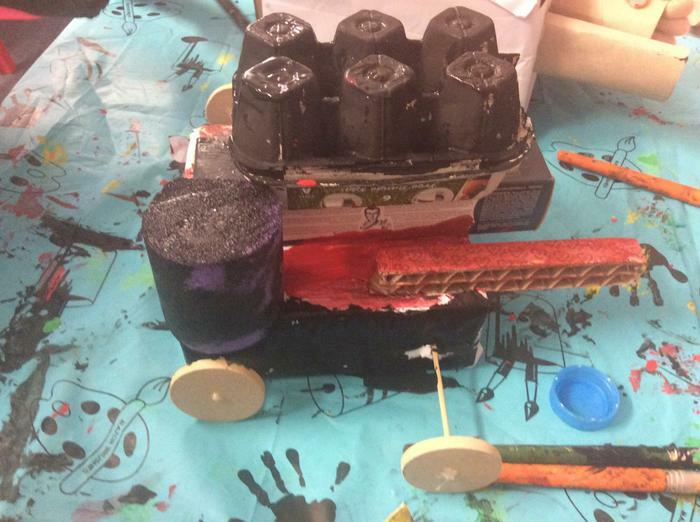 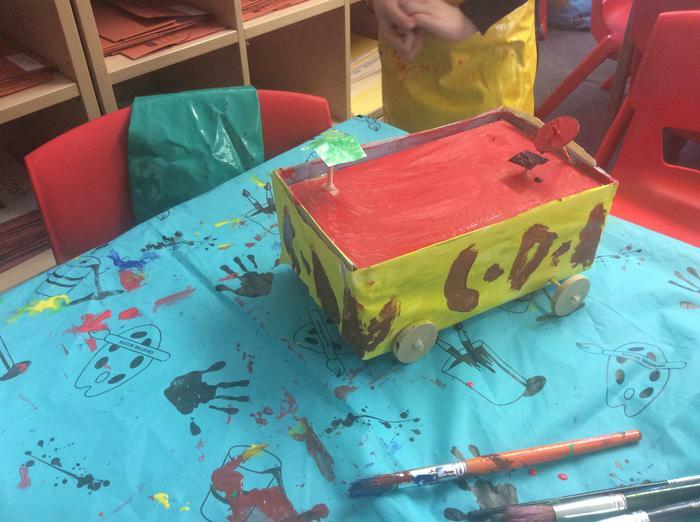 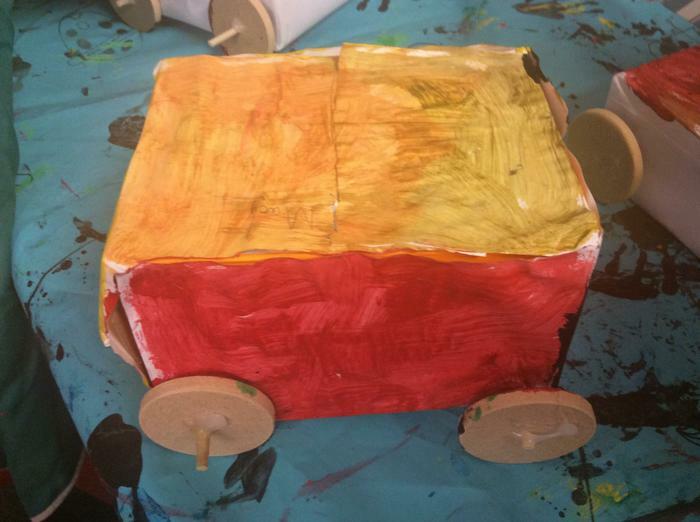 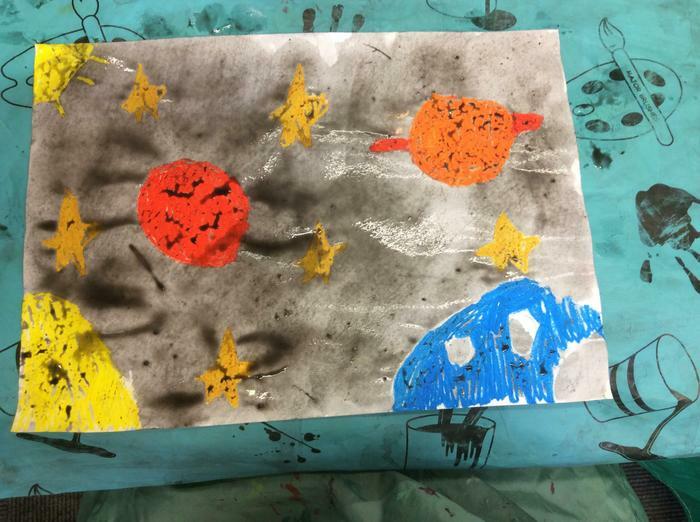 We painted over the wax and discovered the paint ran off it. 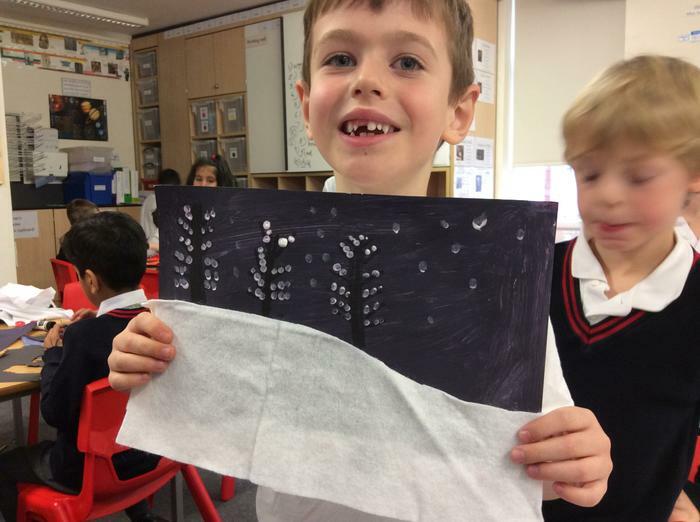 So it turned out to be waterproof after all! 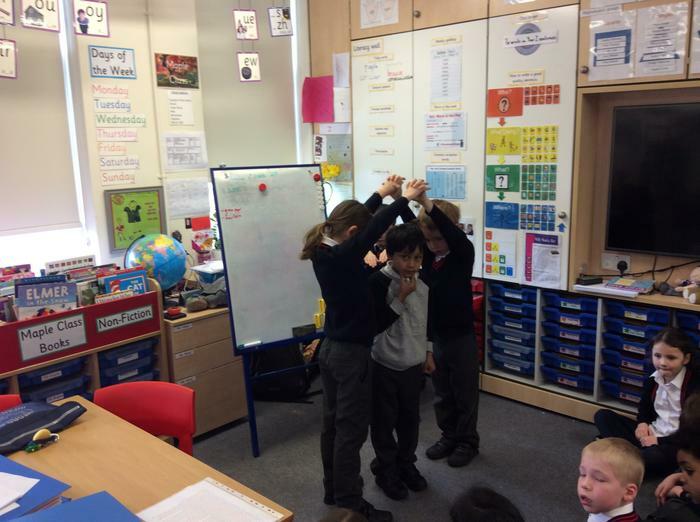 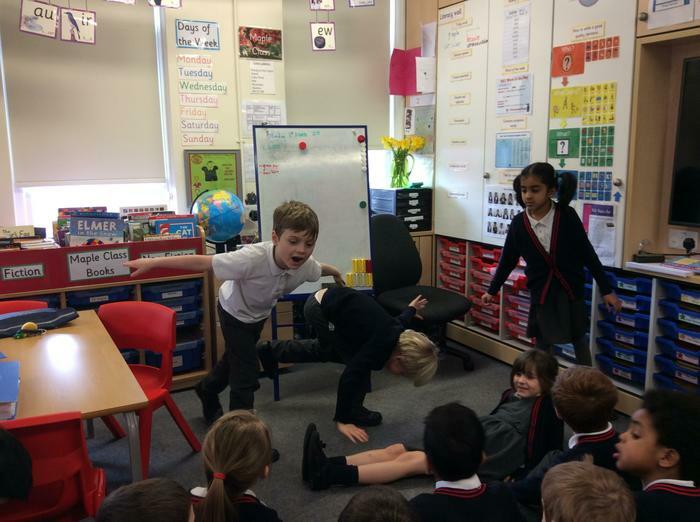 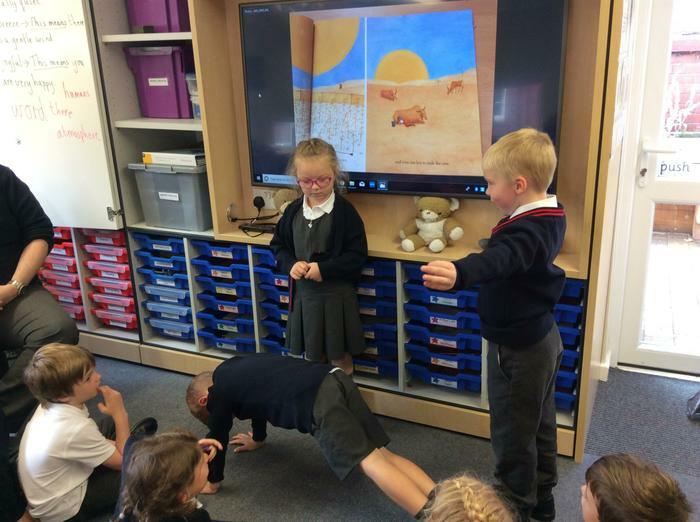 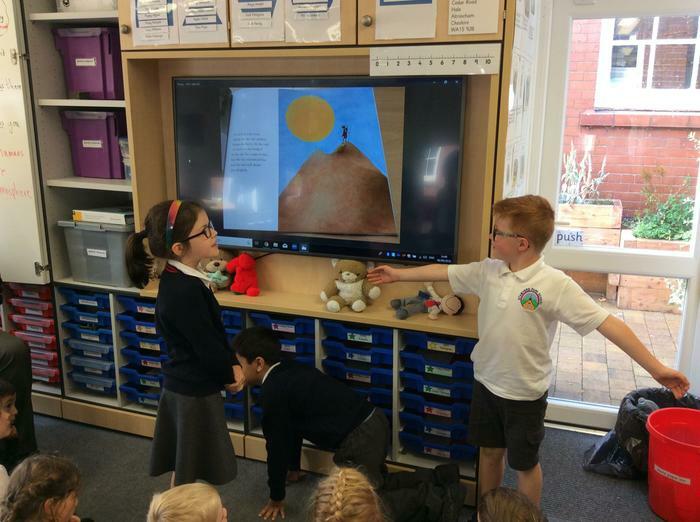 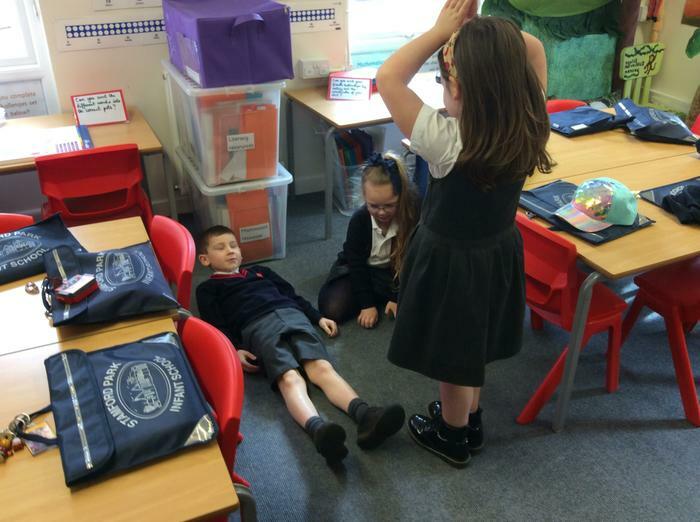 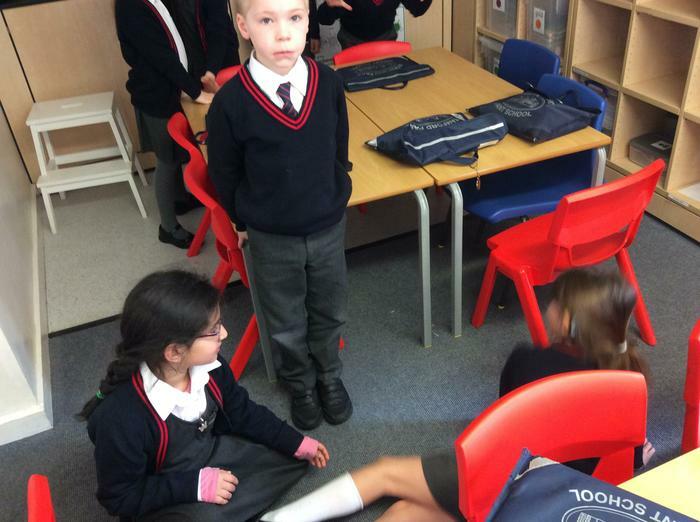 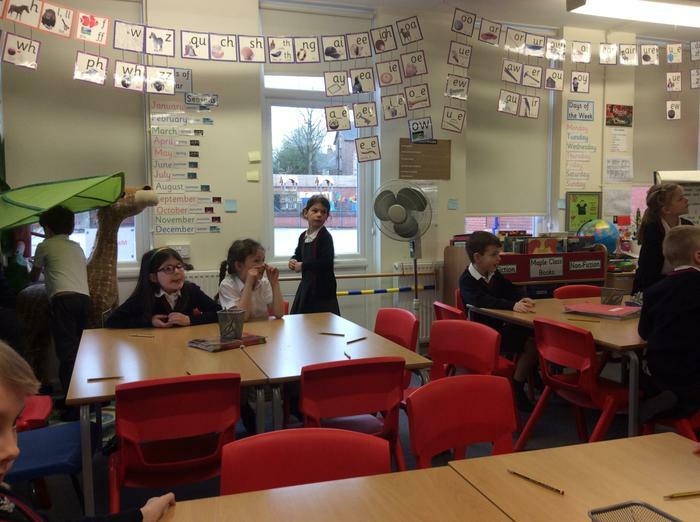 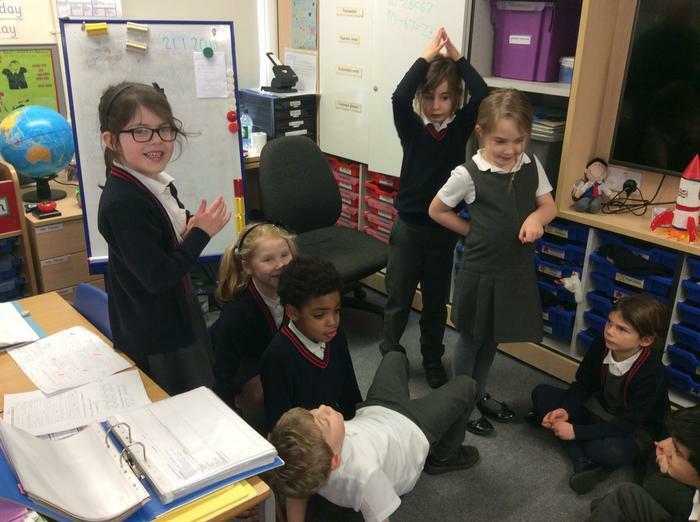 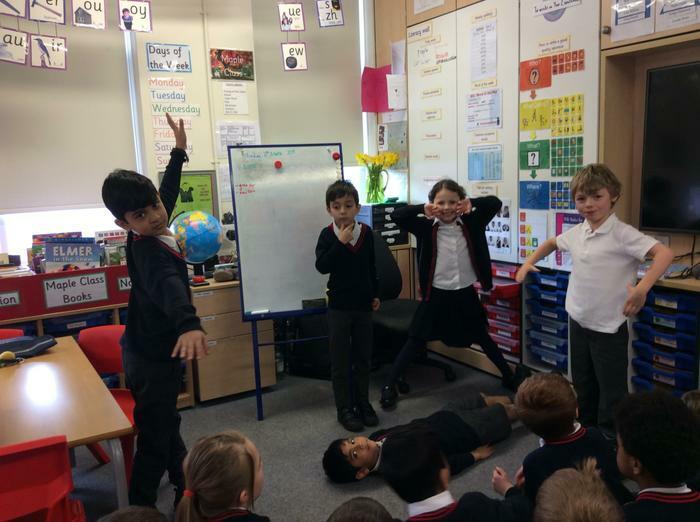 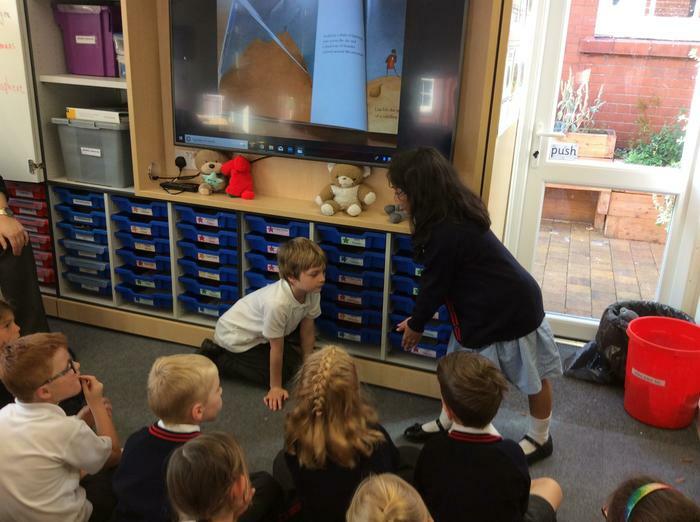 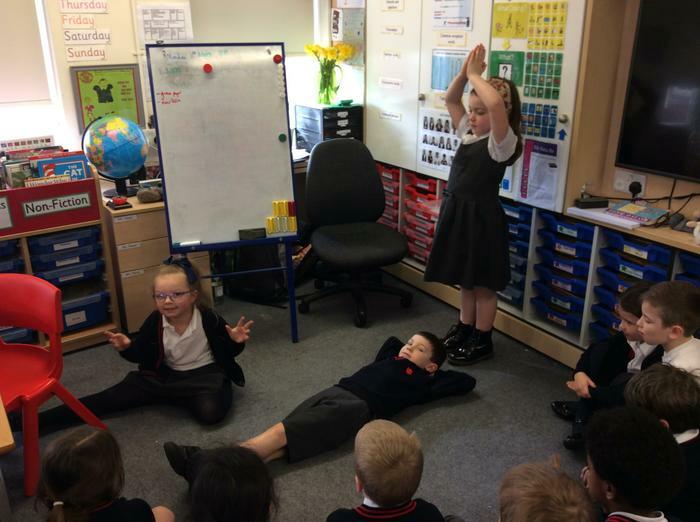 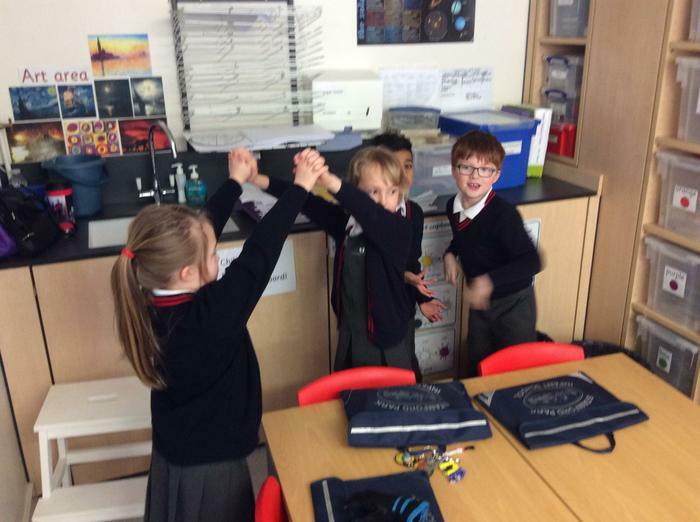 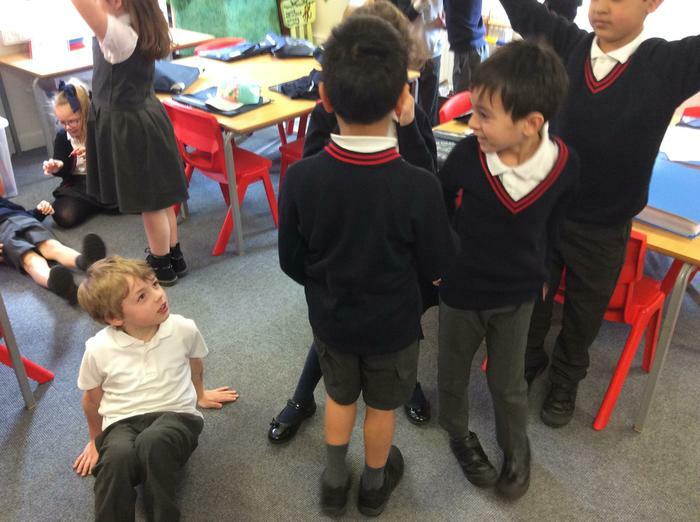 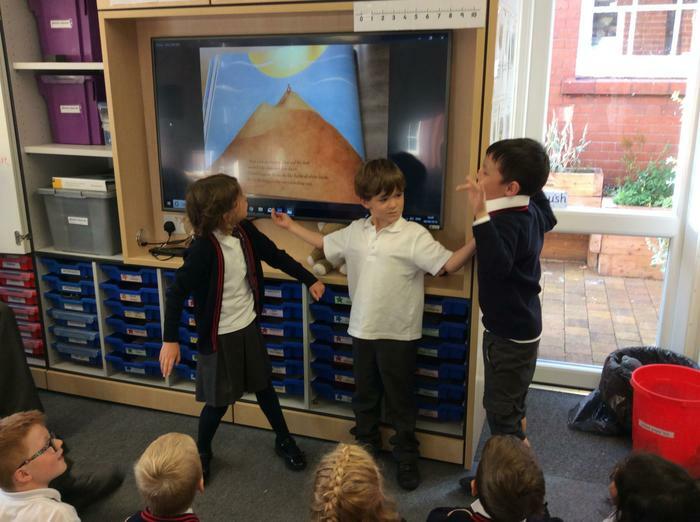 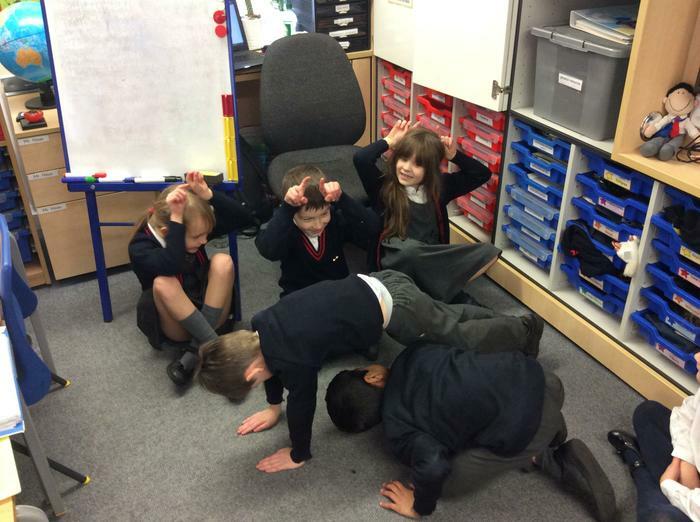 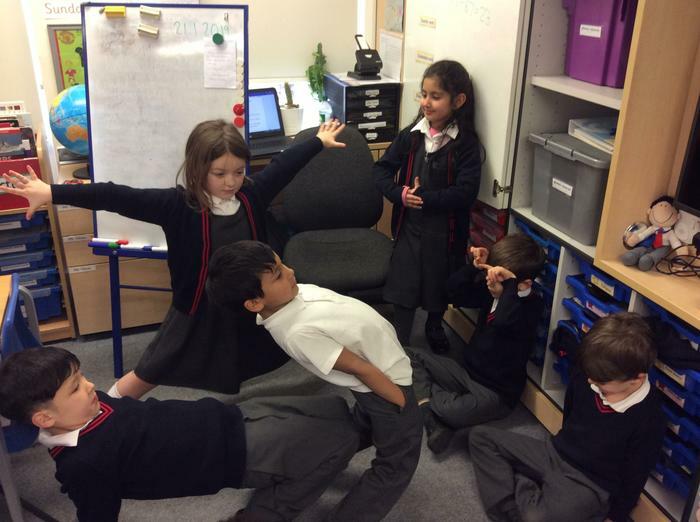 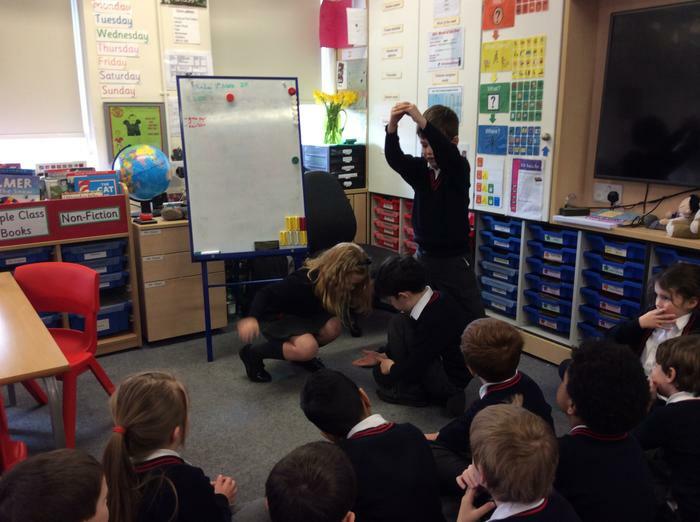 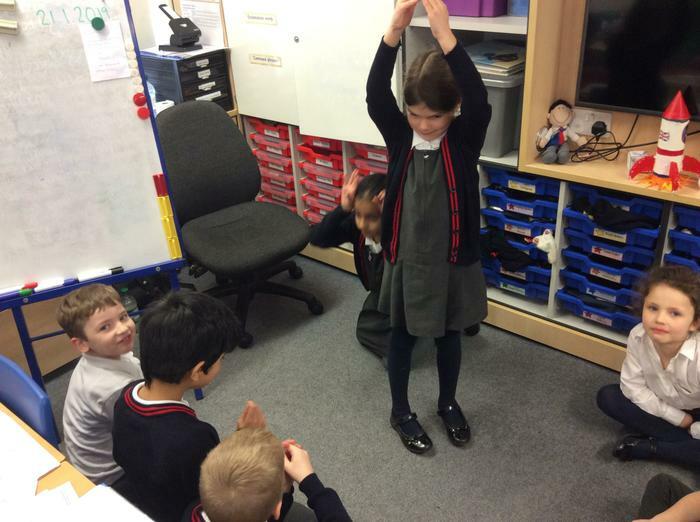 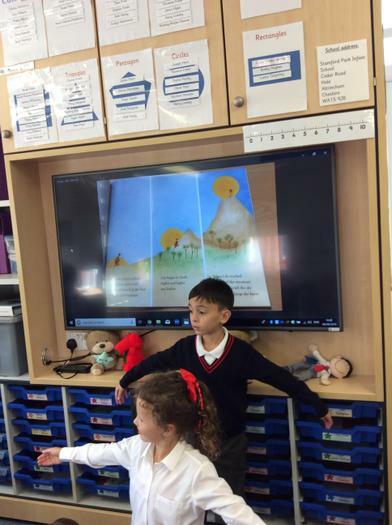 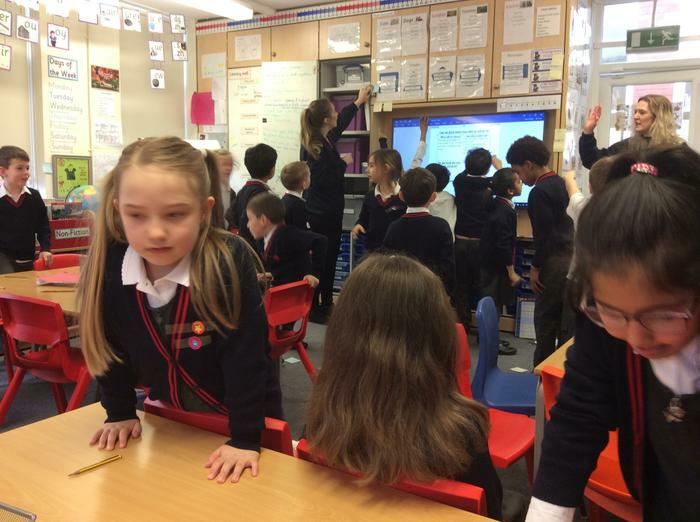 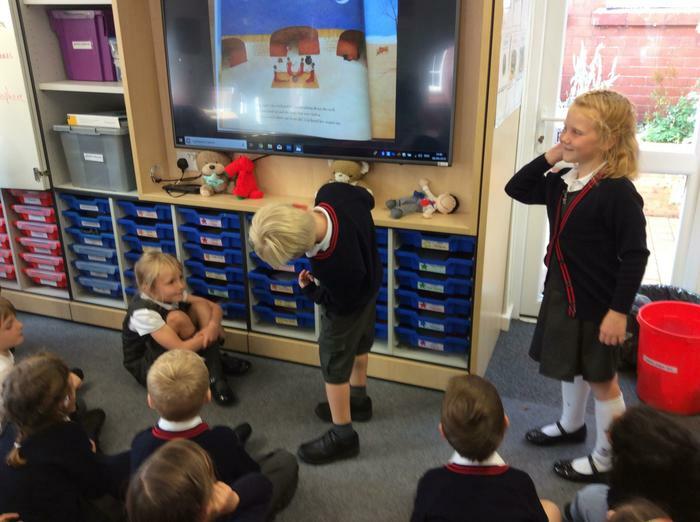 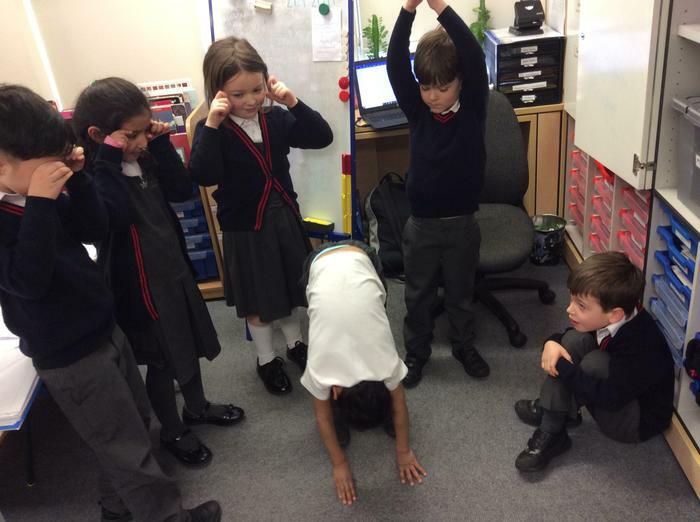 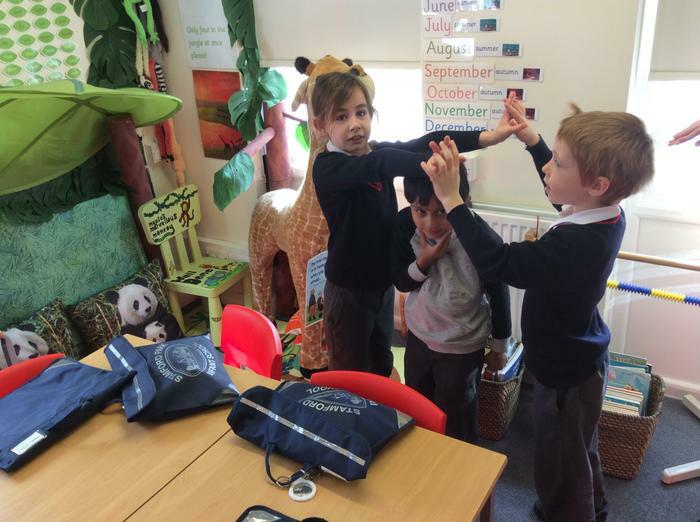 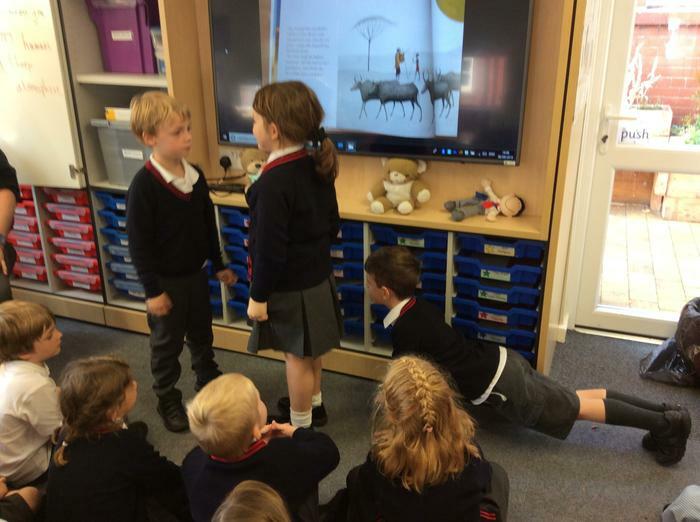 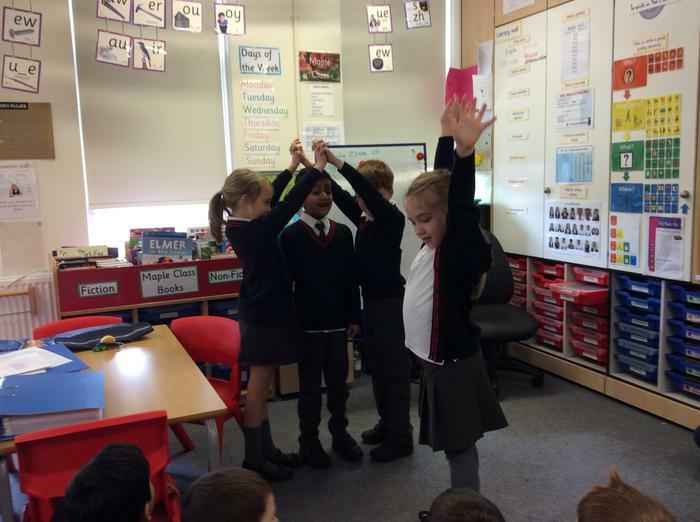 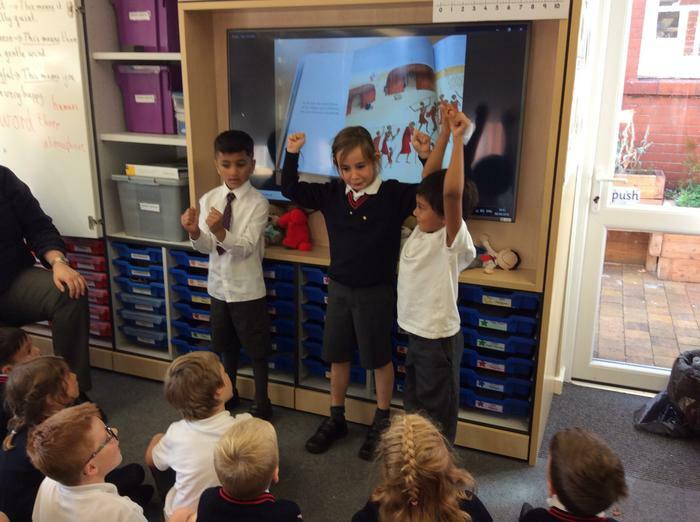 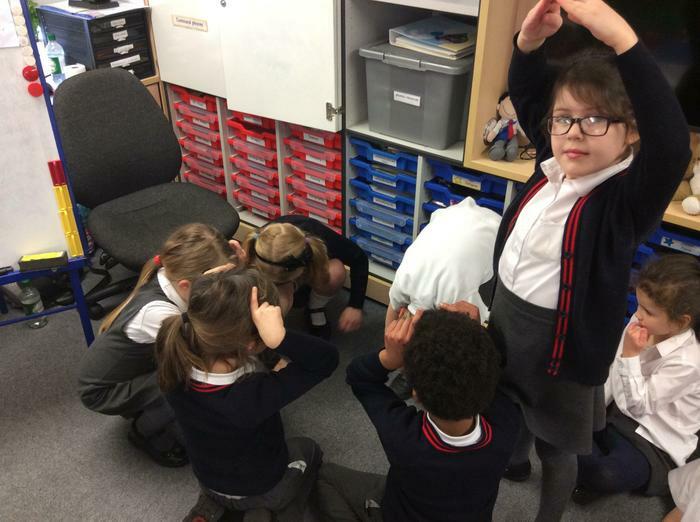 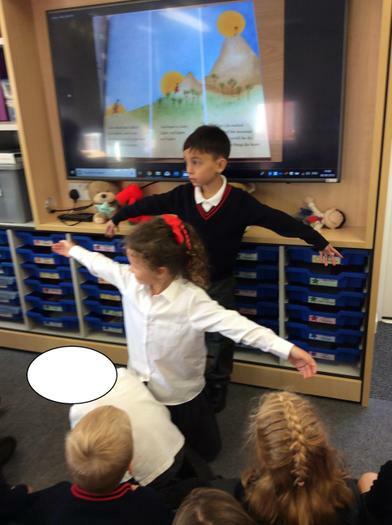 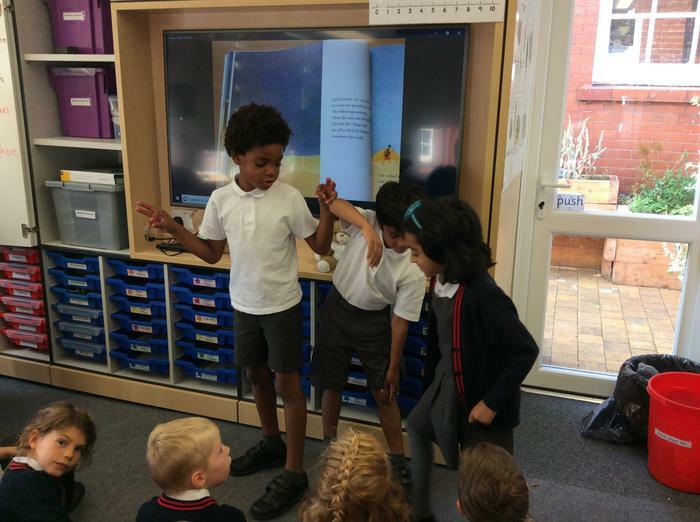 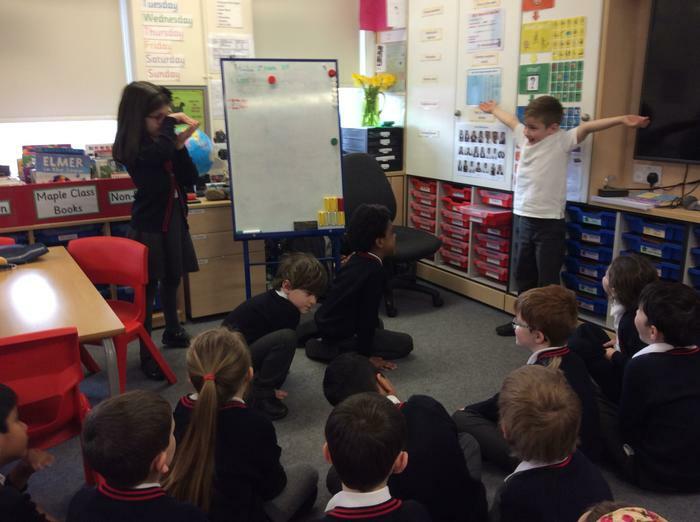 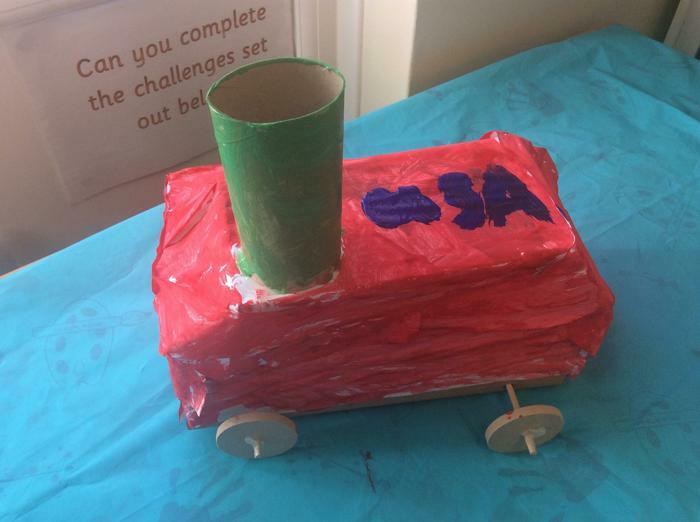 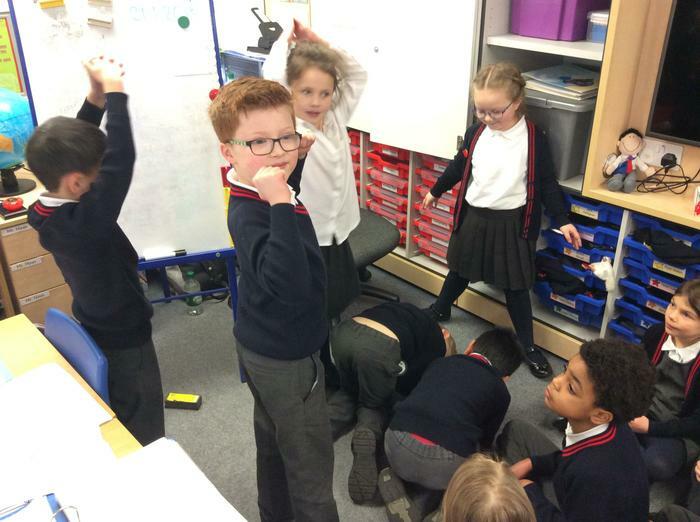 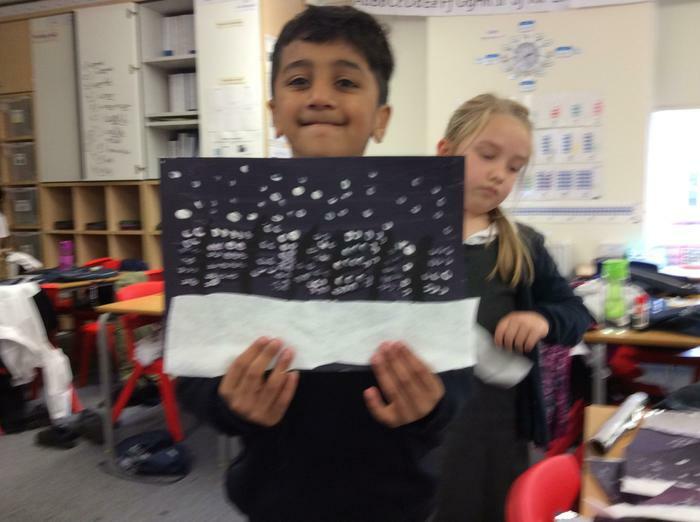 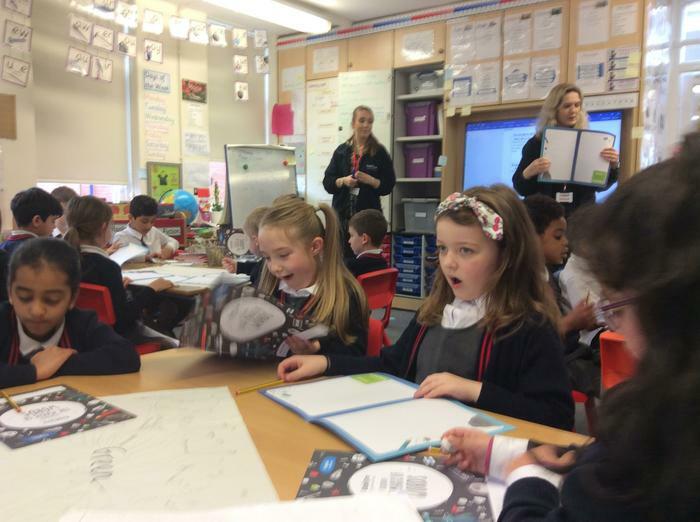 Maple Class had fun creating freeze frames for 'The man on The Moon', which is our current story for Literacy! 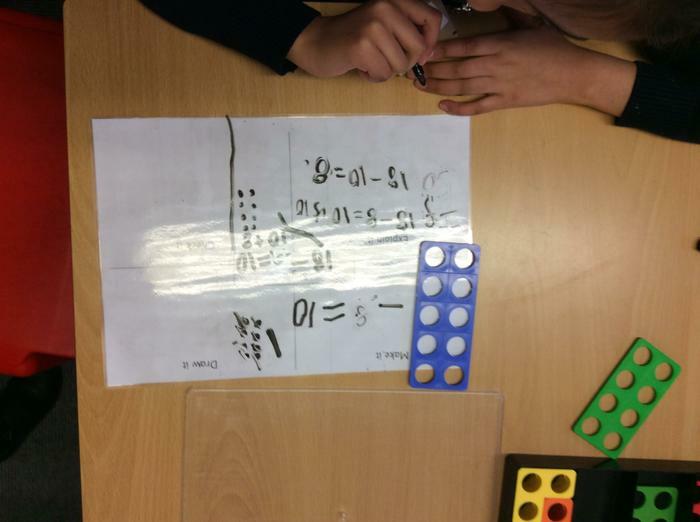 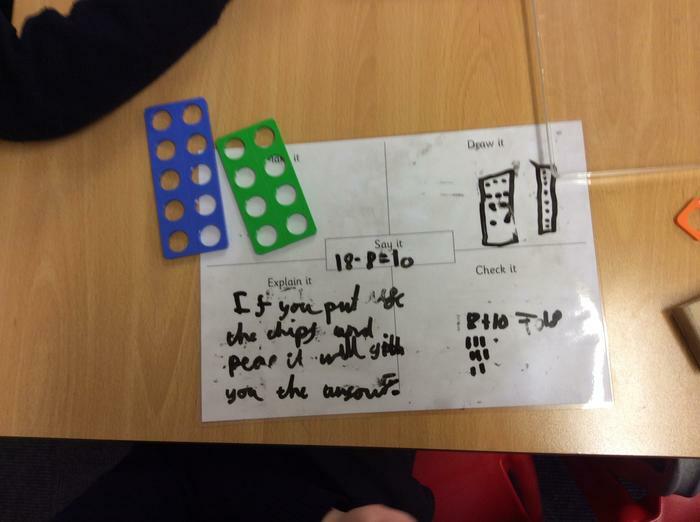 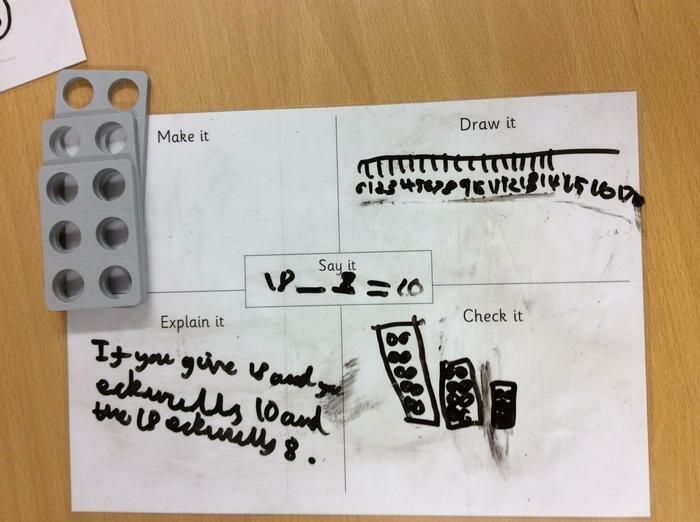 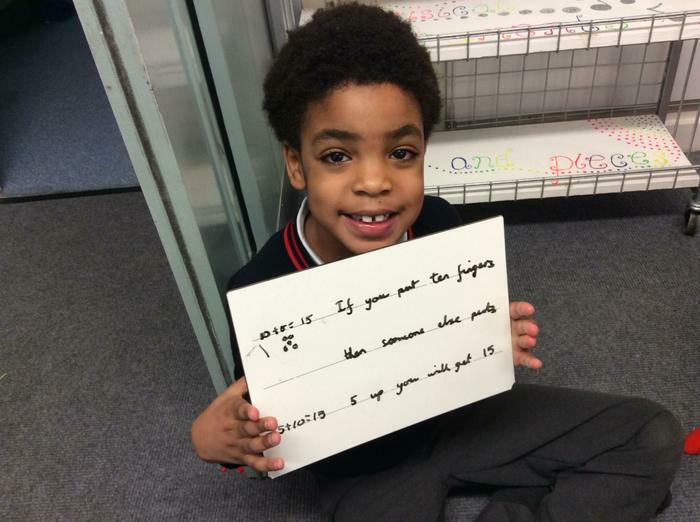 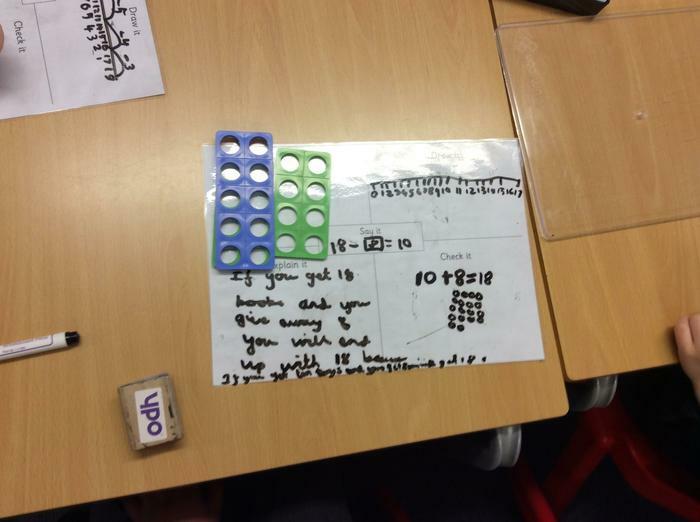 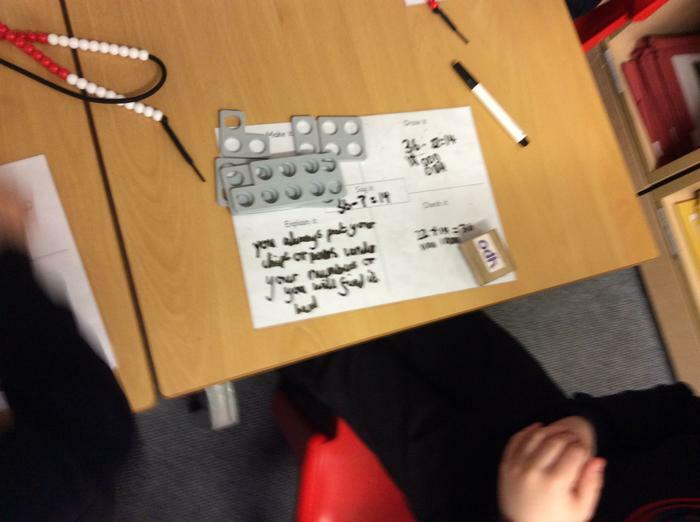 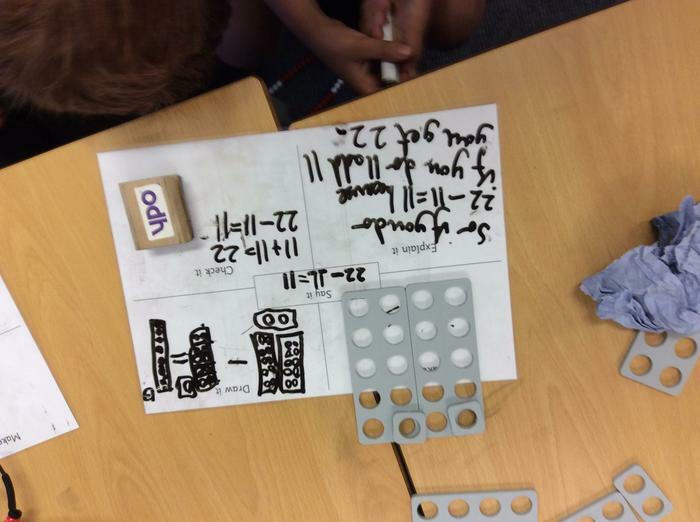 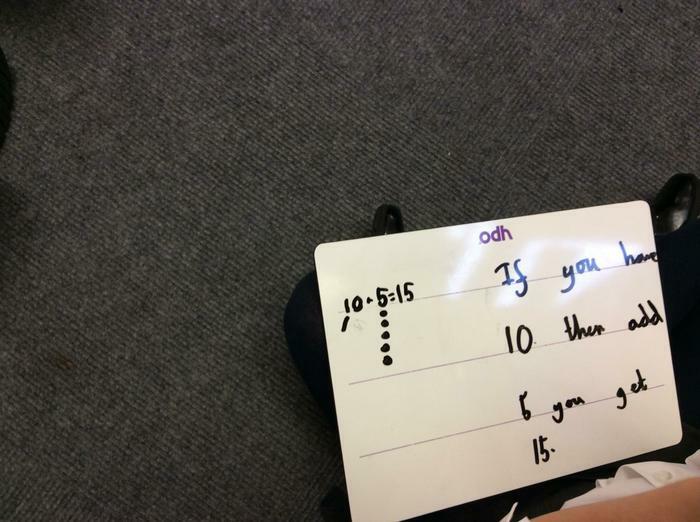 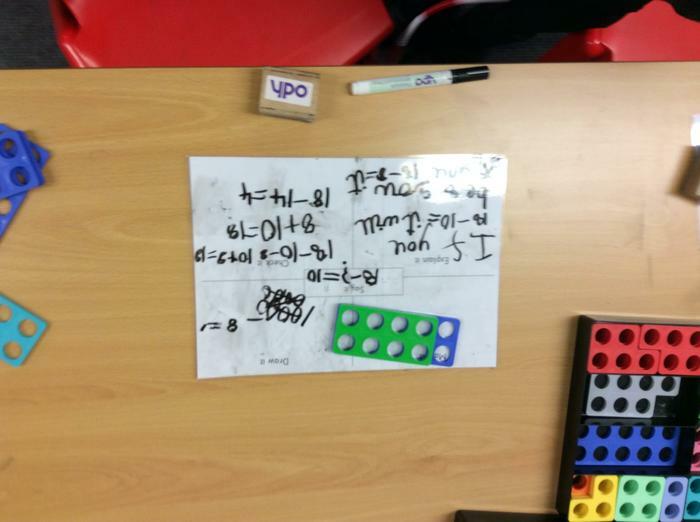 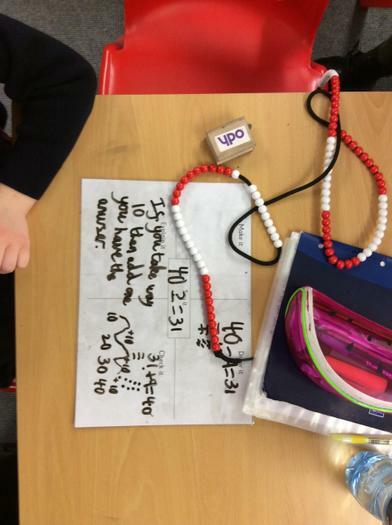 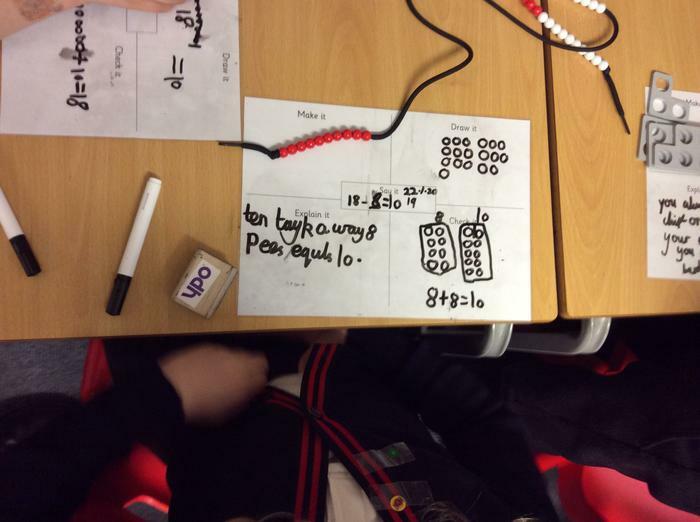 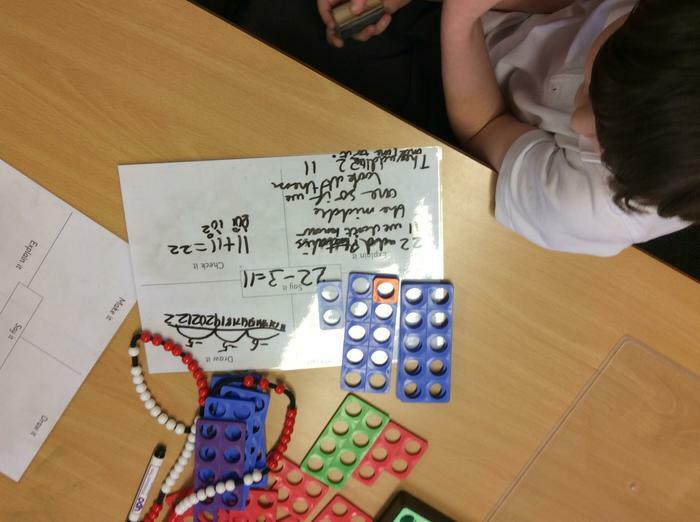 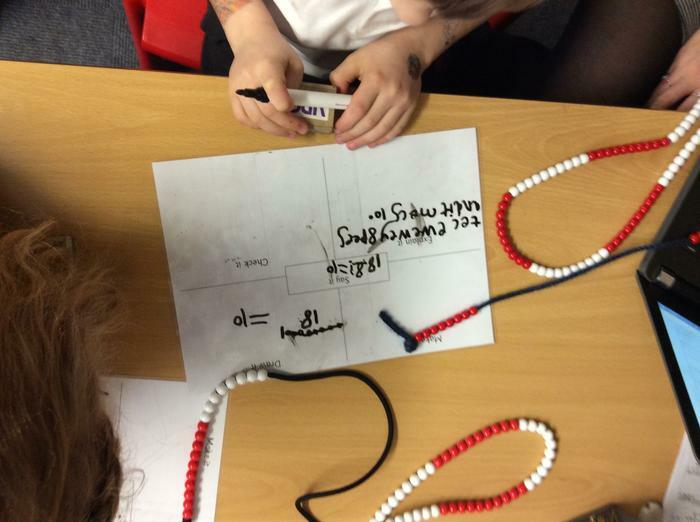 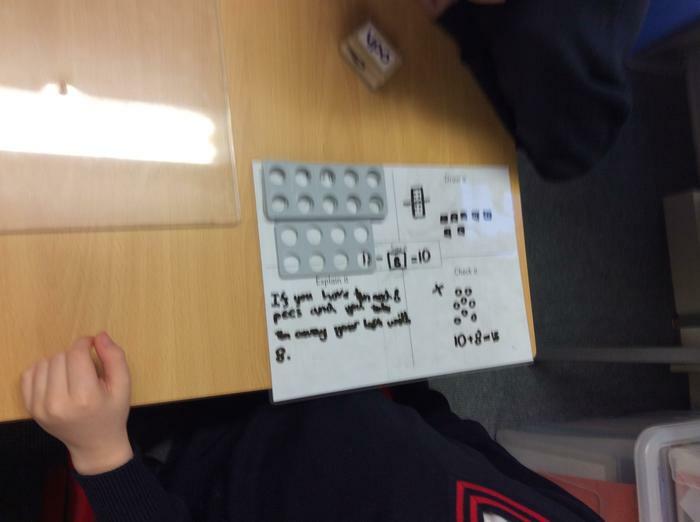 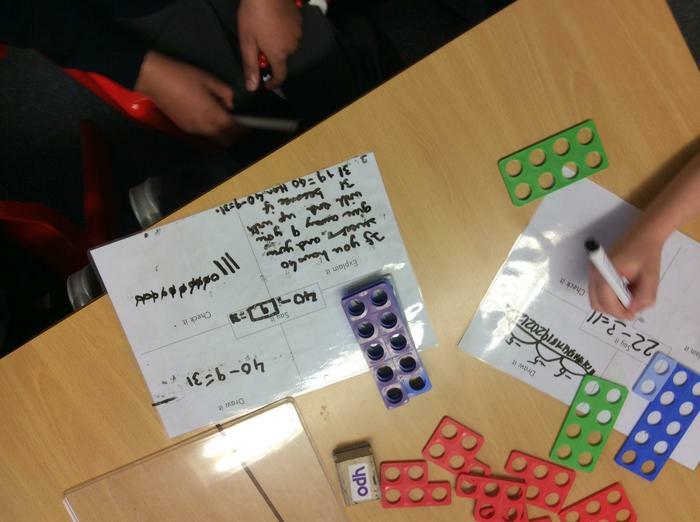 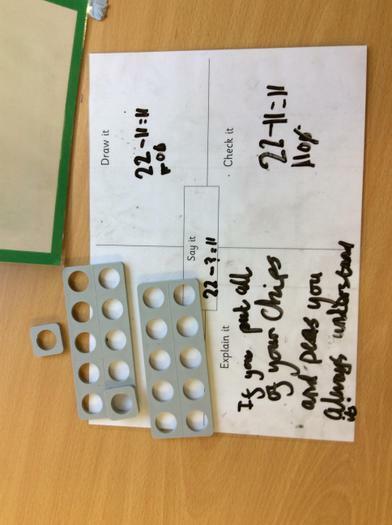 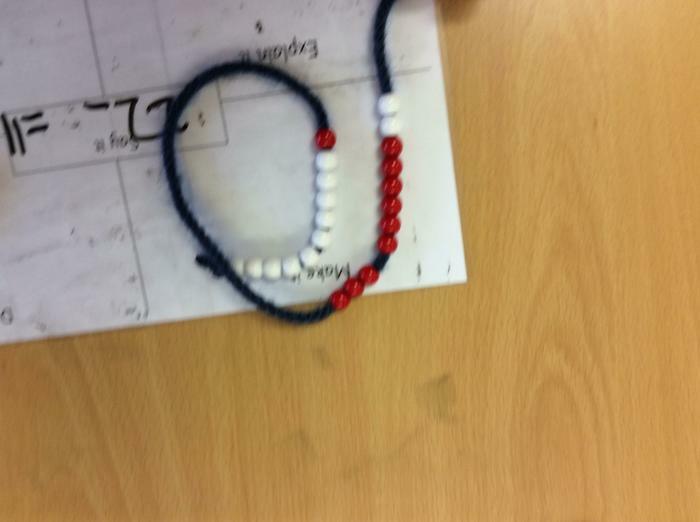 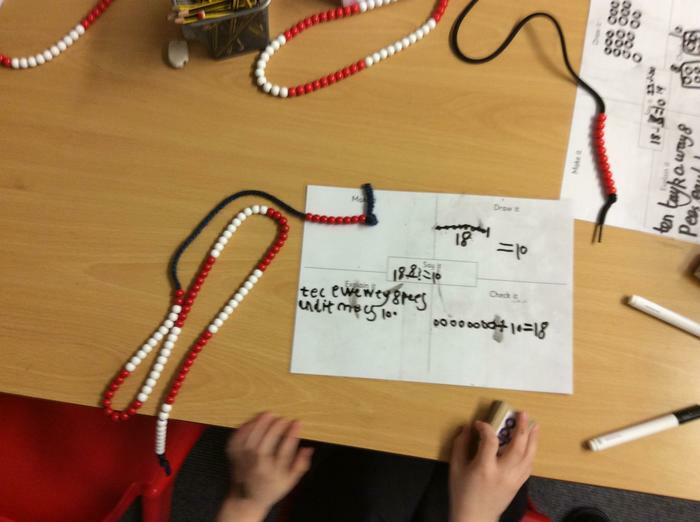 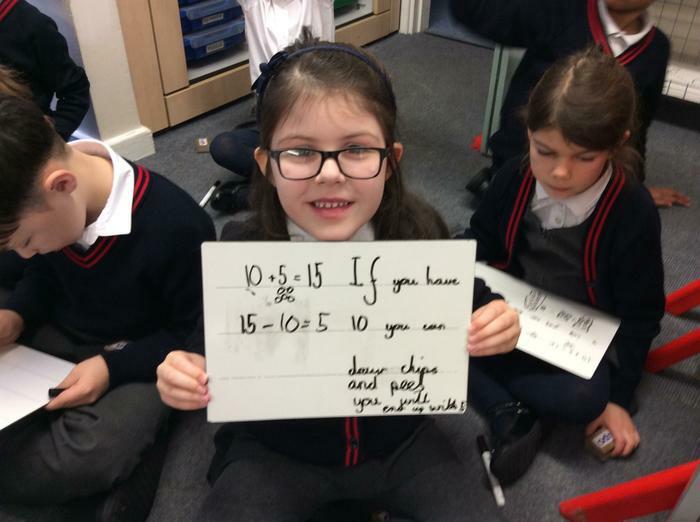 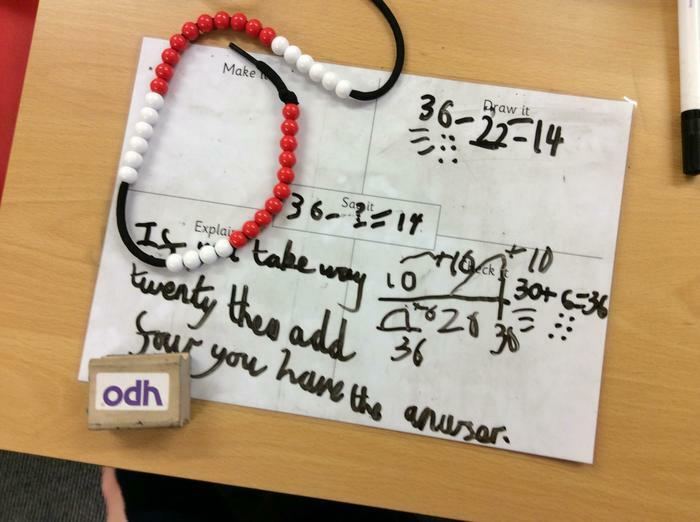 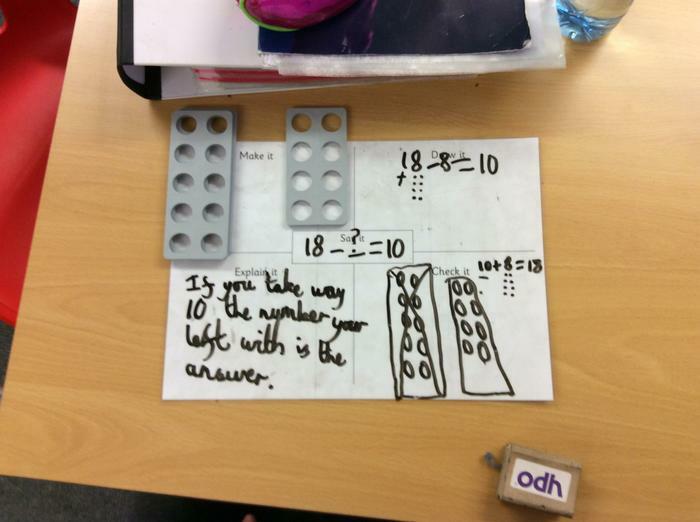 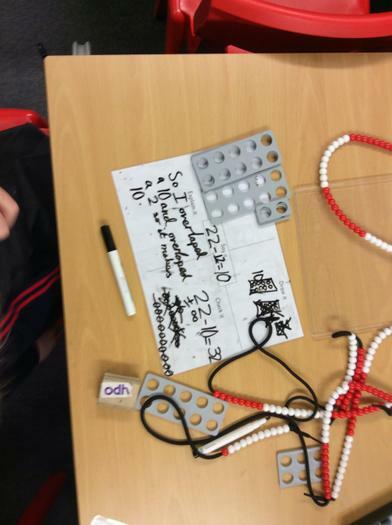 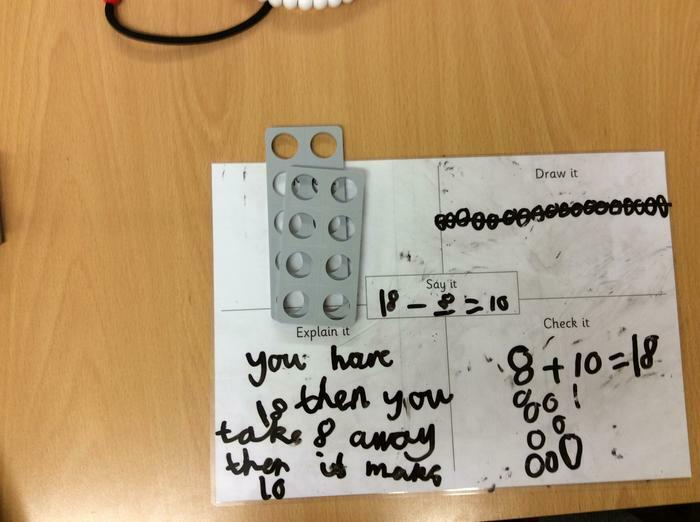 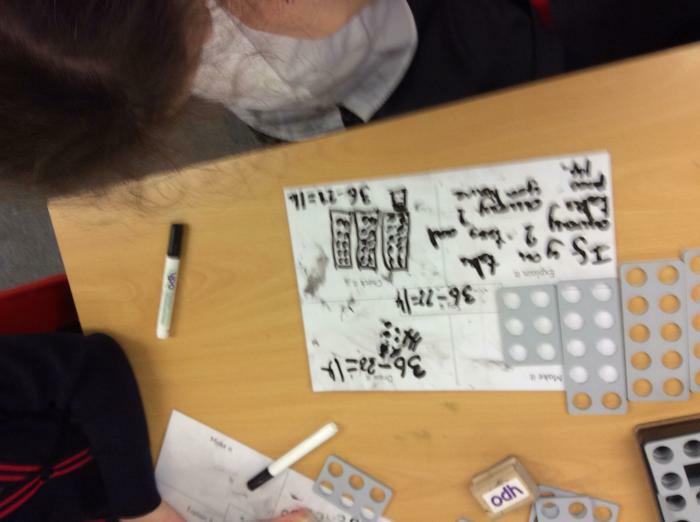 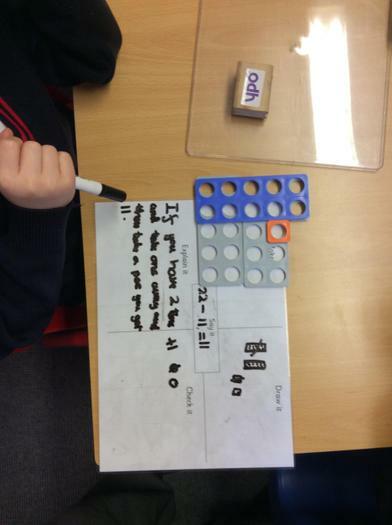 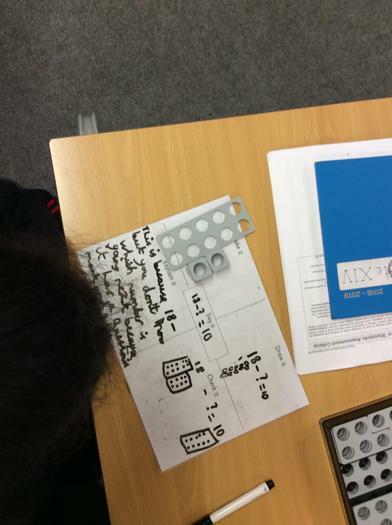 Maple Class solved some missing number addition problems today. 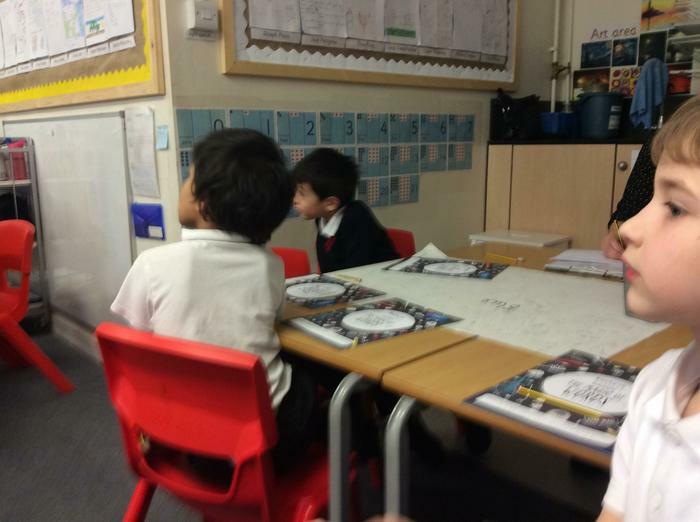 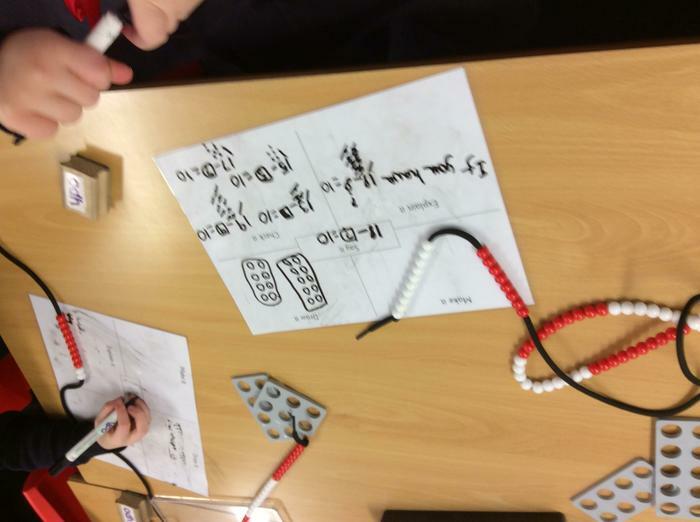 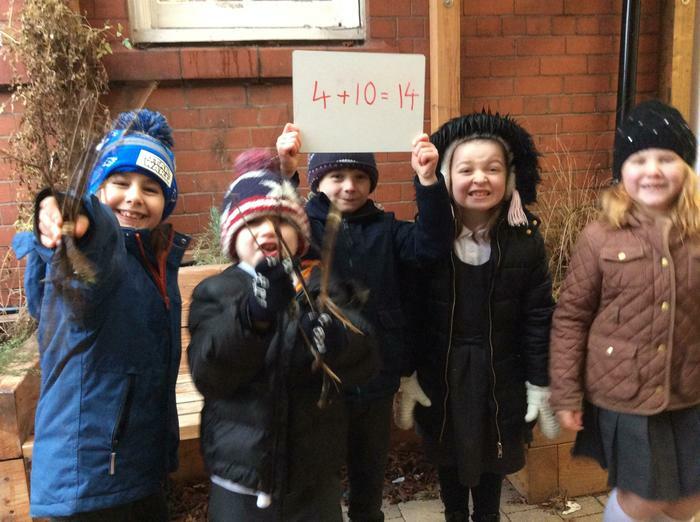 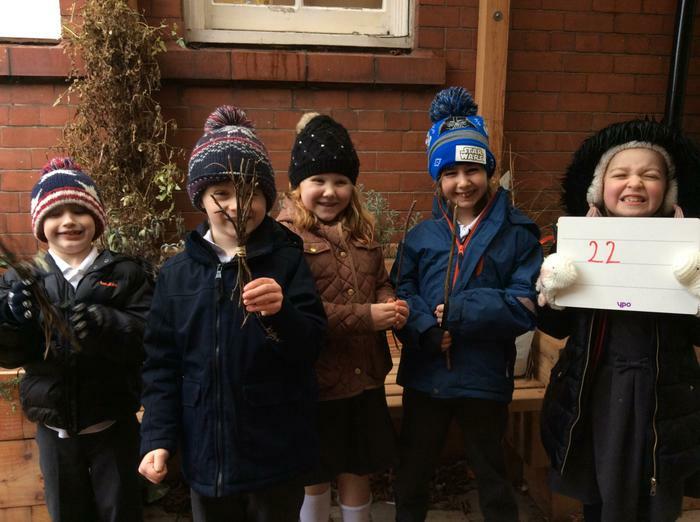 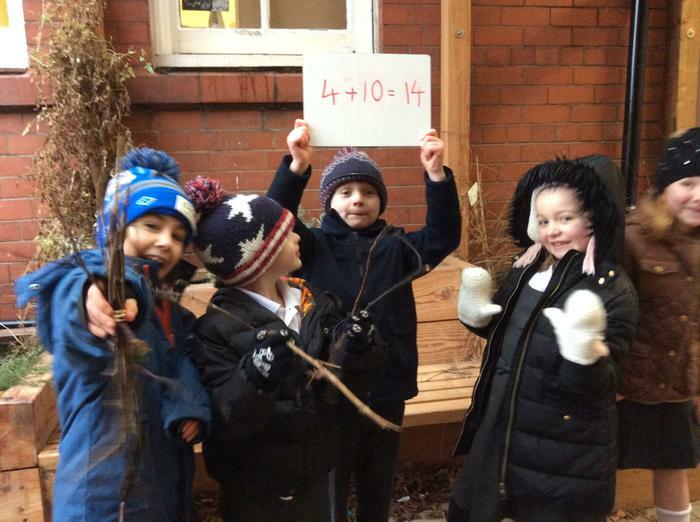 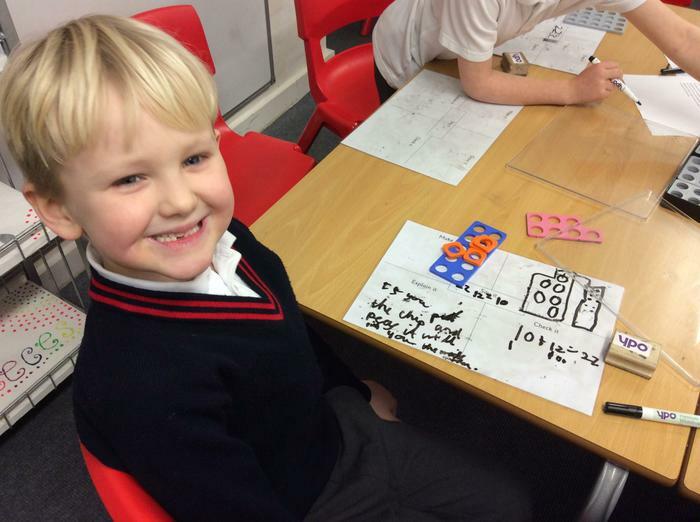 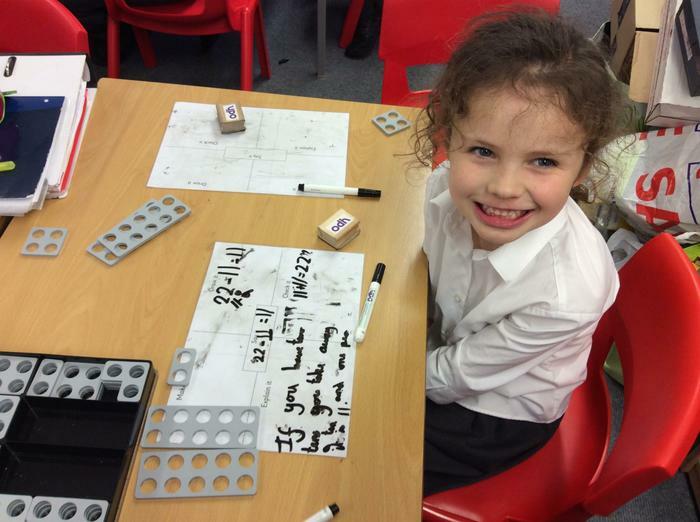 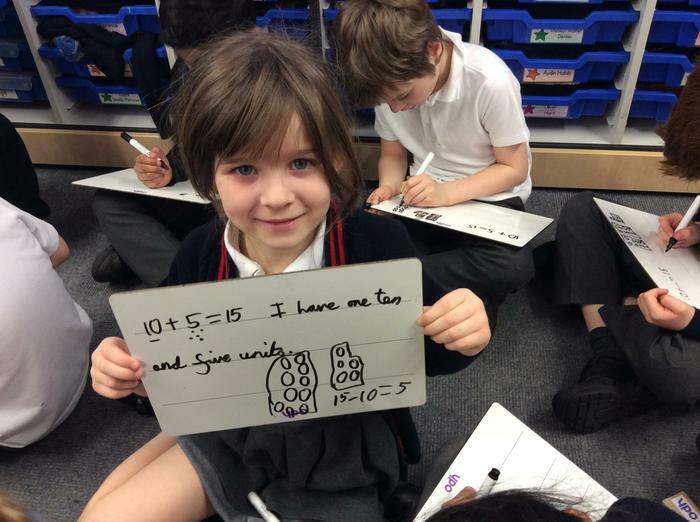 Maple Class solved some missing number subtraction problems today! 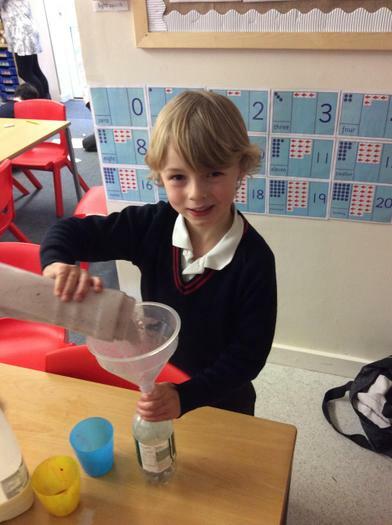 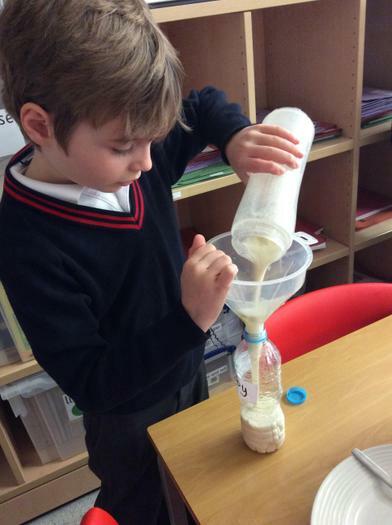 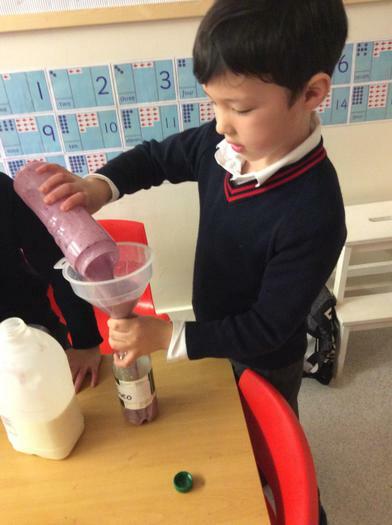 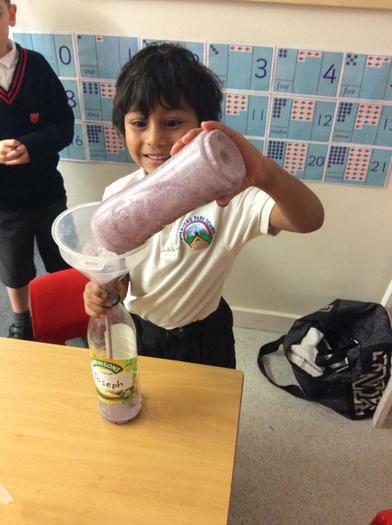 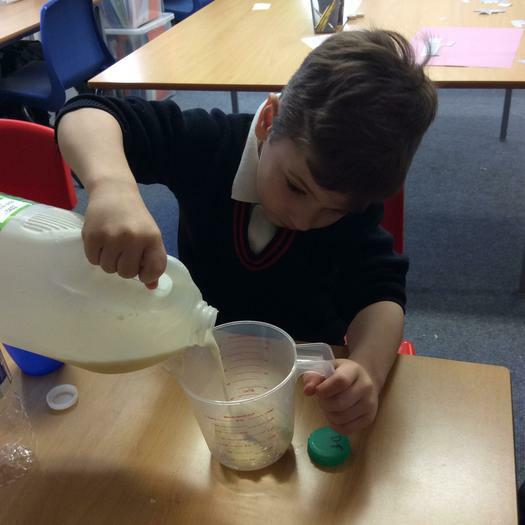 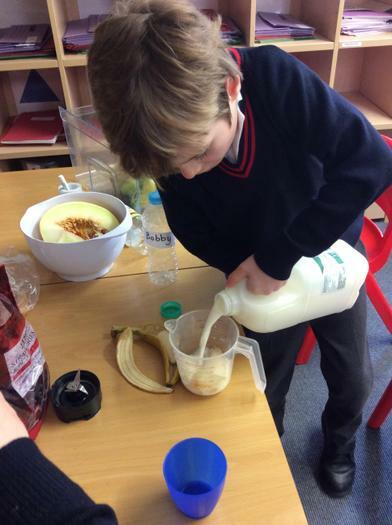 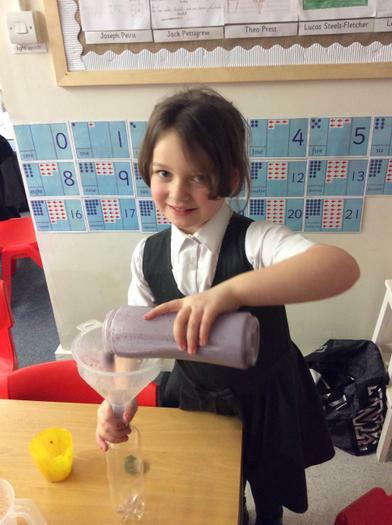 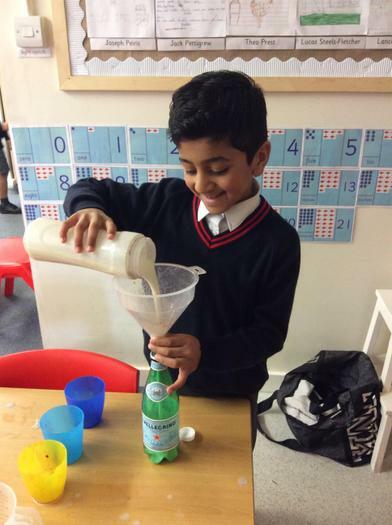 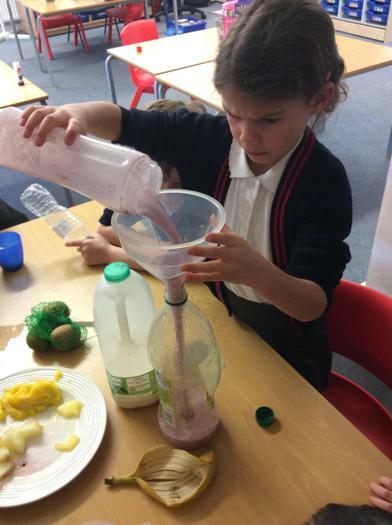 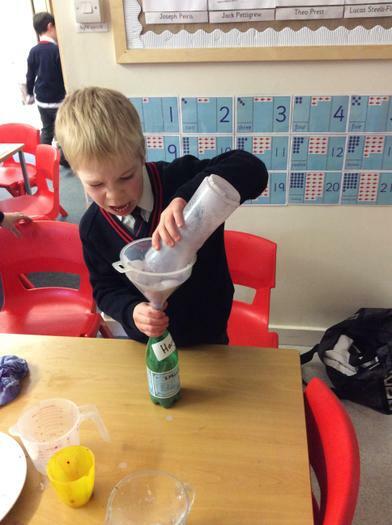 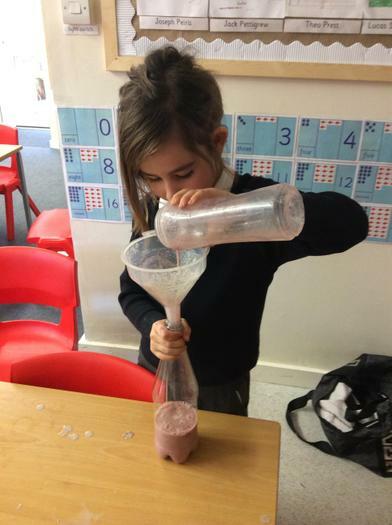 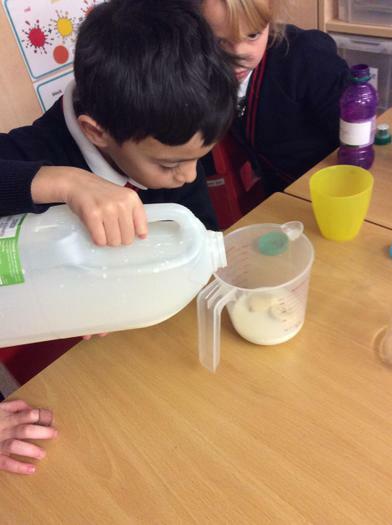 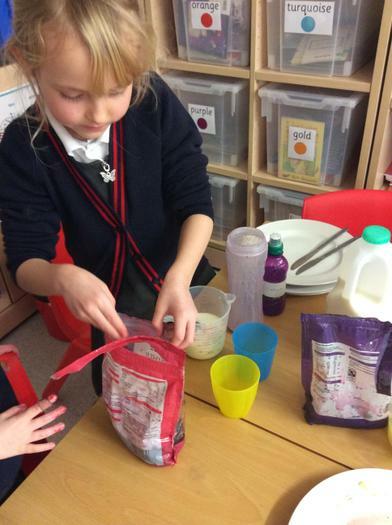 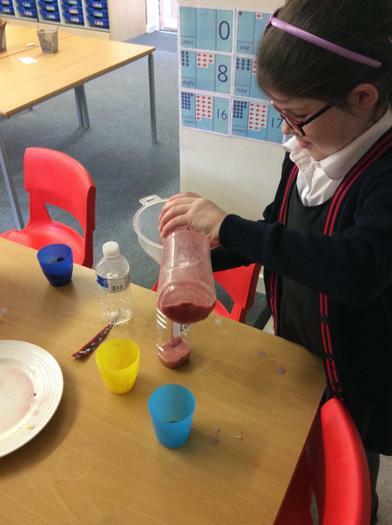 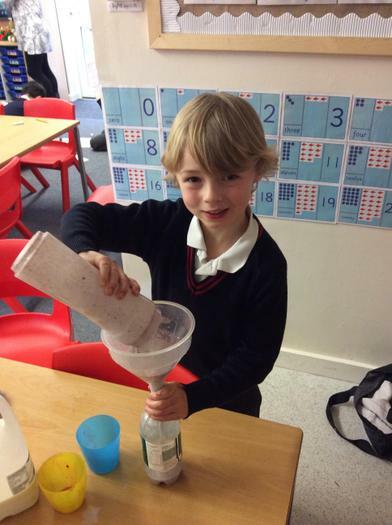 Maple Class had lots of fun designing and making their own smoothies! 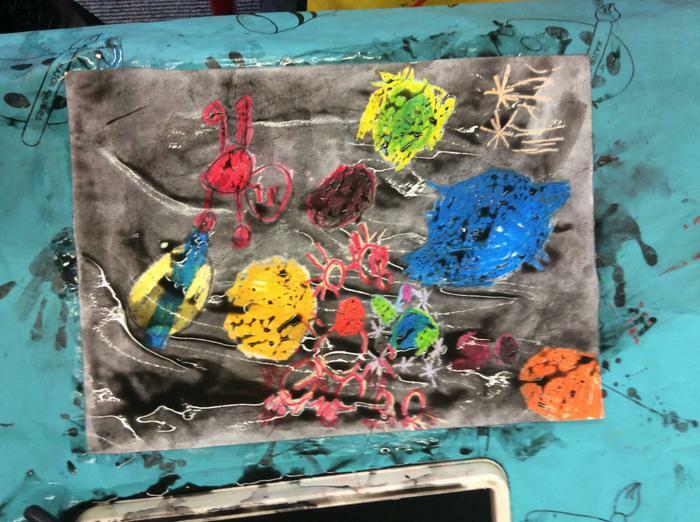 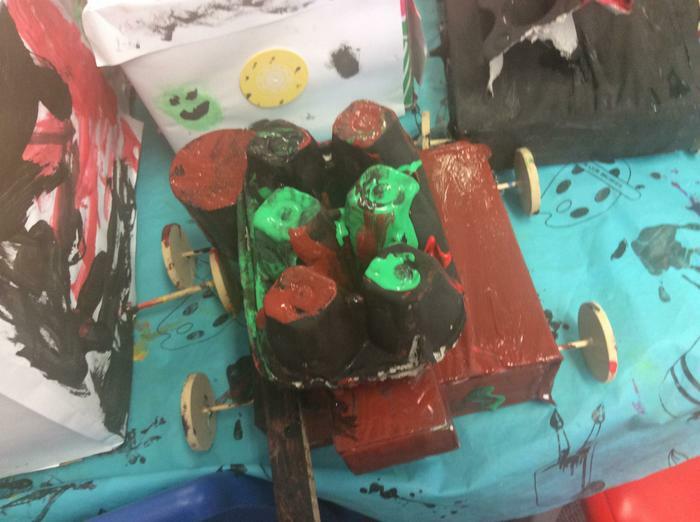 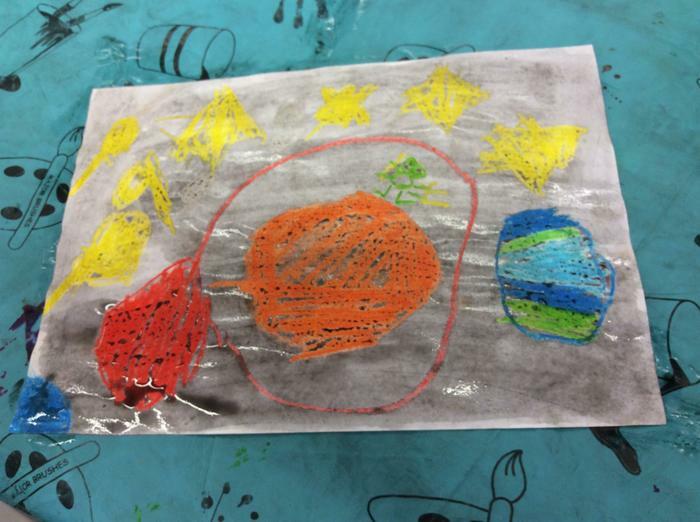 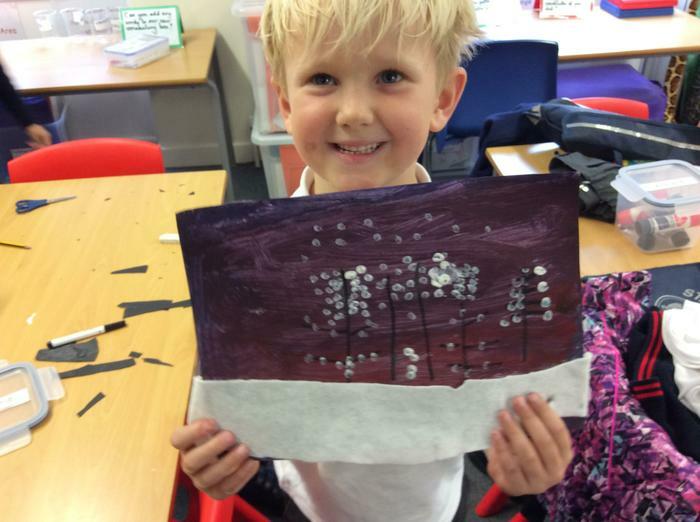 To celebrate Bonfire Night Maple Class printed some firework pictures. 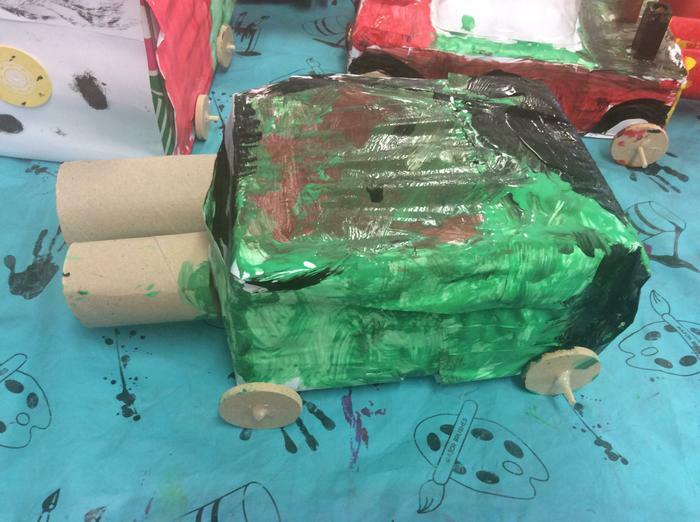 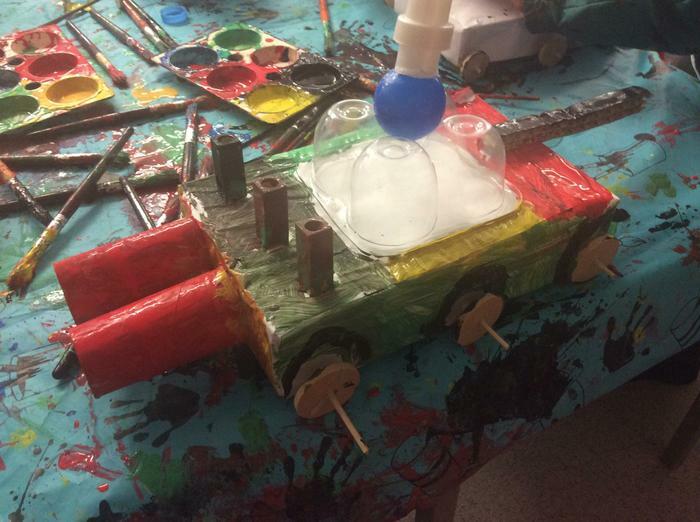 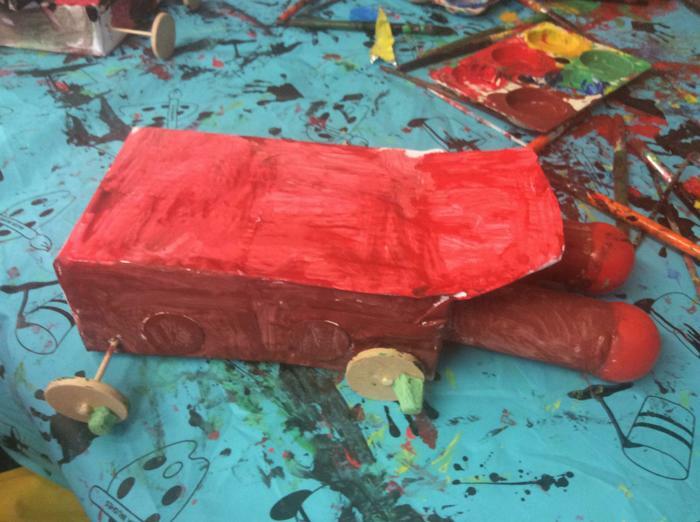 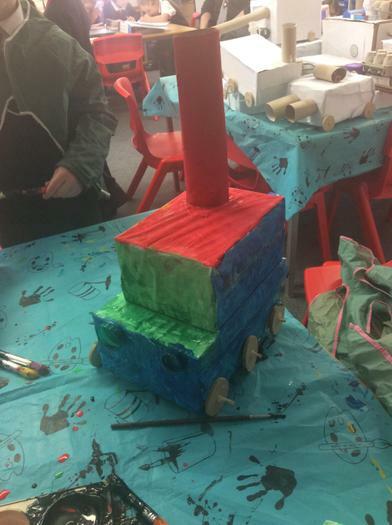 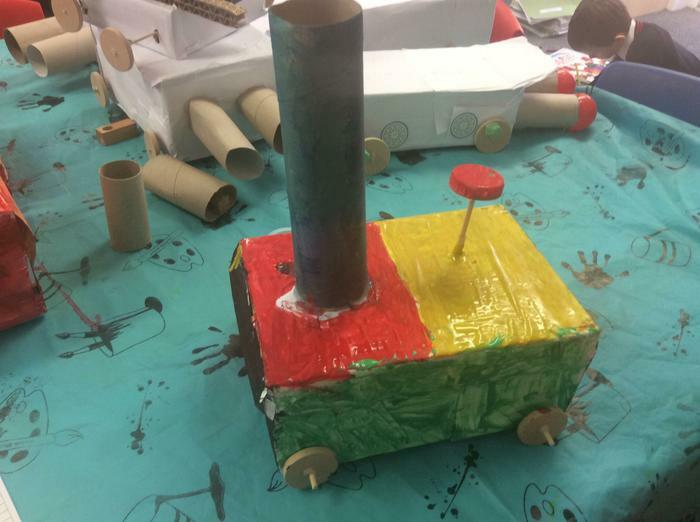 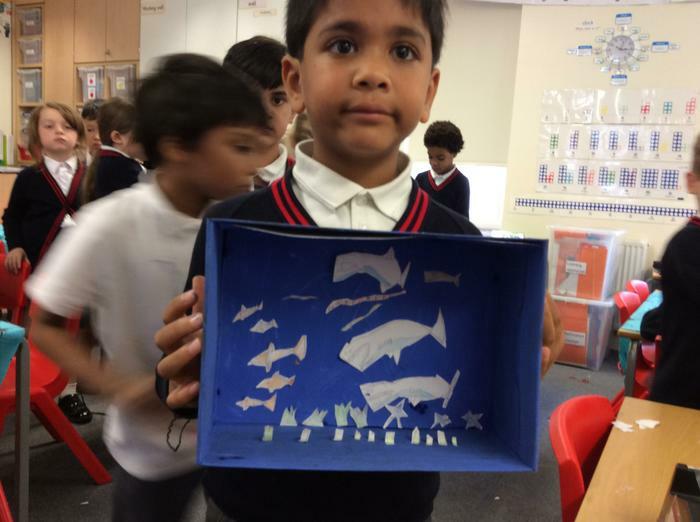 We had fun making them. 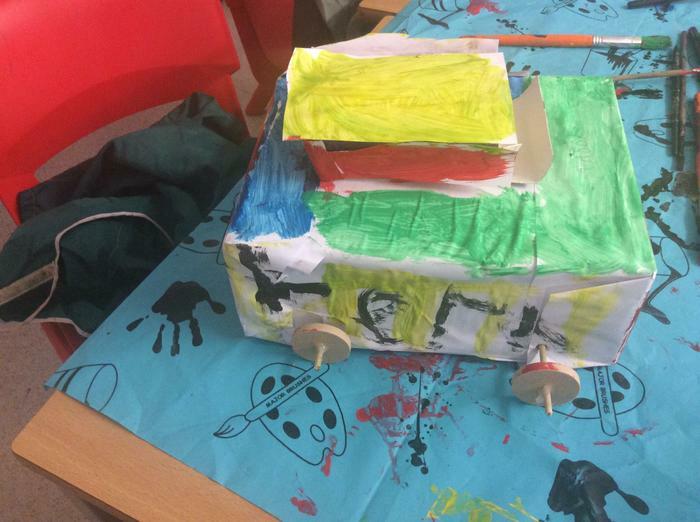 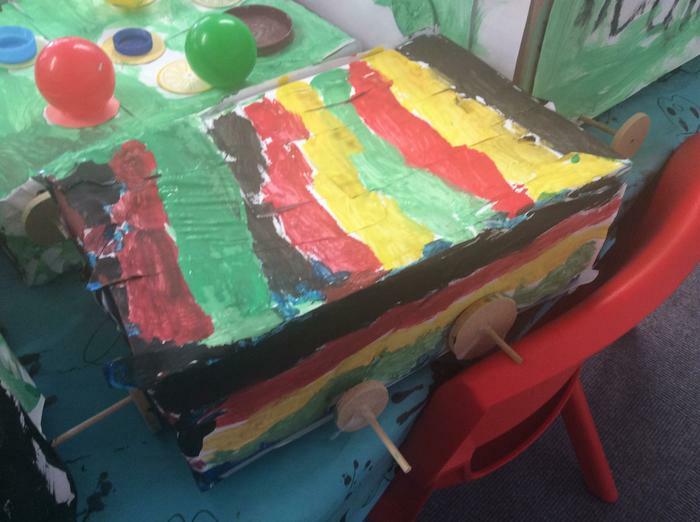 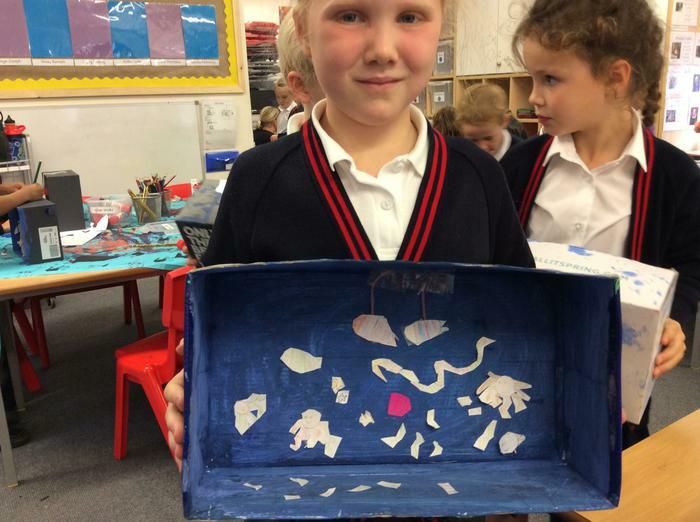 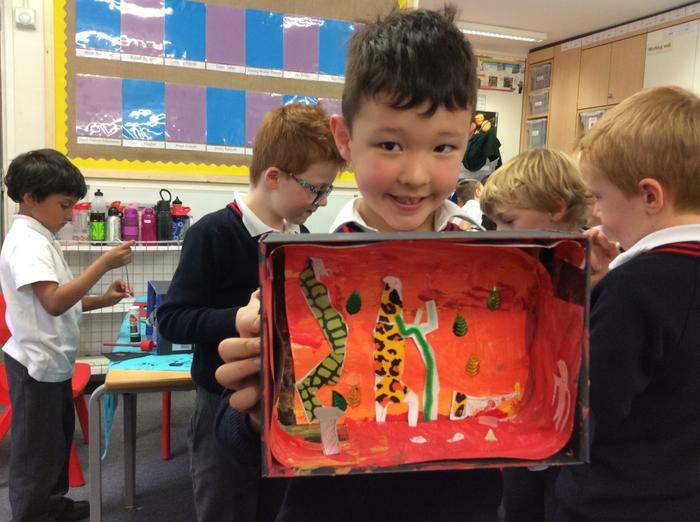 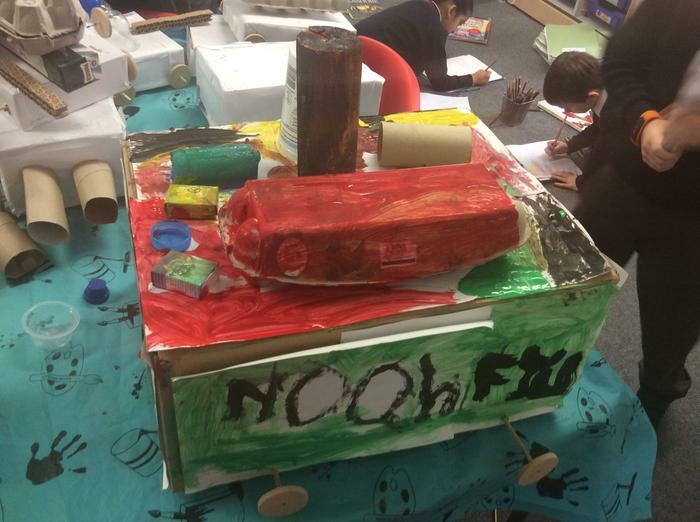 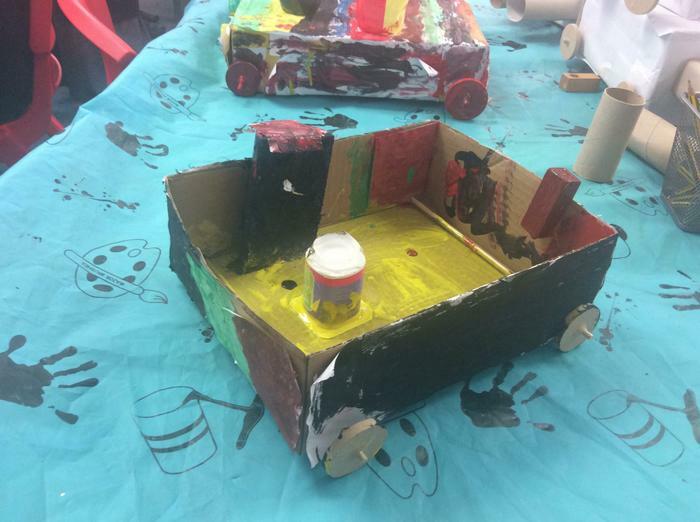 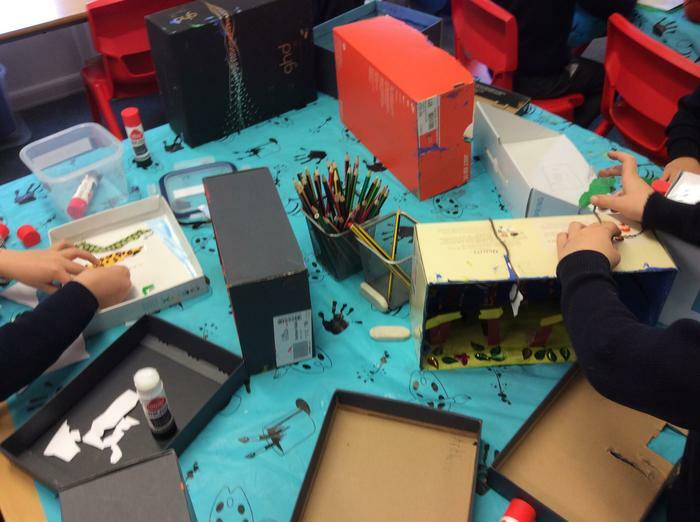 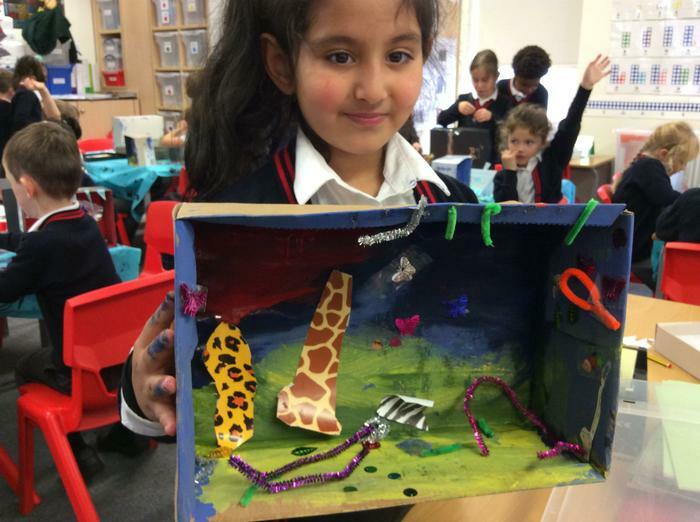 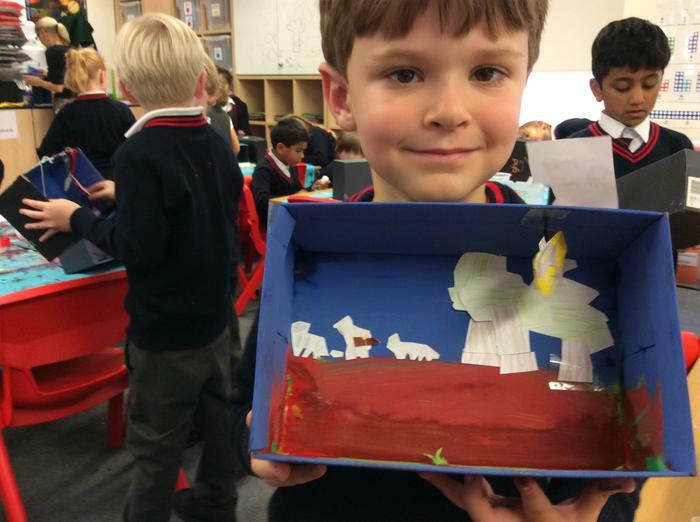 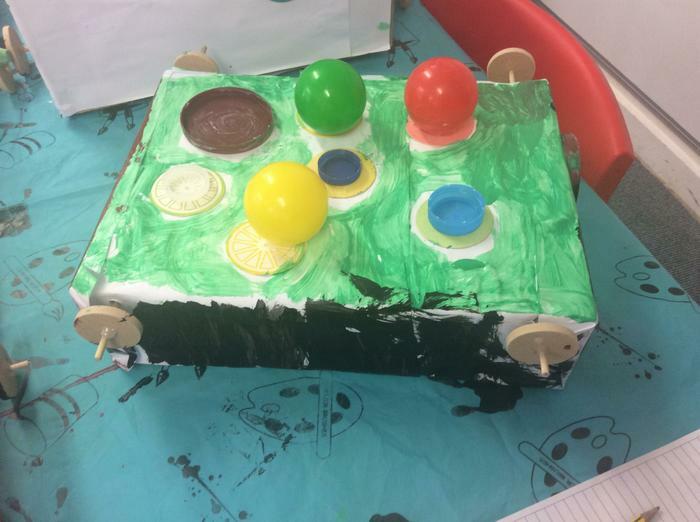 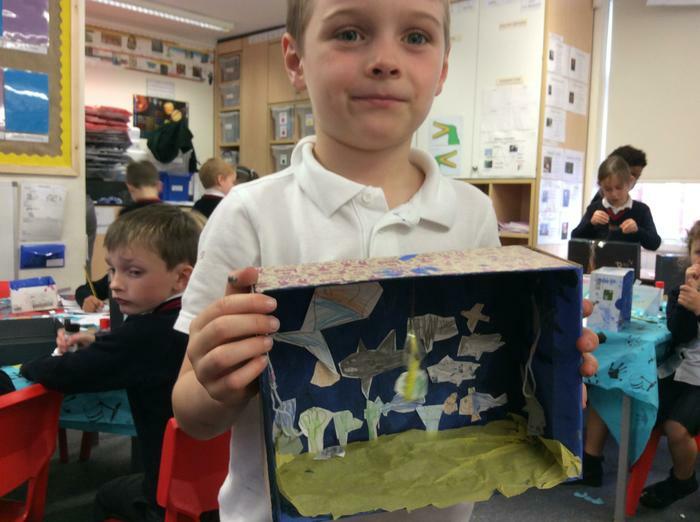 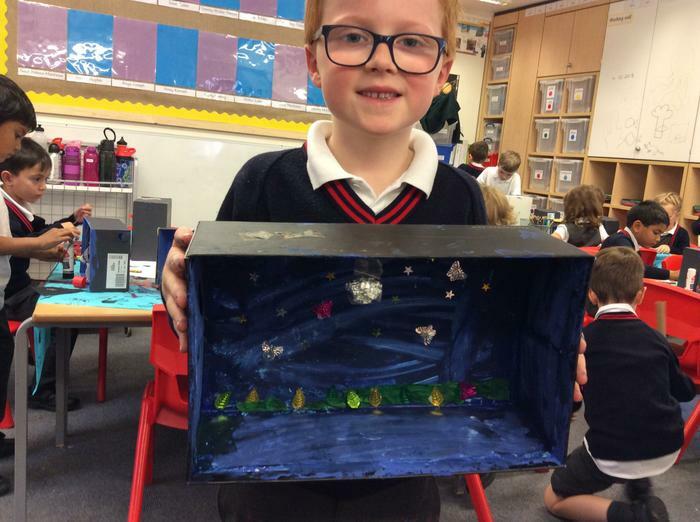 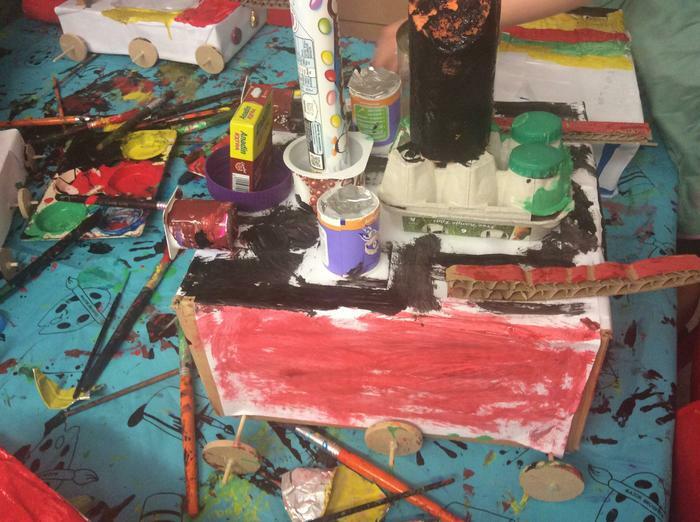 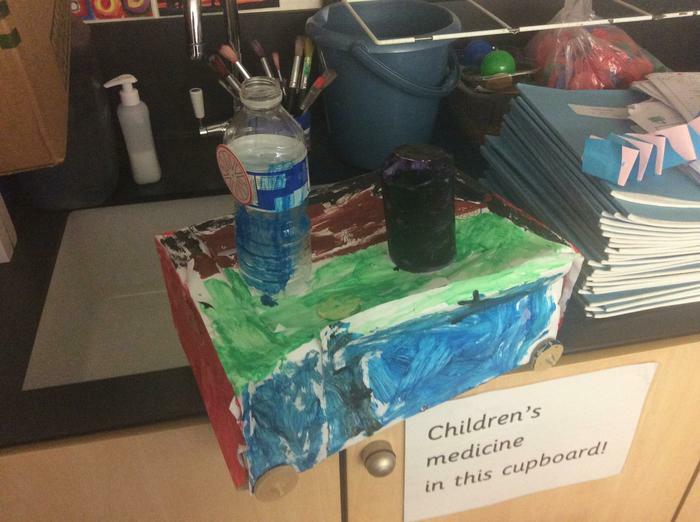 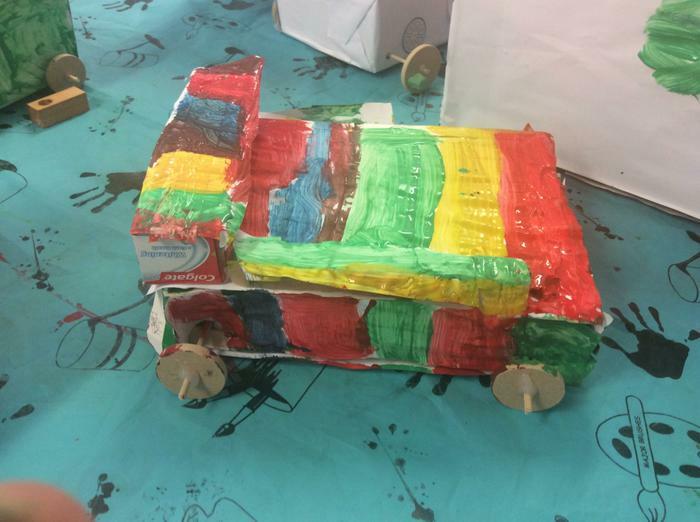 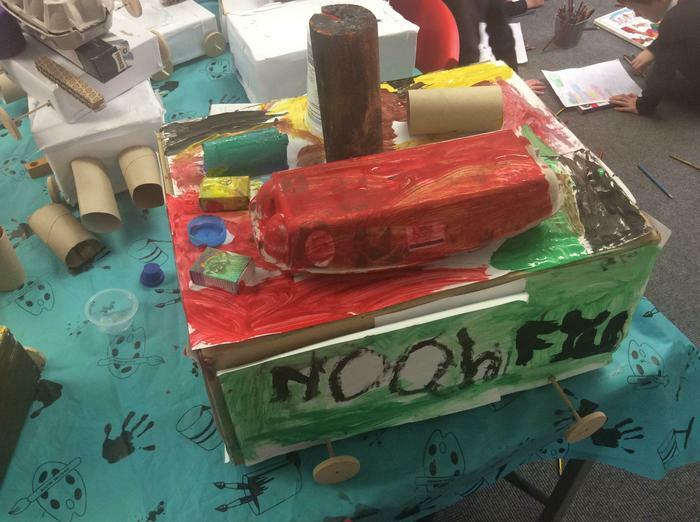 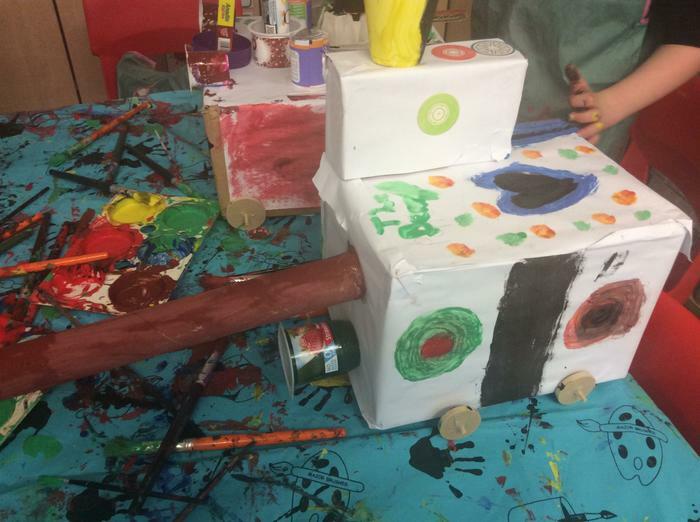 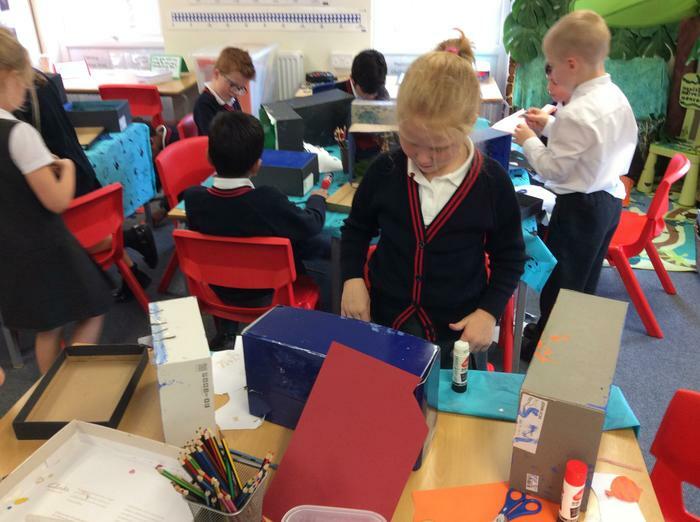 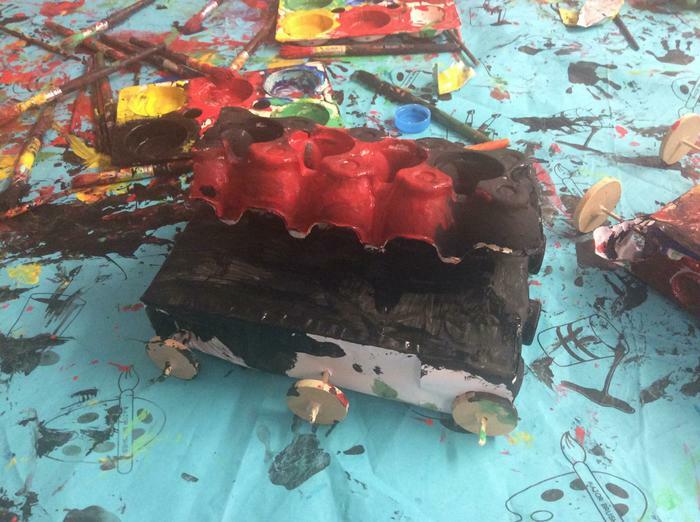 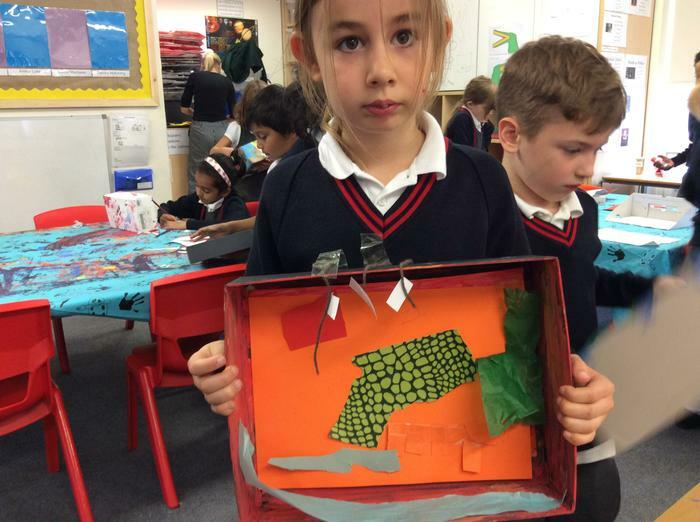 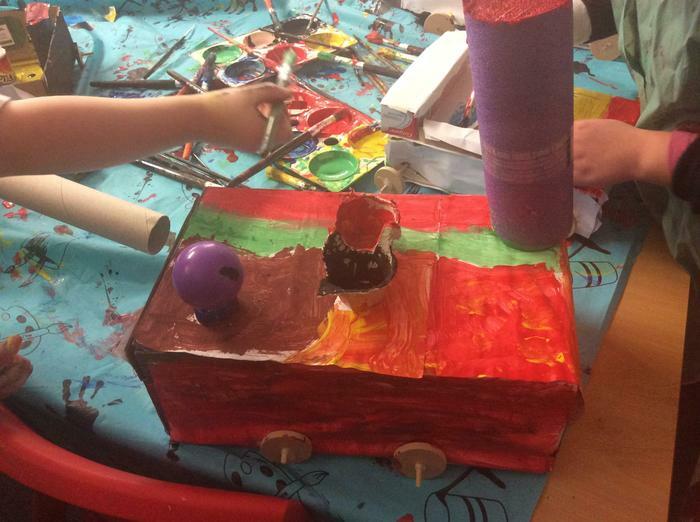 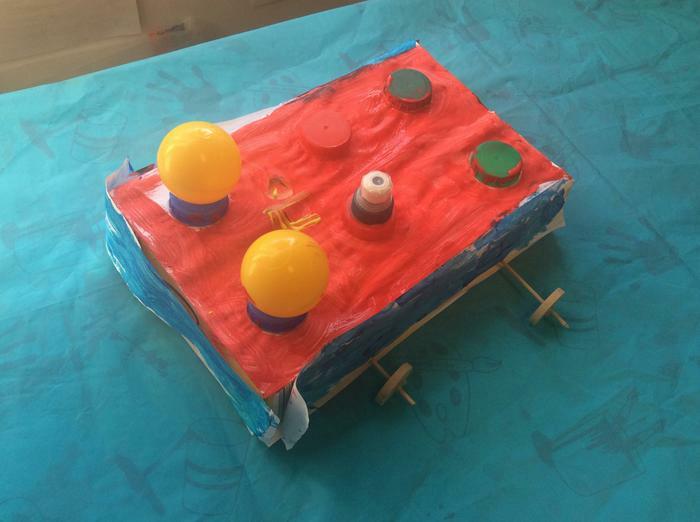 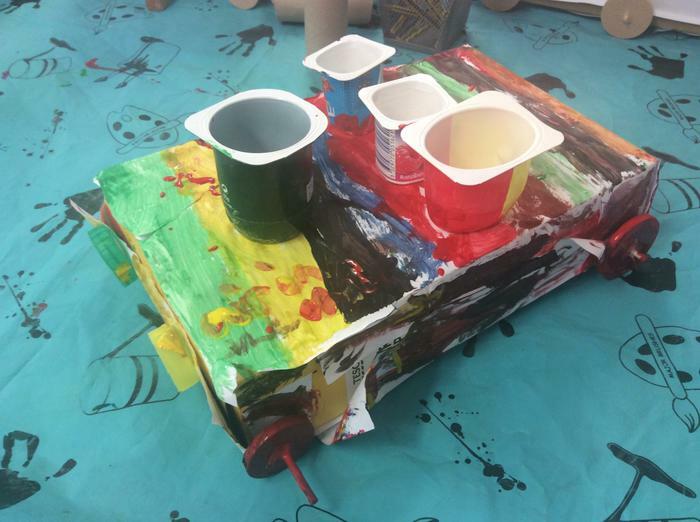 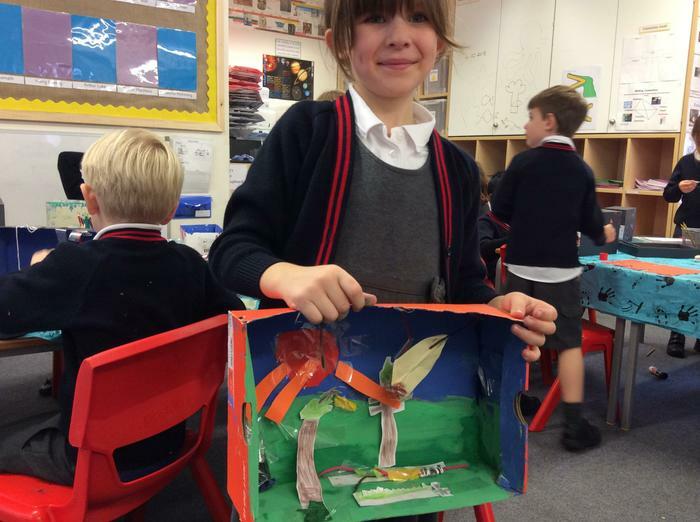 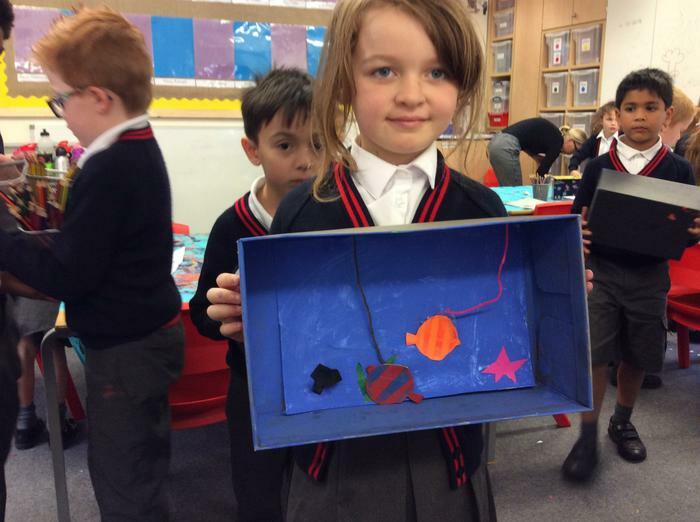 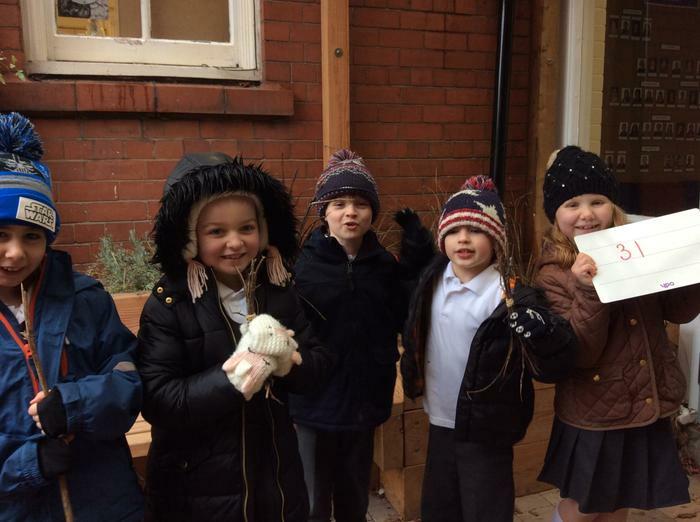 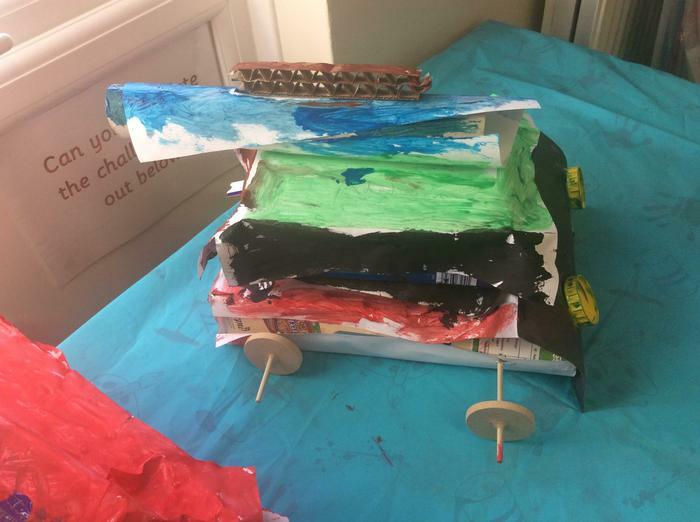 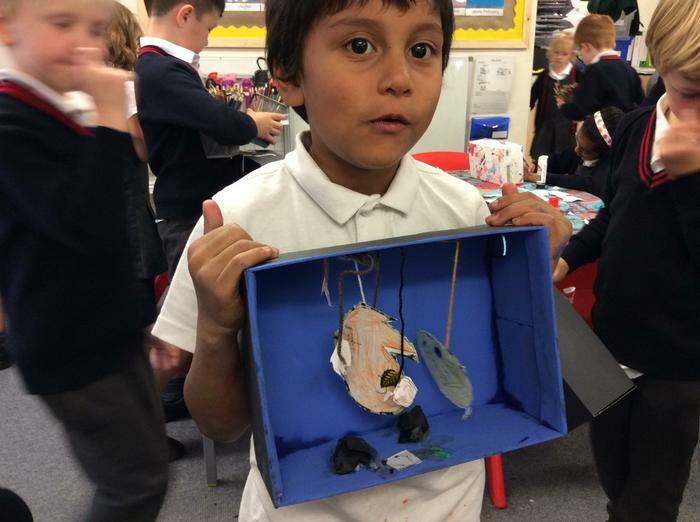 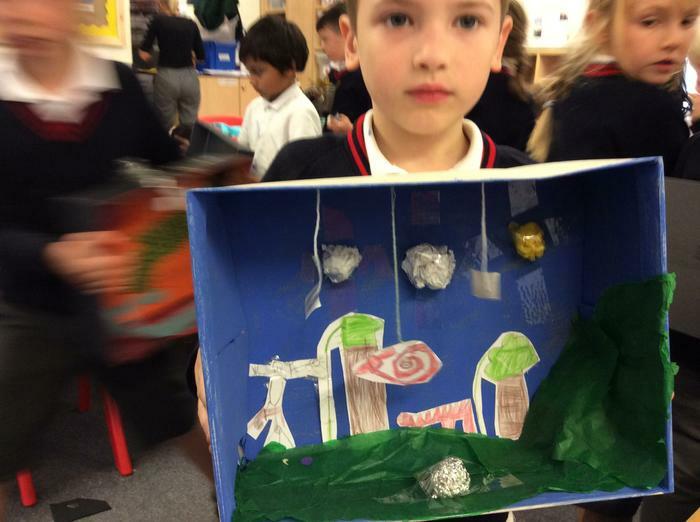 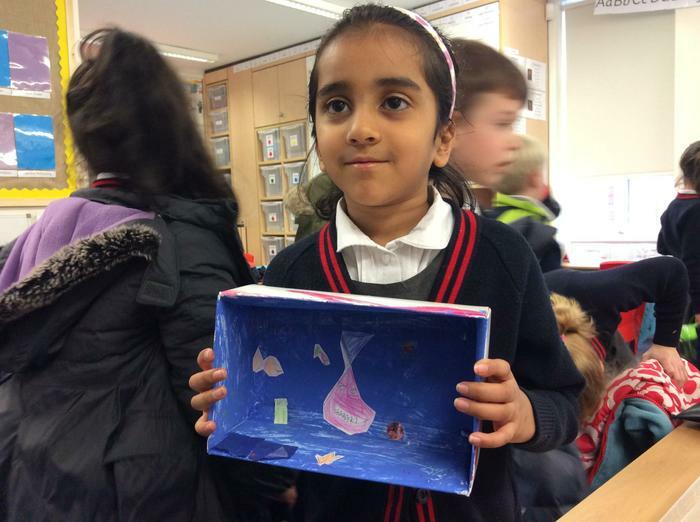 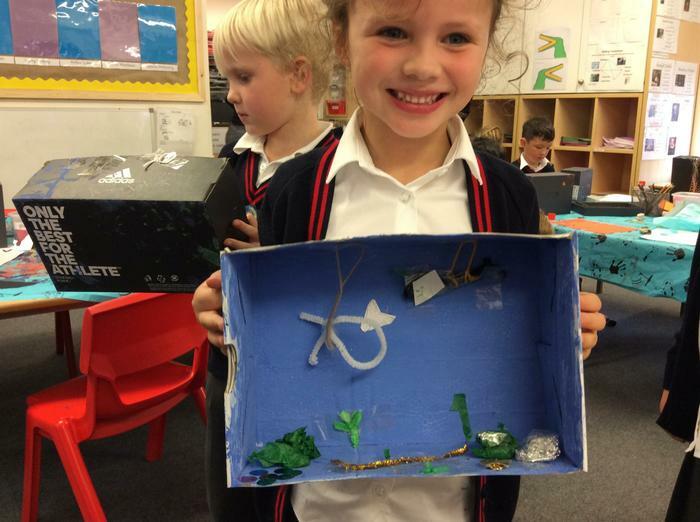 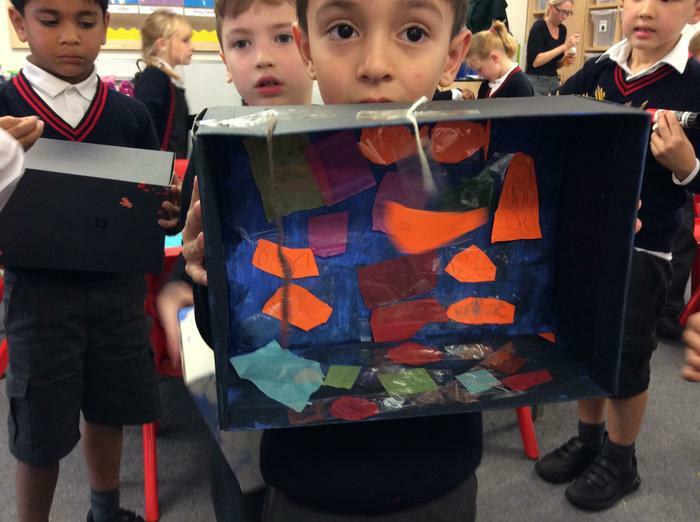 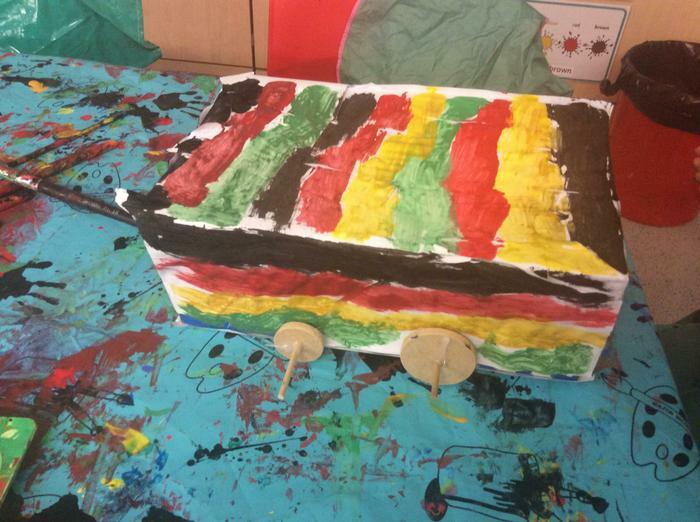 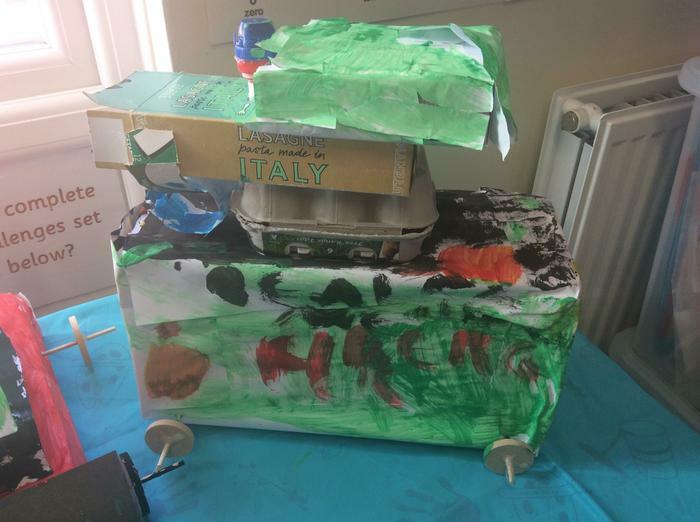 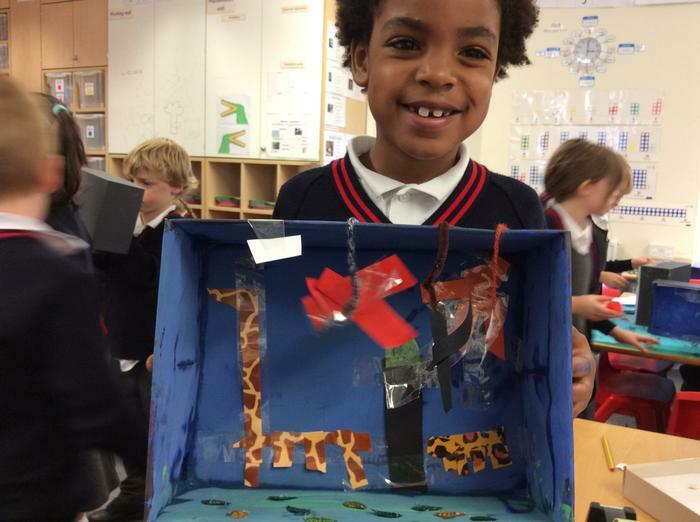 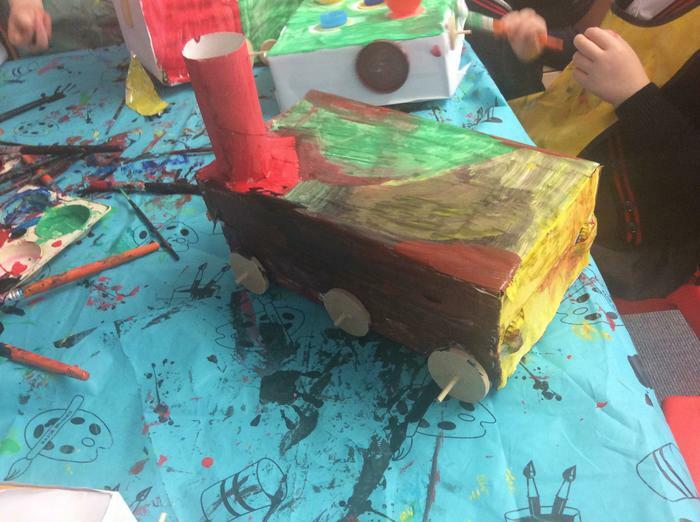 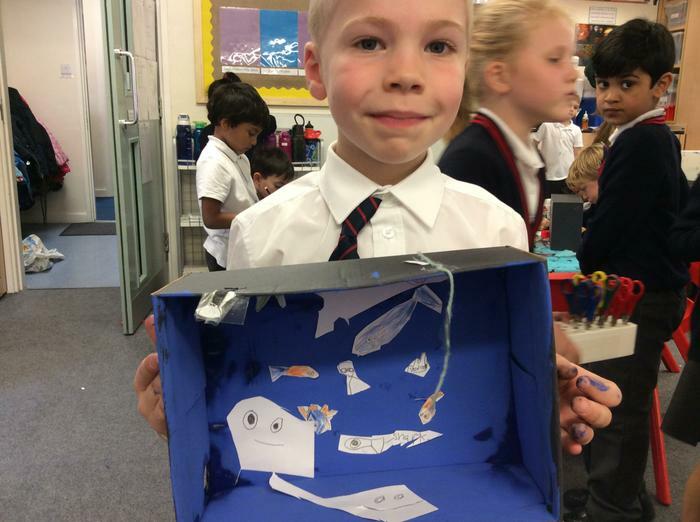 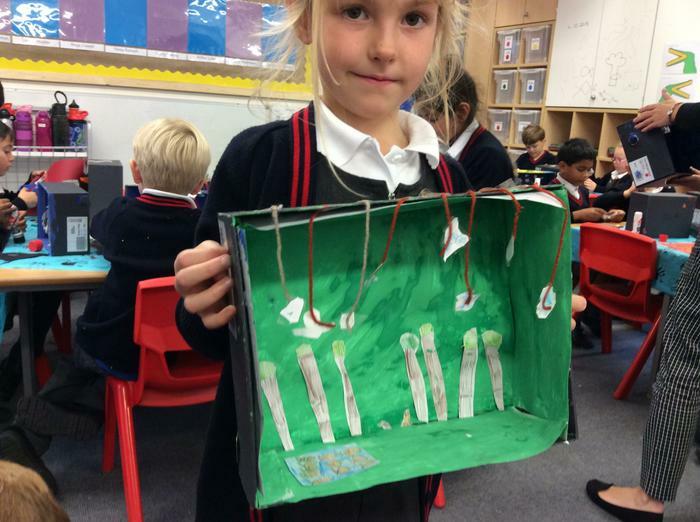 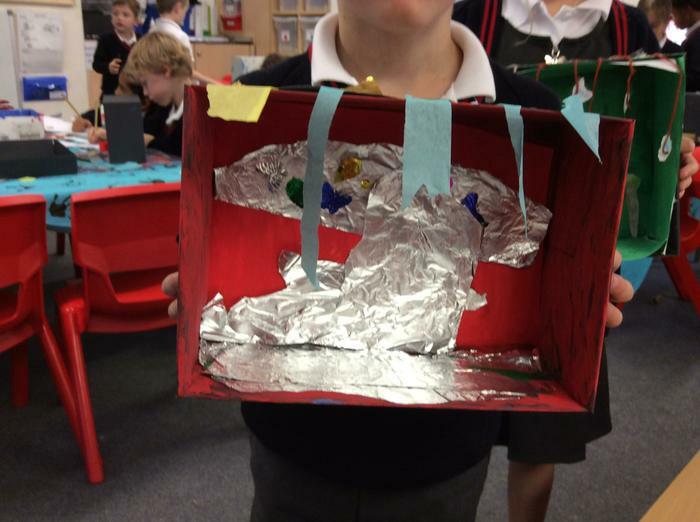 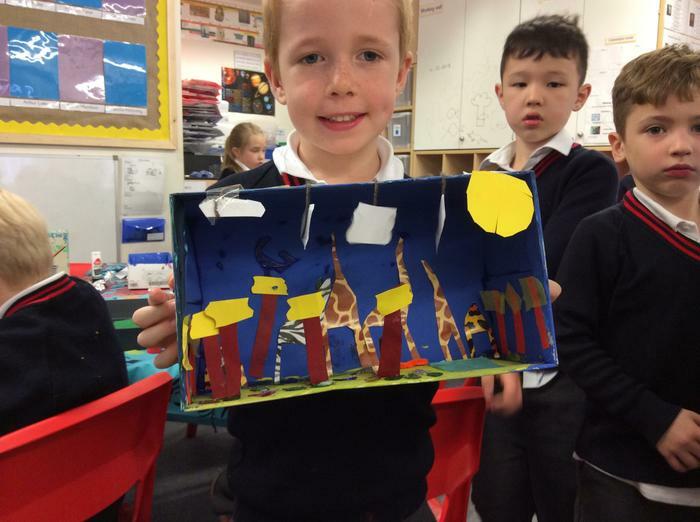 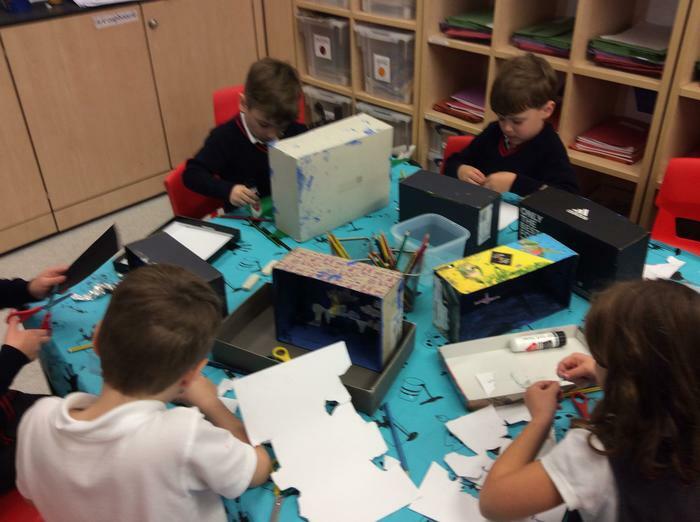 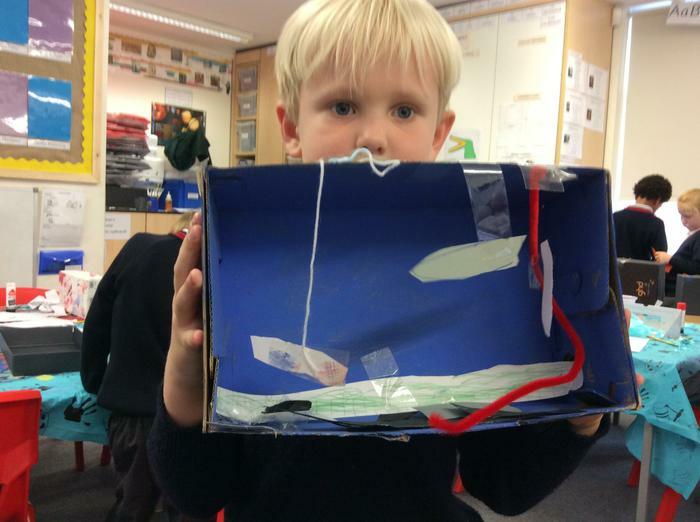 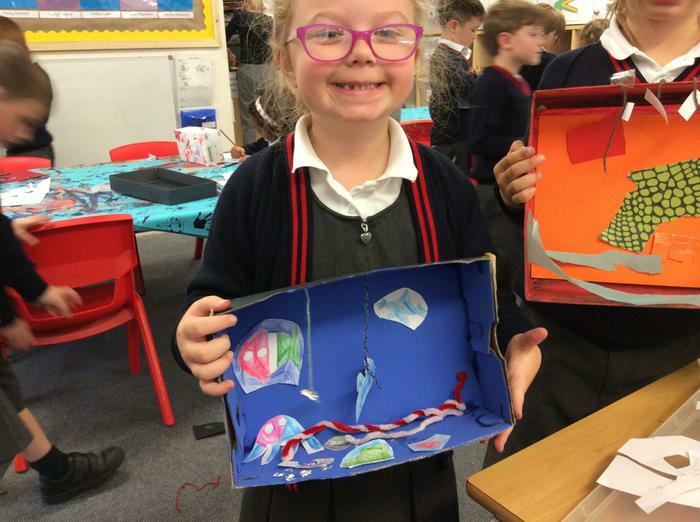 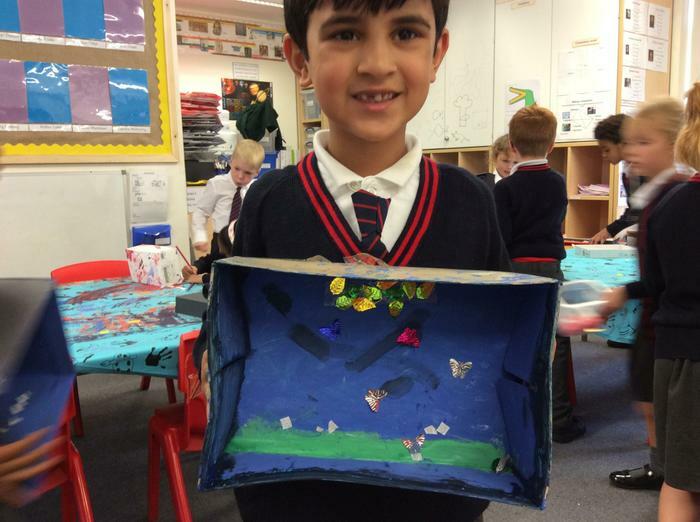 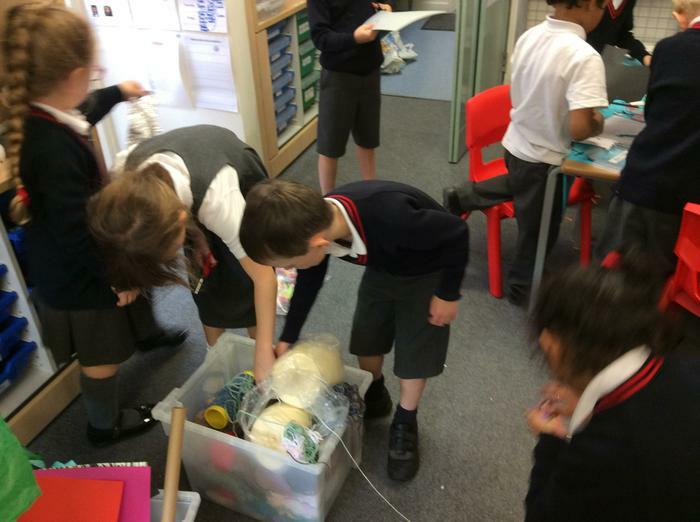 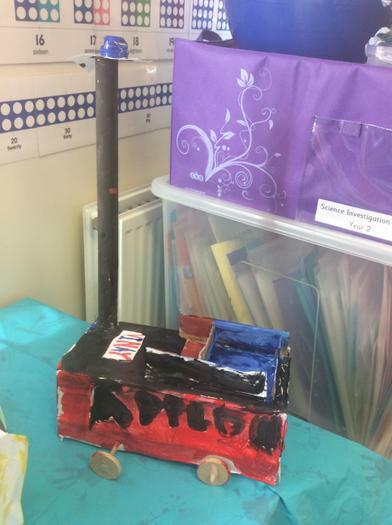 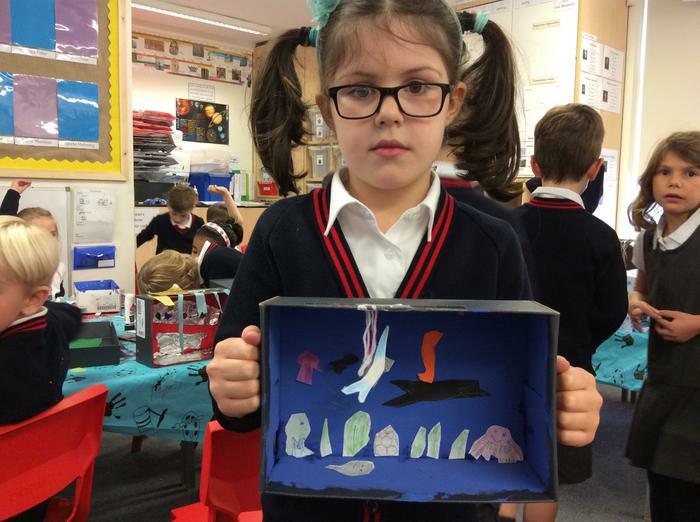 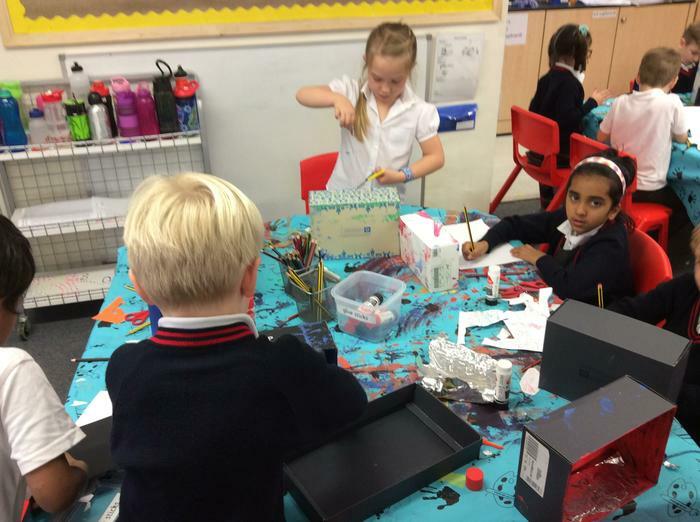 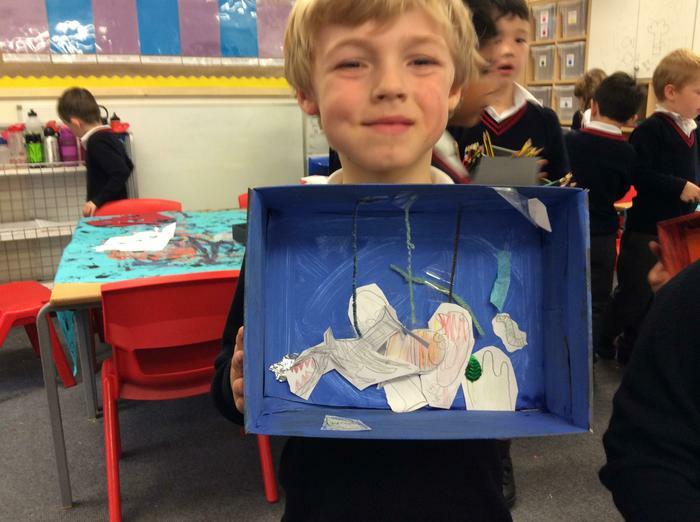 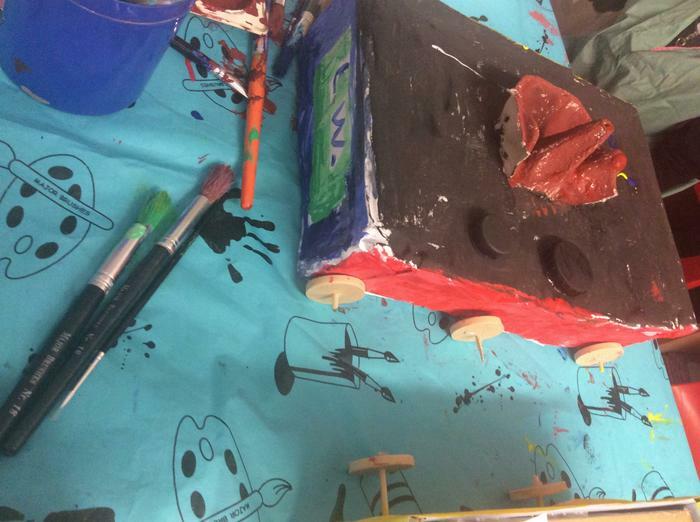 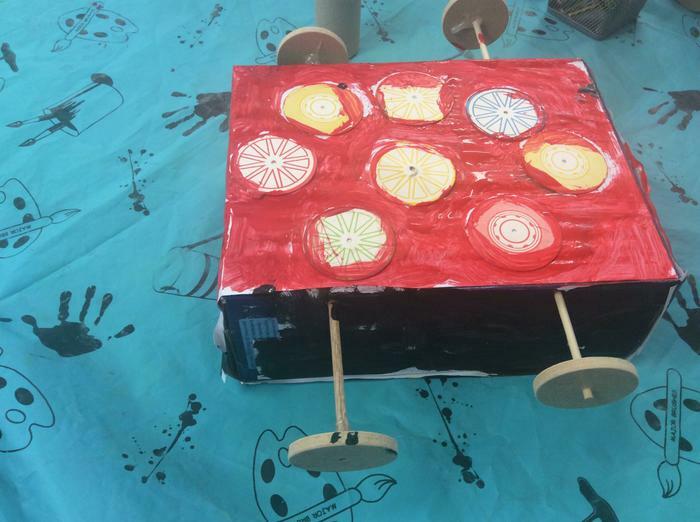 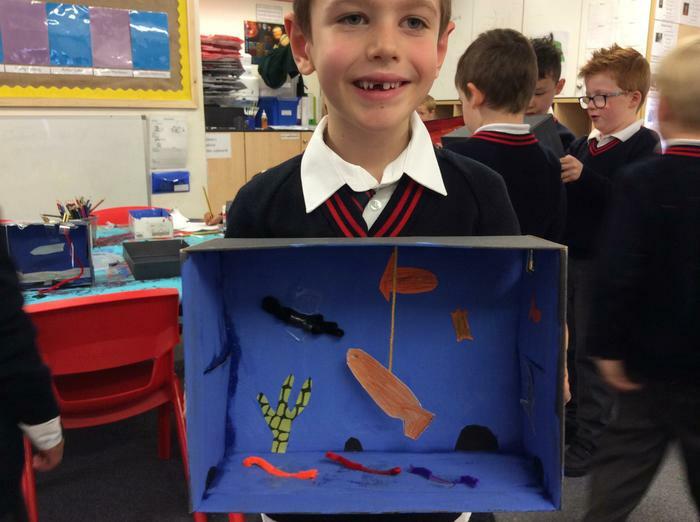 As part of our Science and DT subjects, the children have created their very own animal habitats. 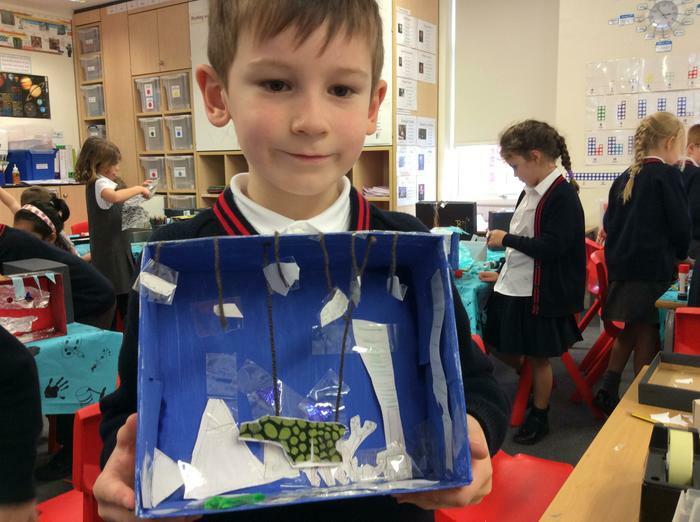 They had to design, make and evaluate them and discuss the reasons why each animal is suited to it's habitat. 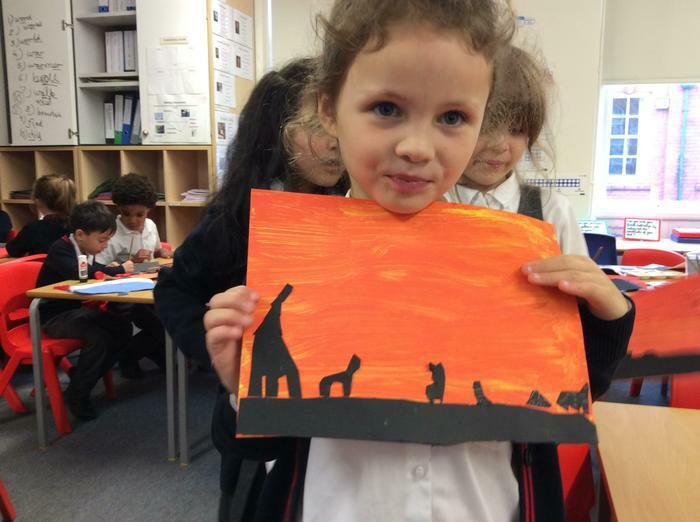 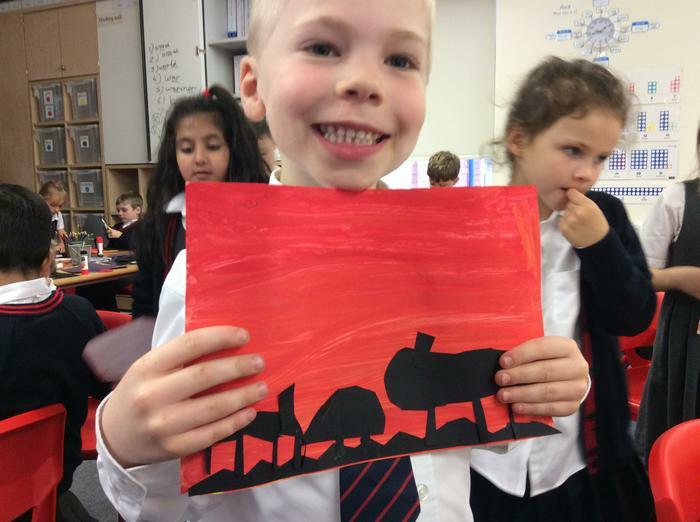 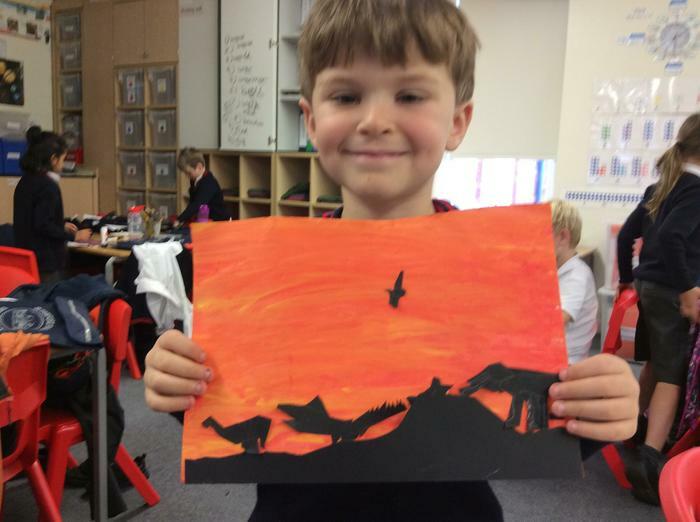 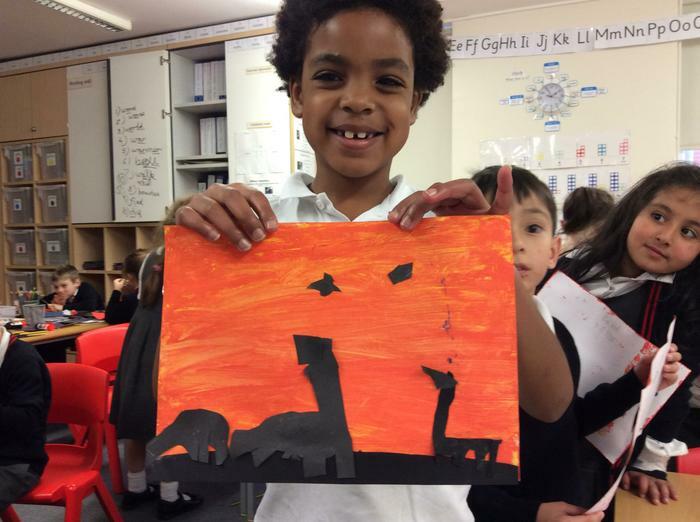 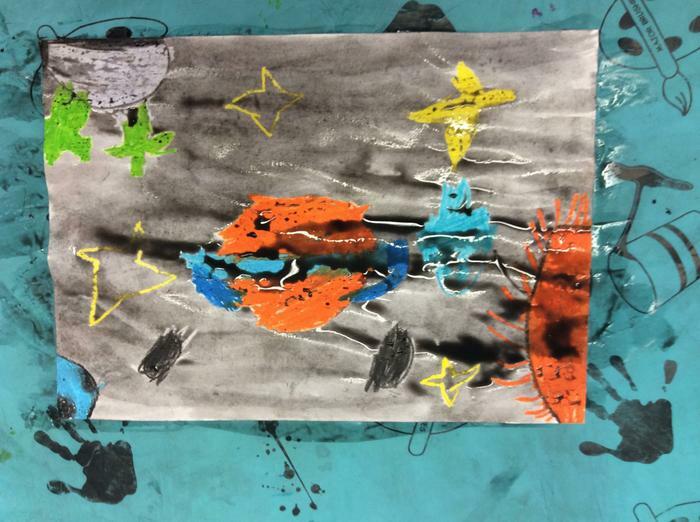 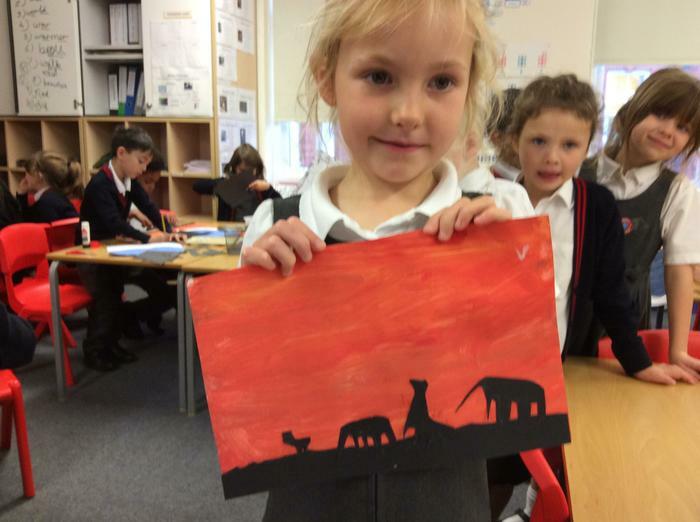 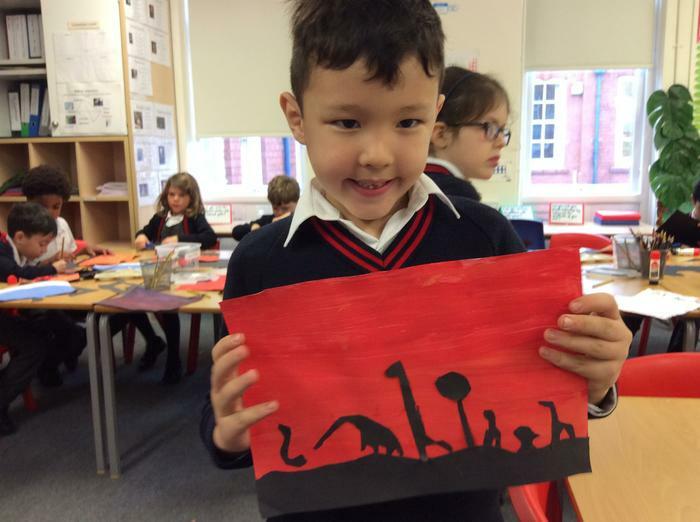 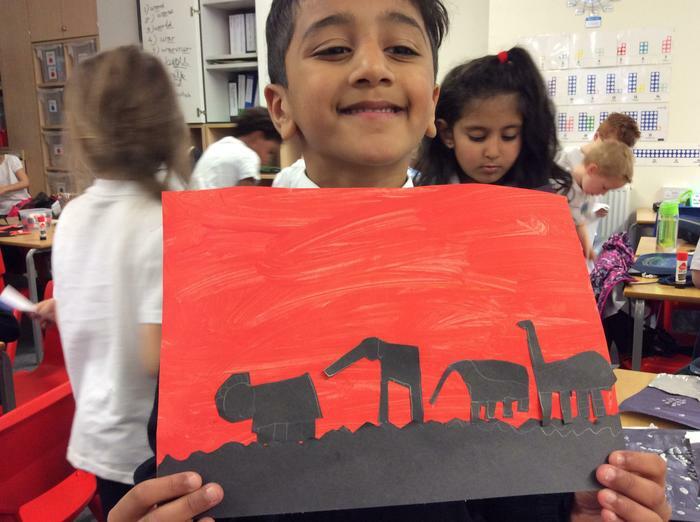 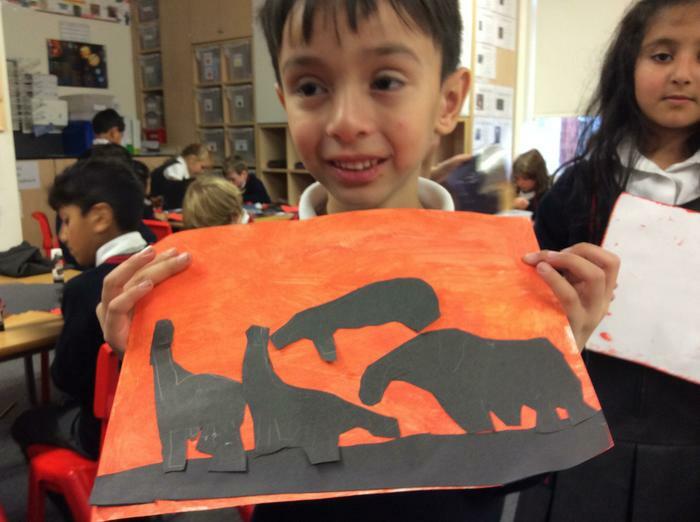 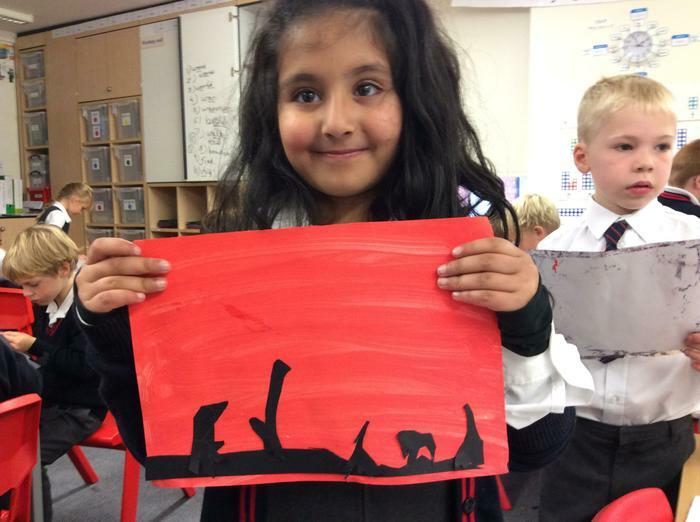 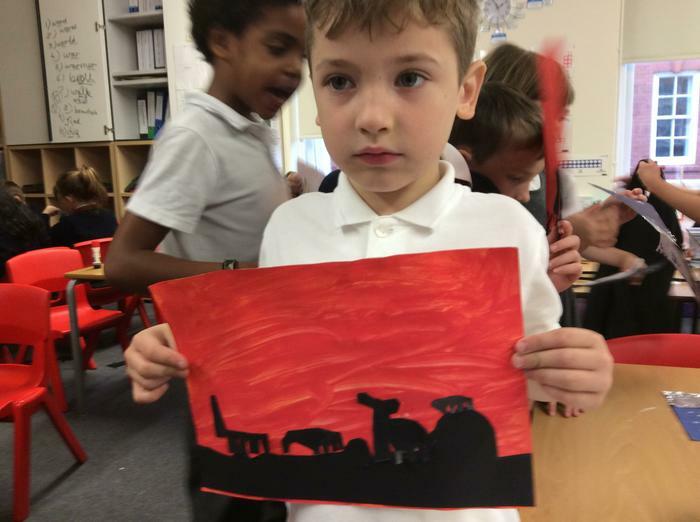 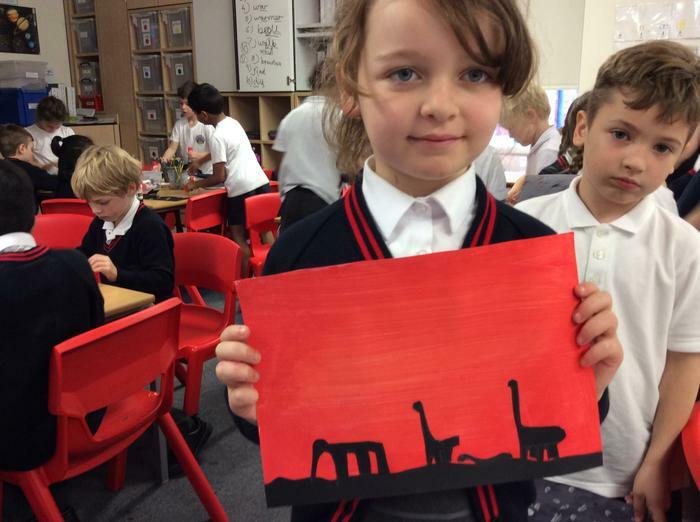 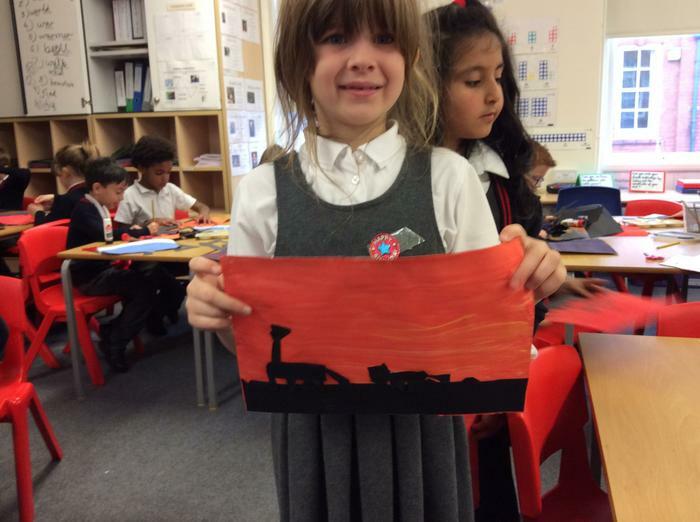 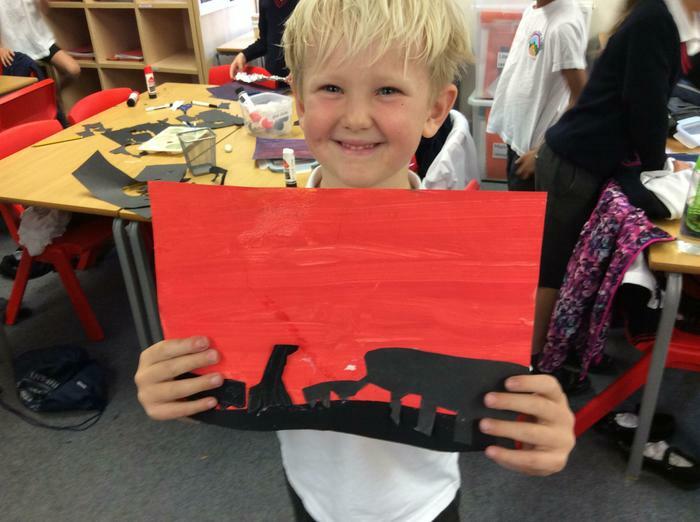 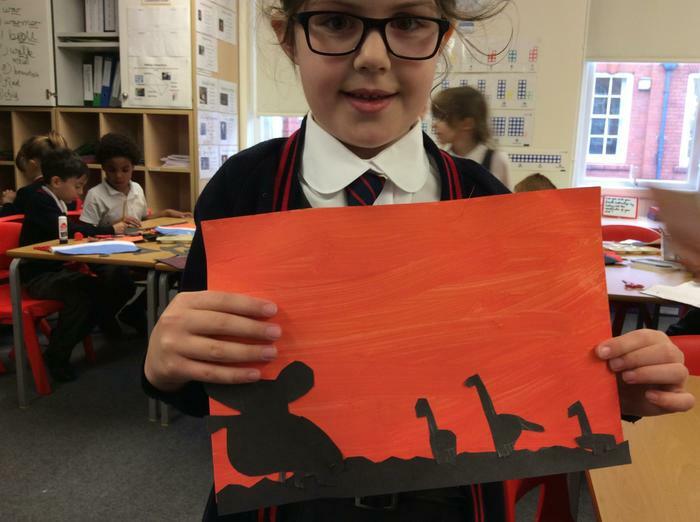 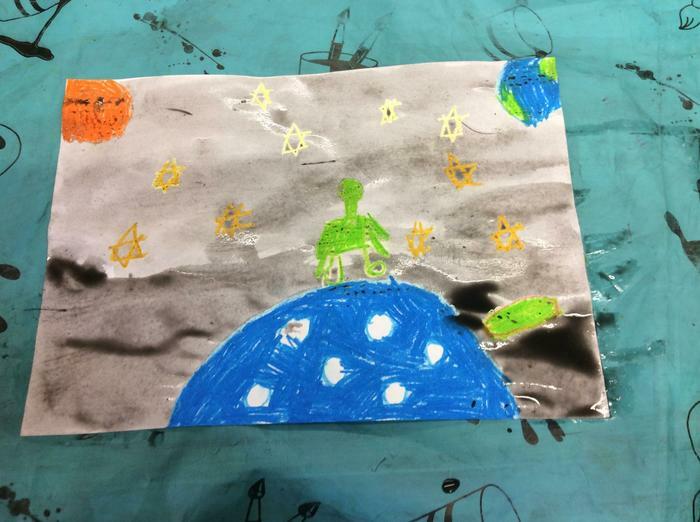 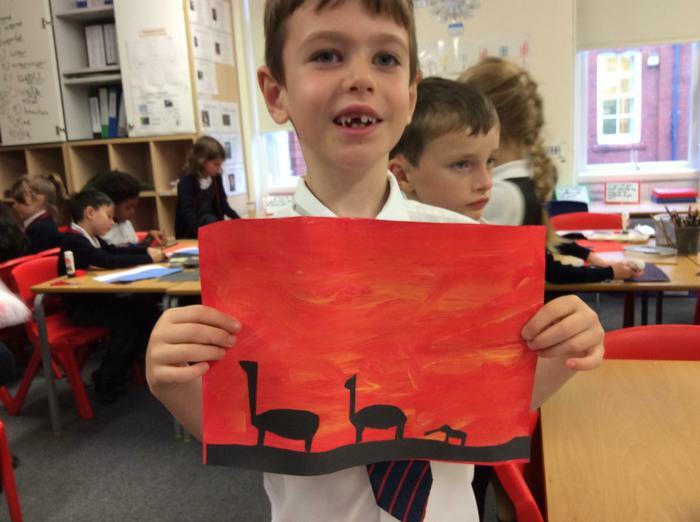 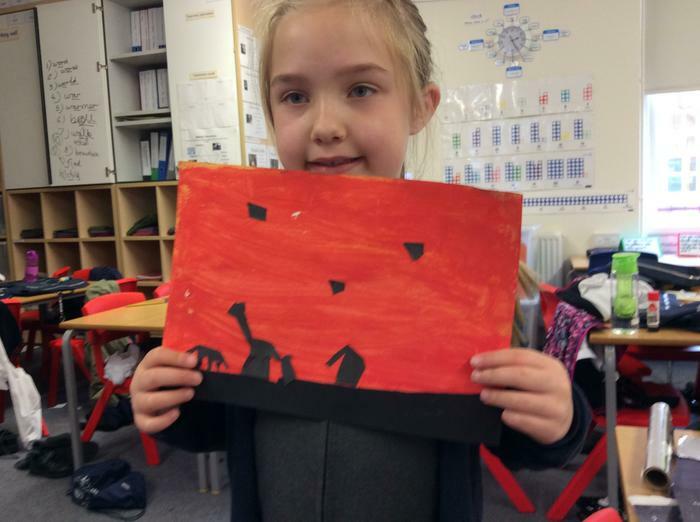 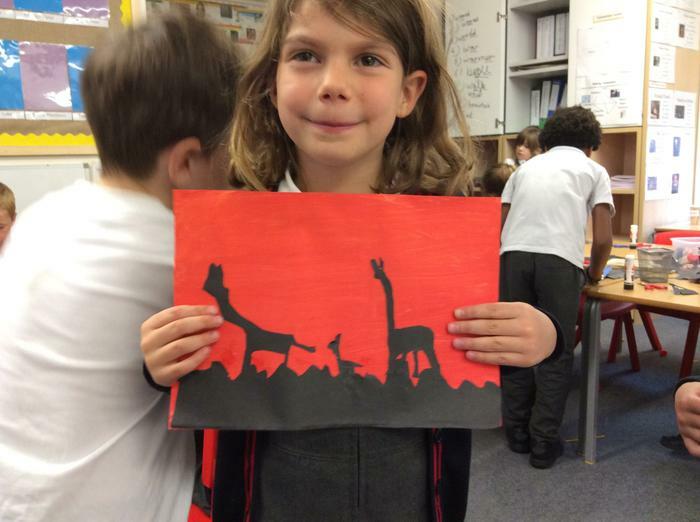 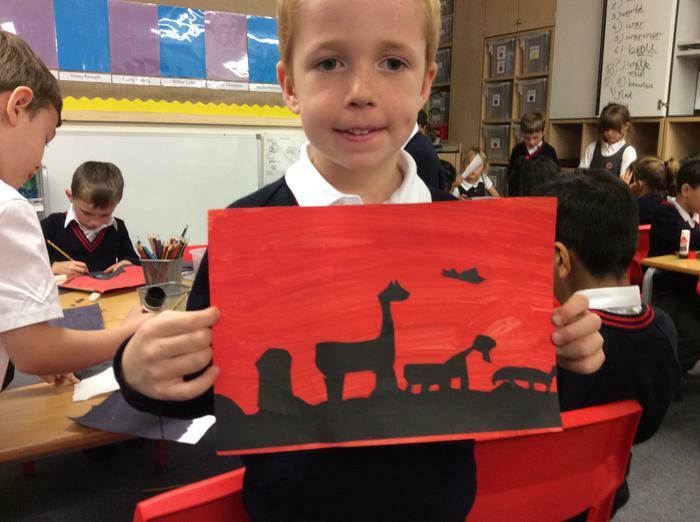 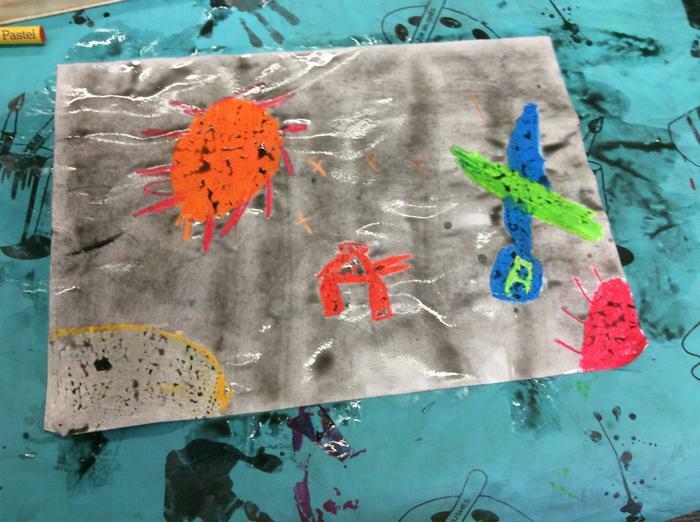 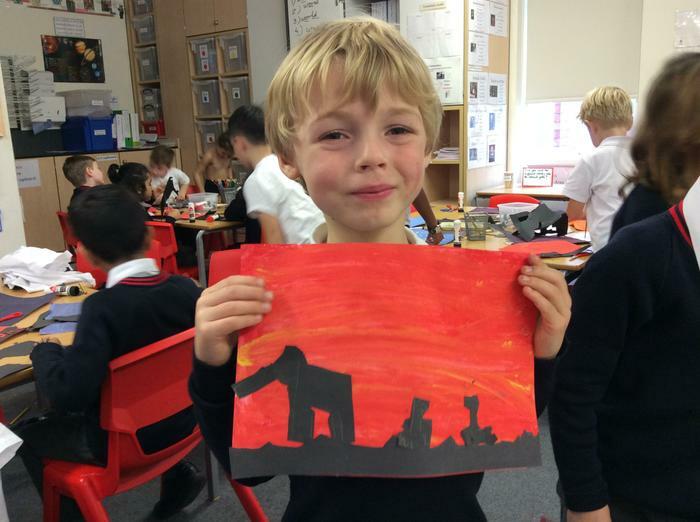 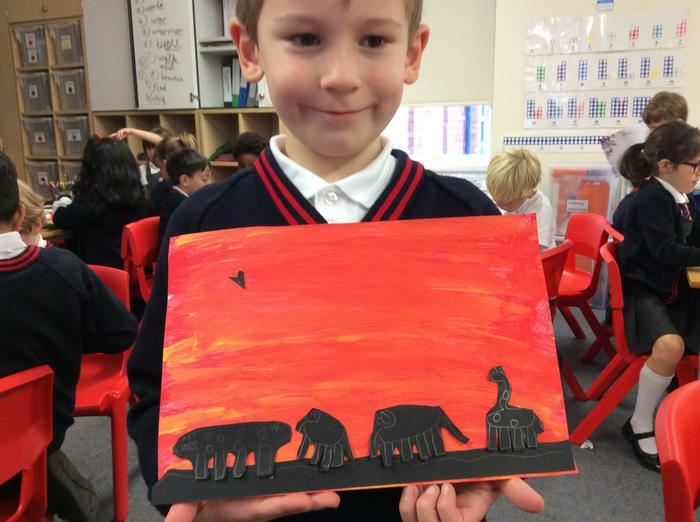 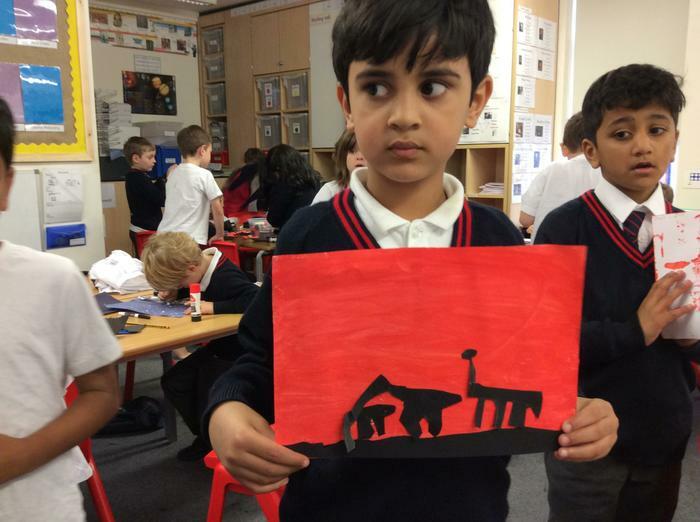 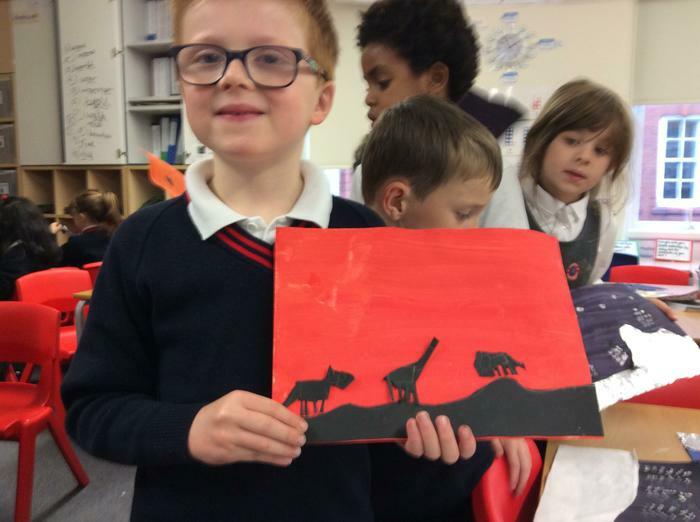 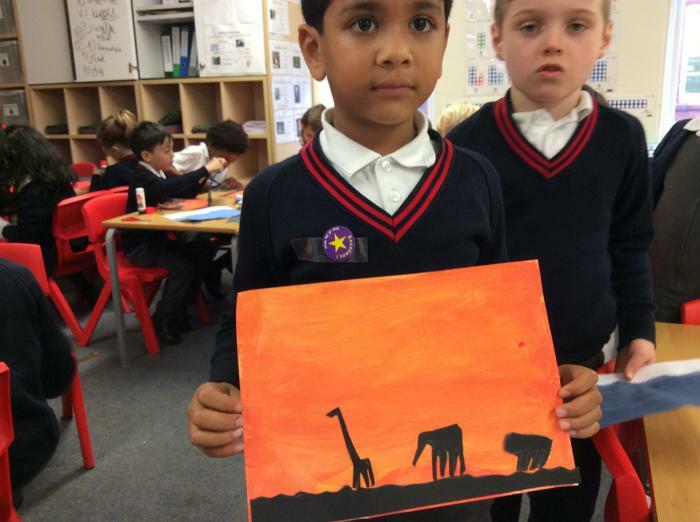 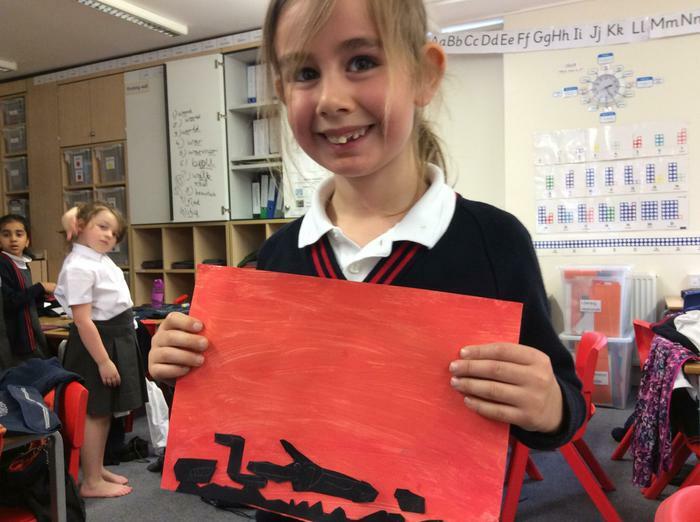 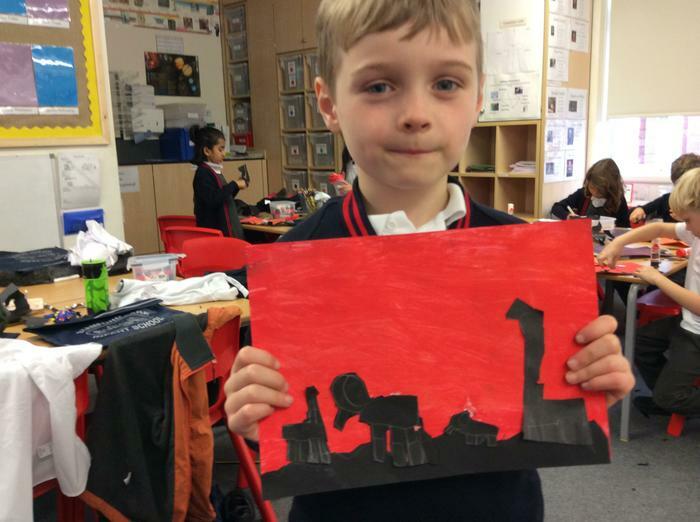 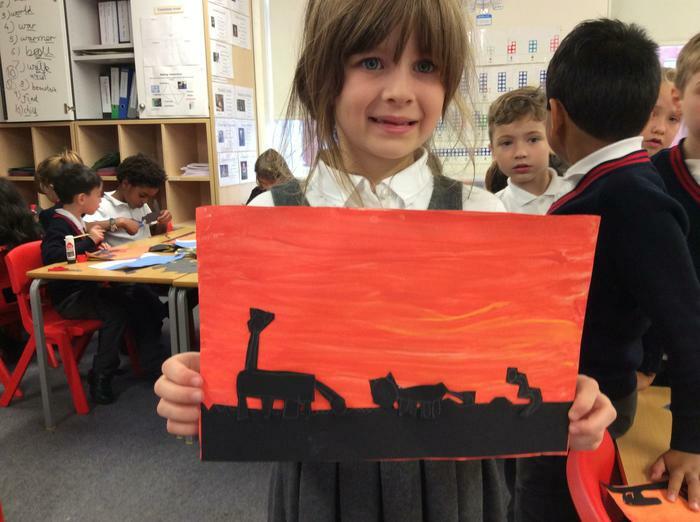 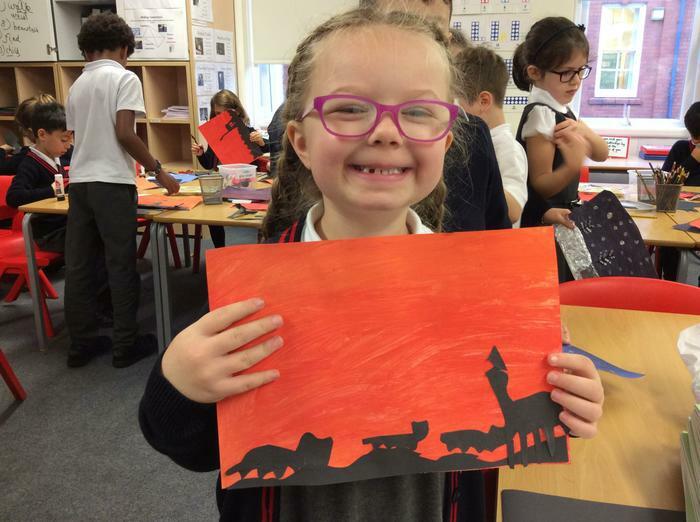 As part of our work on Kenya, the children have created a sunset picture, showing the silhouettes of various native animals. 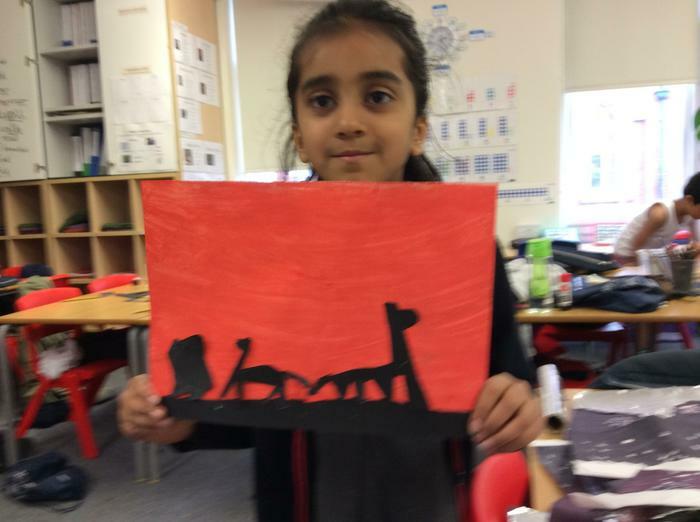 We created this picture by panting the background in bright sunny colours and adding carefully cut out animals to the front of the picture. 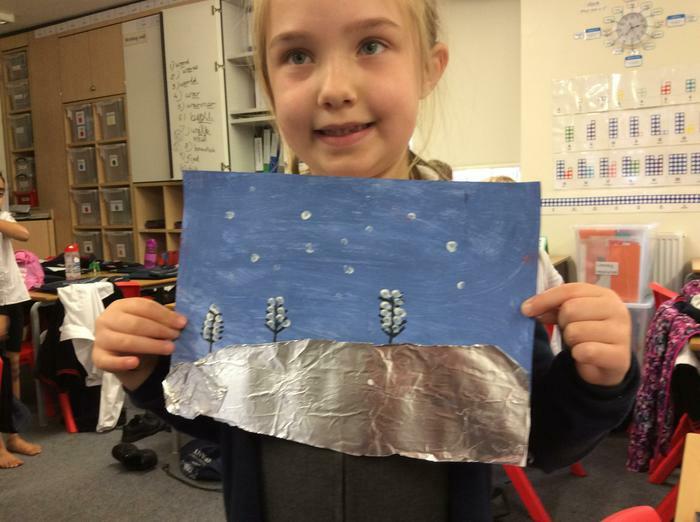 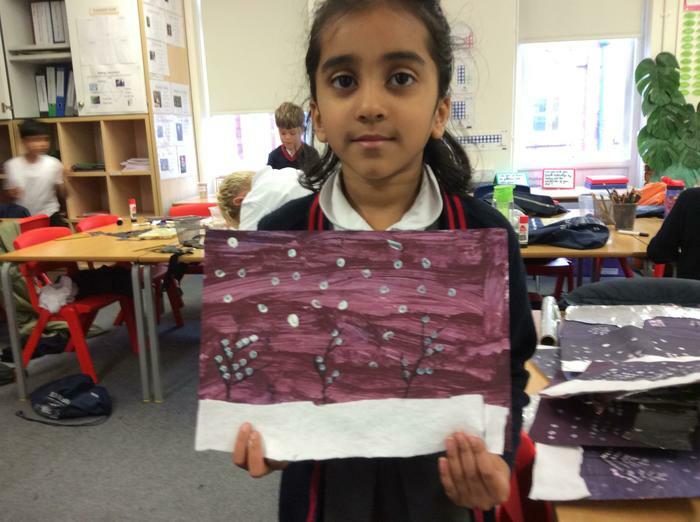 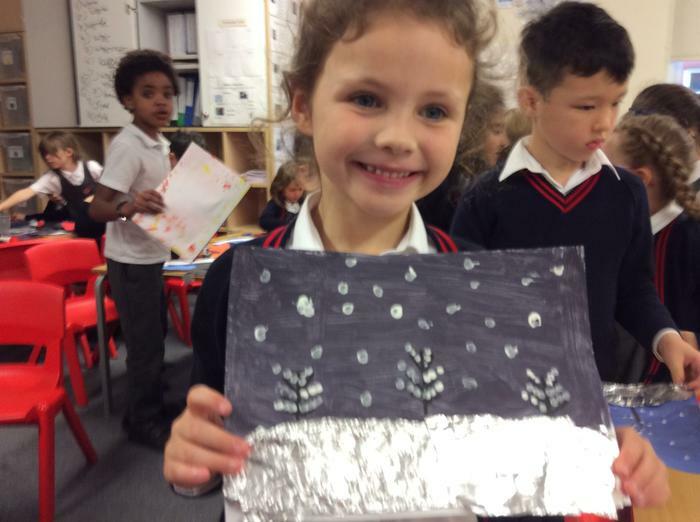 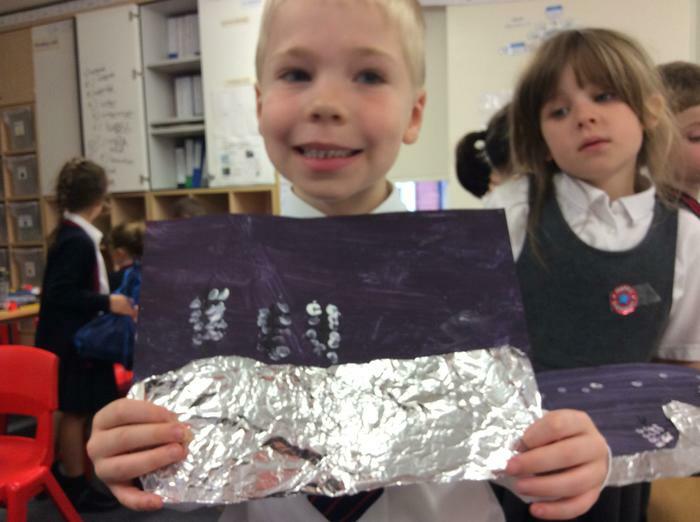 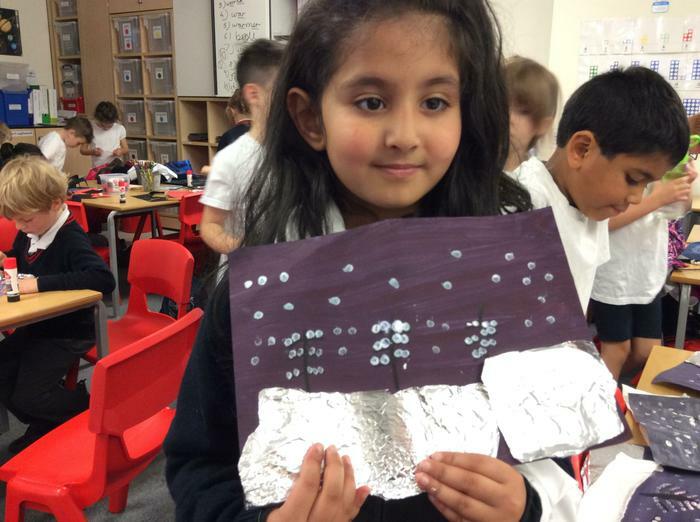 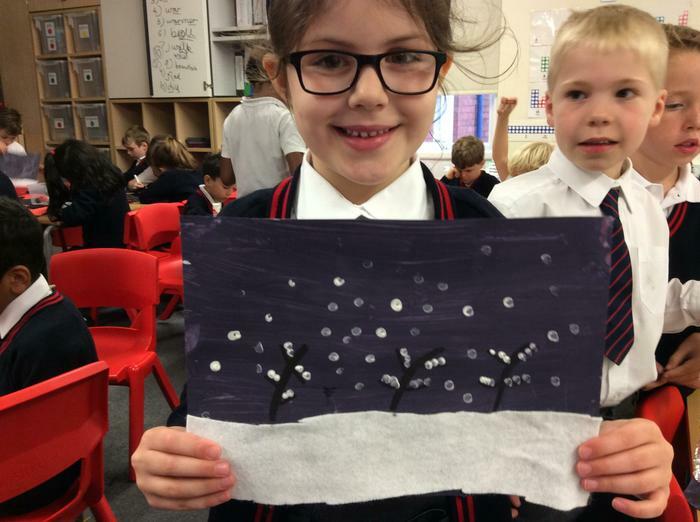 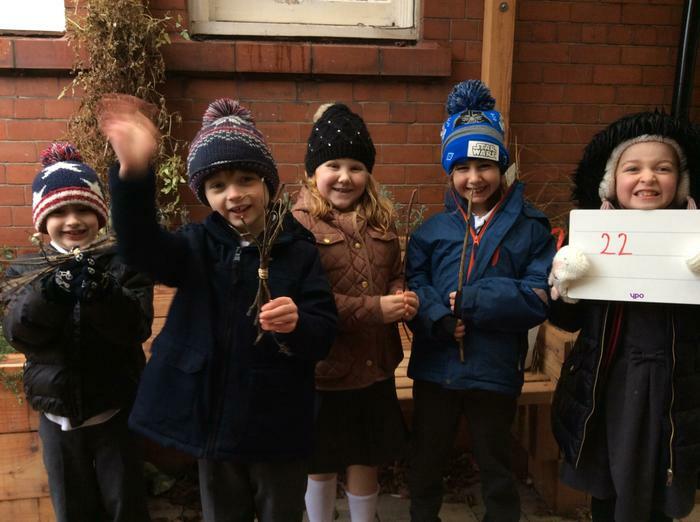 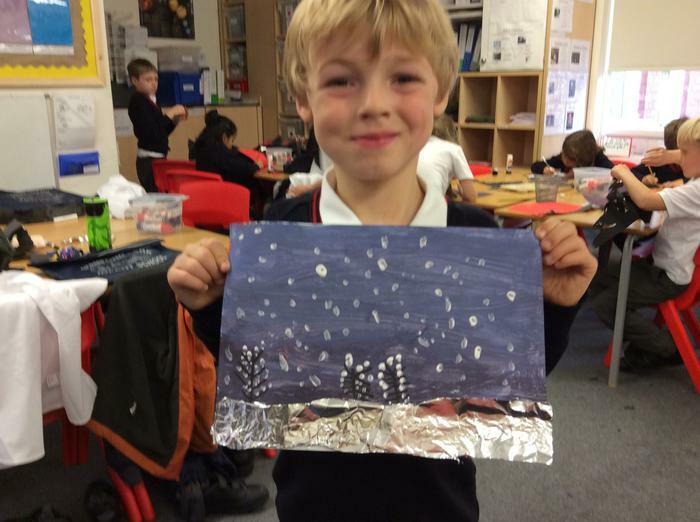 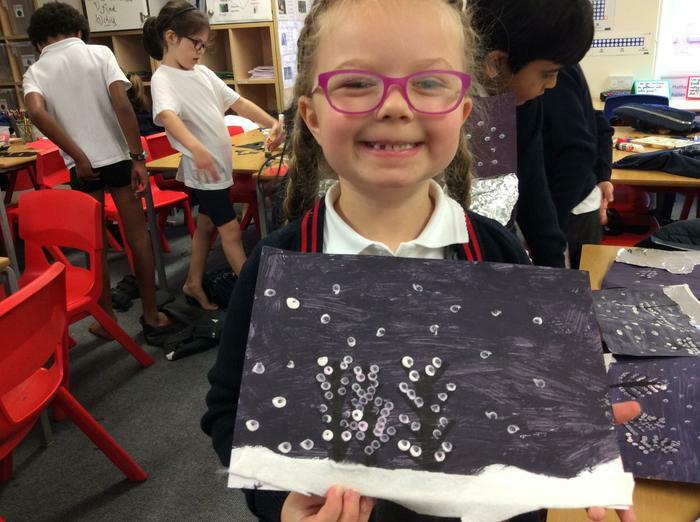 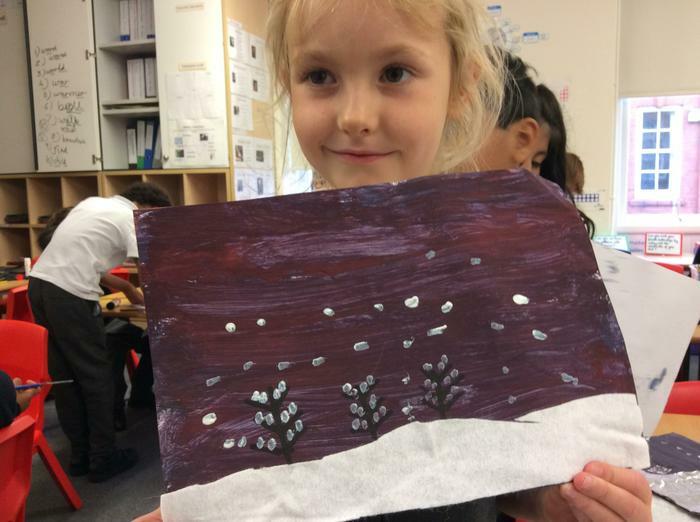 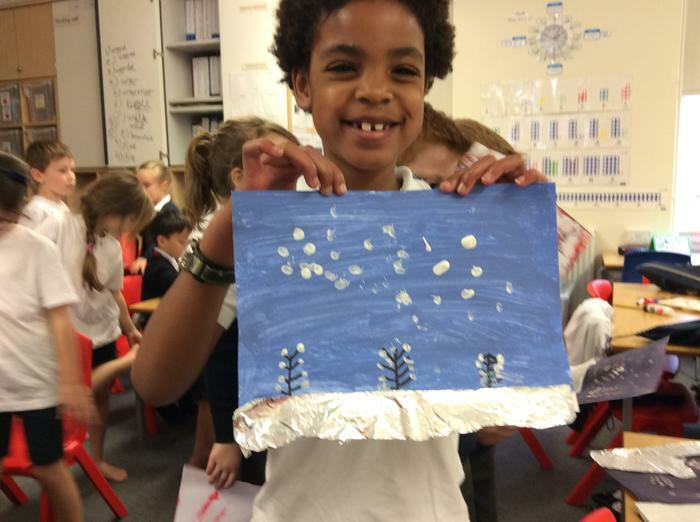 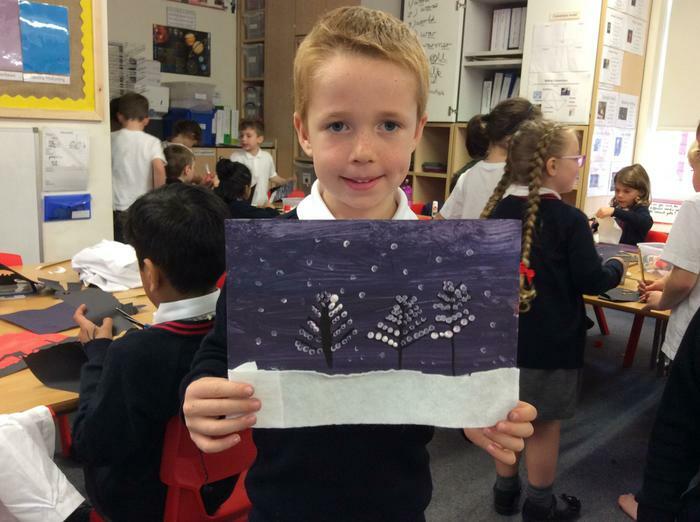 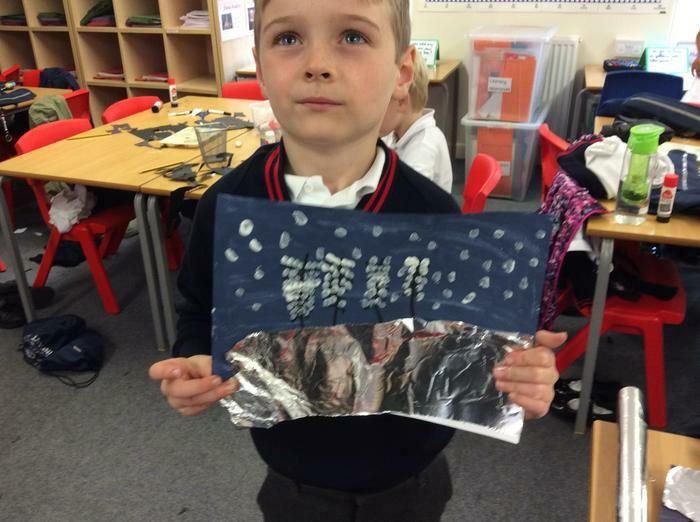 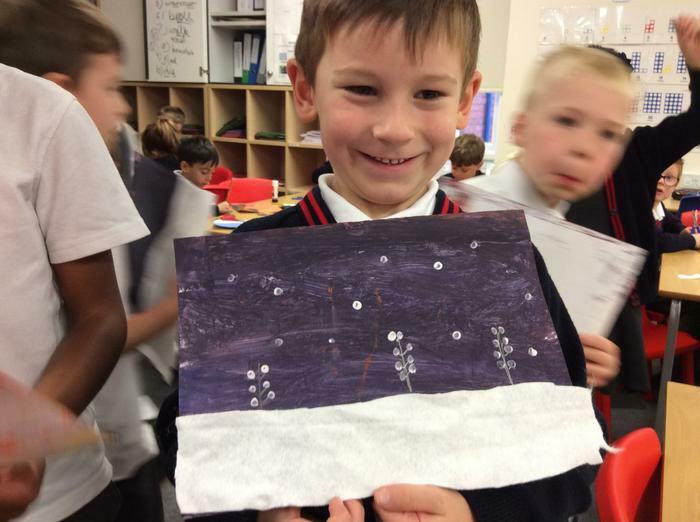 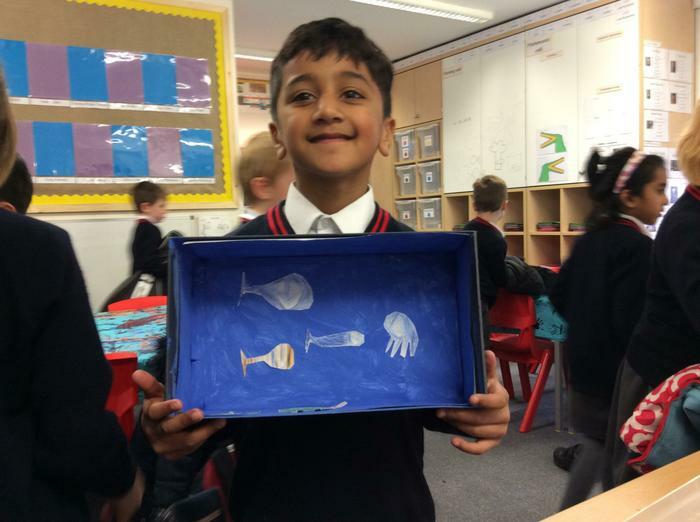 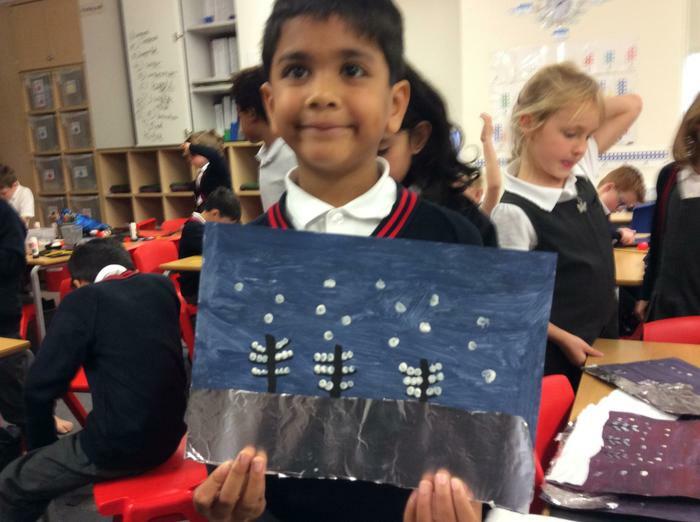 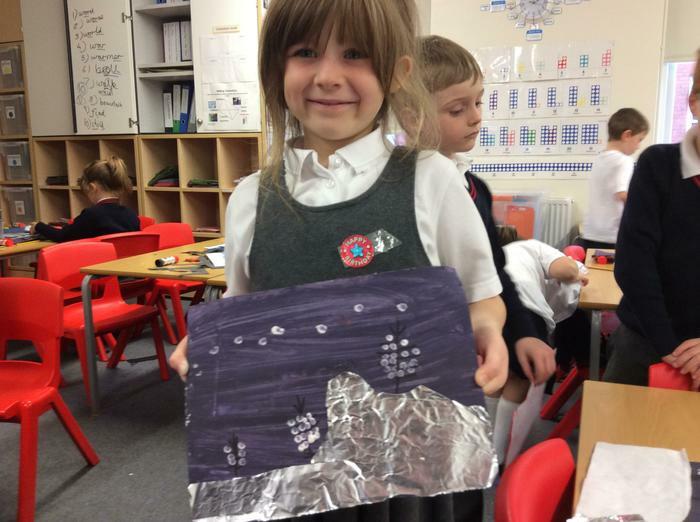 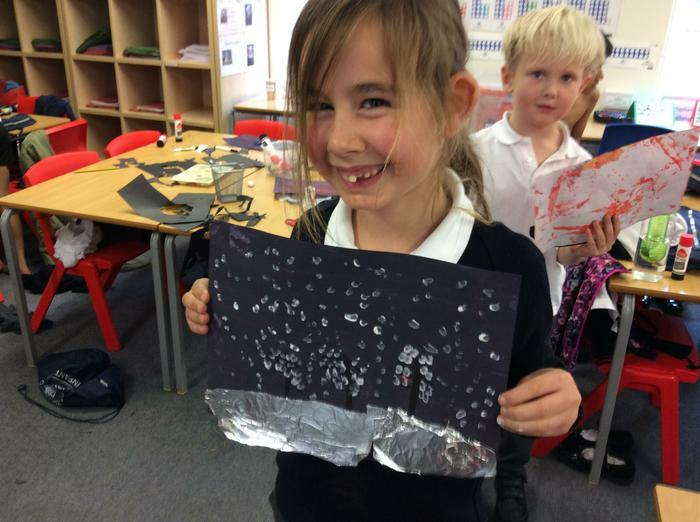 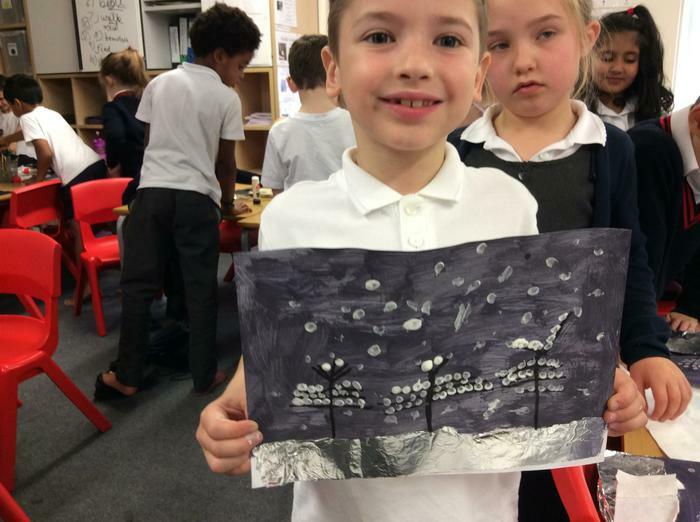 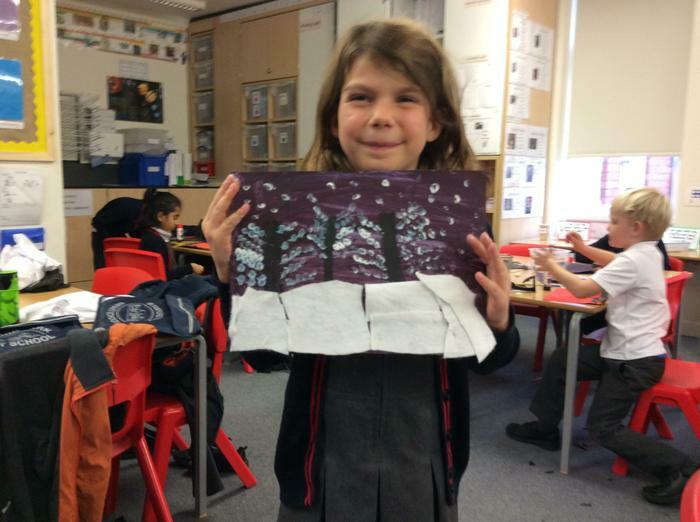 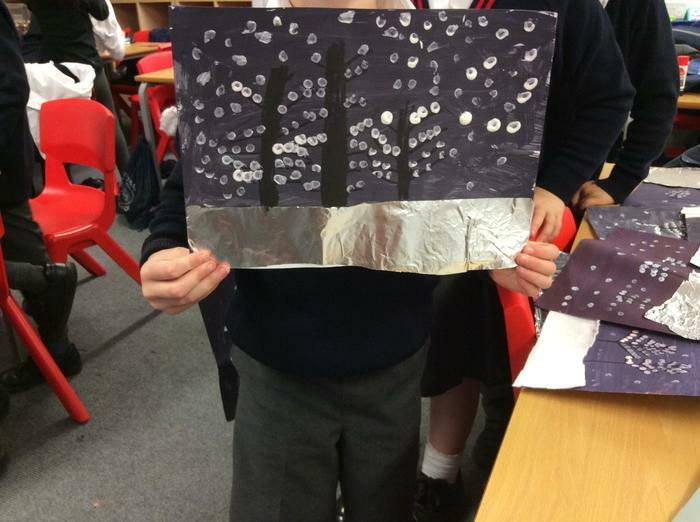 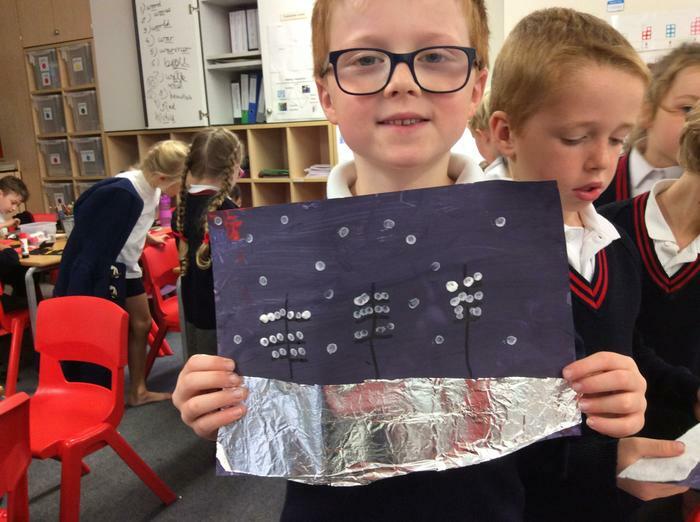 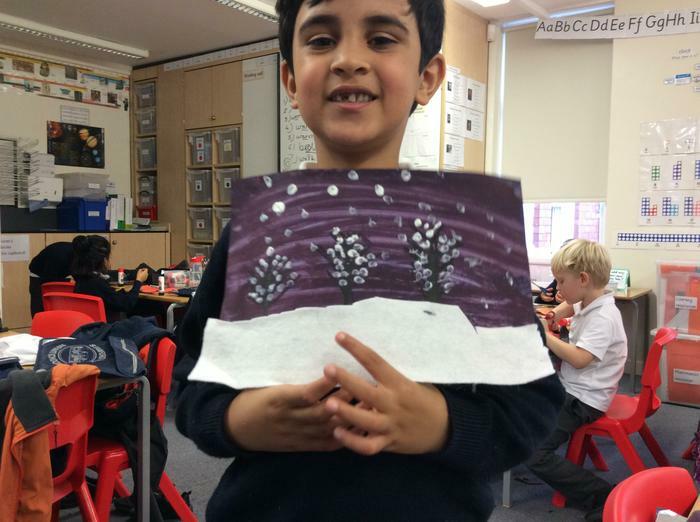 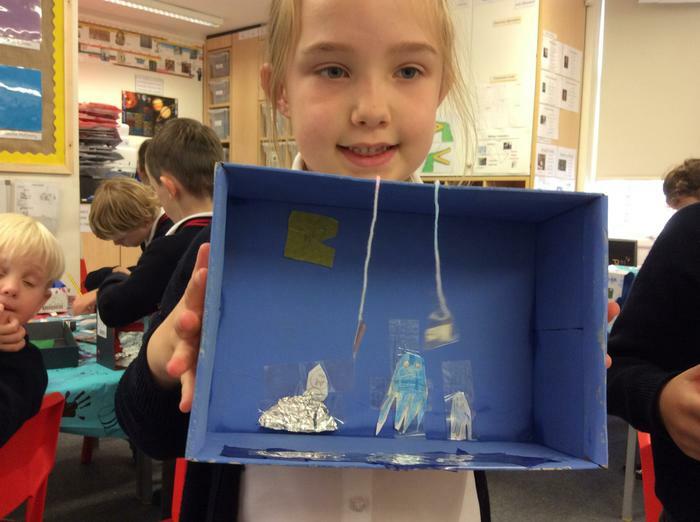 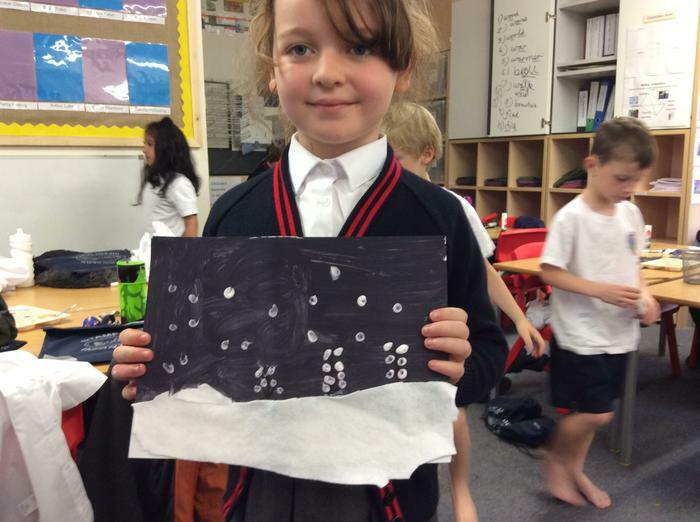 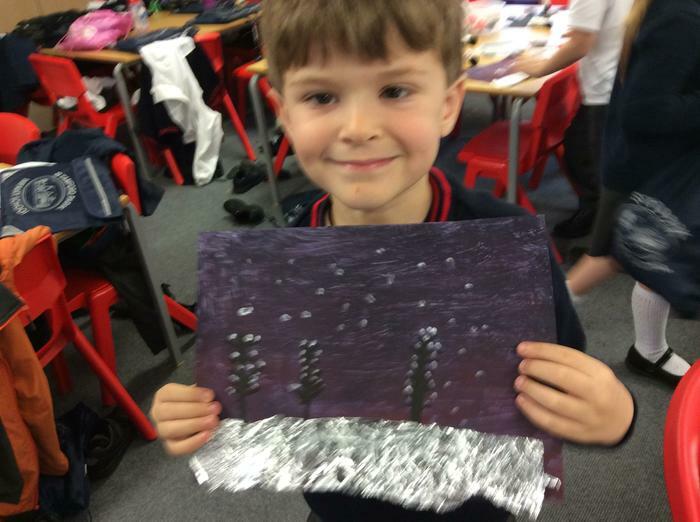 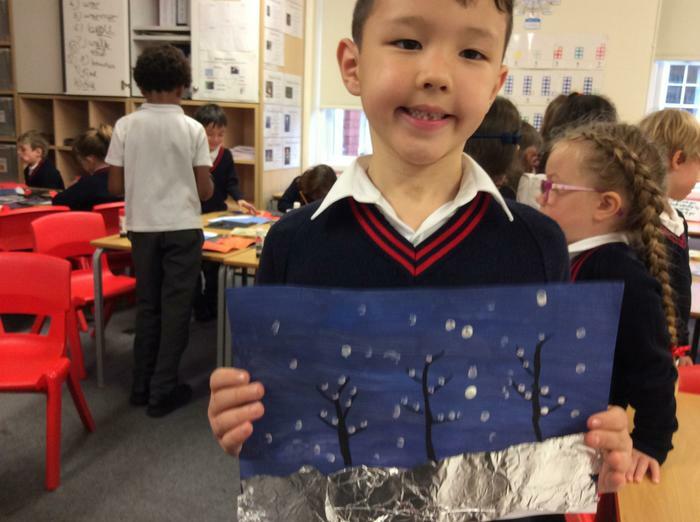 This week the children made a lovely winter scene to go on their Christmas cards. 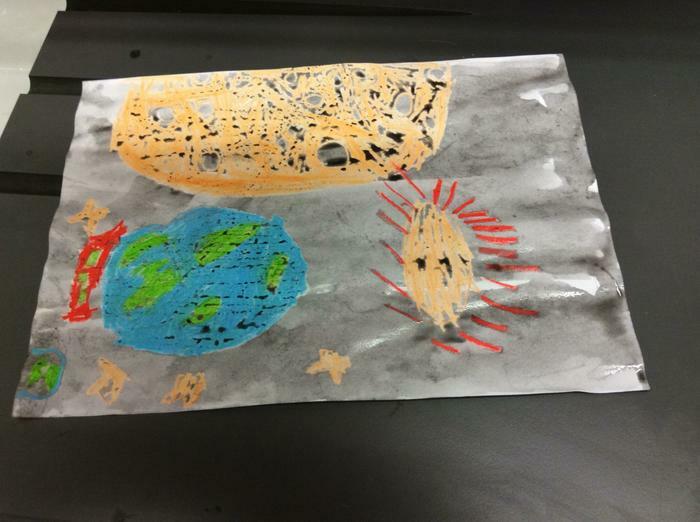 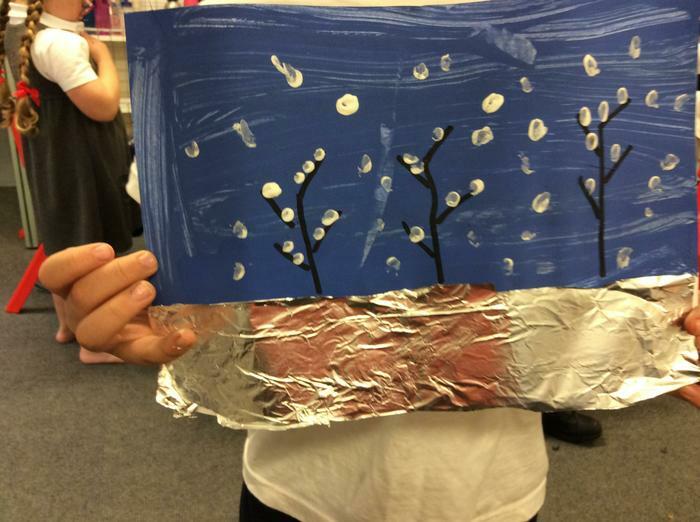 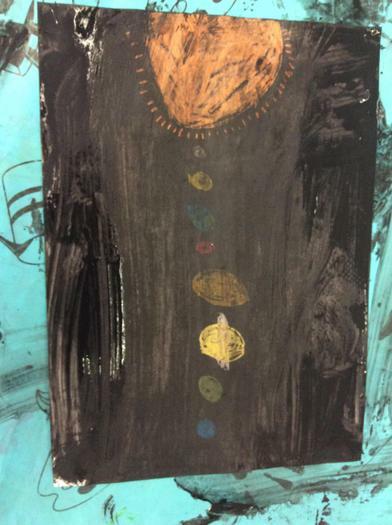 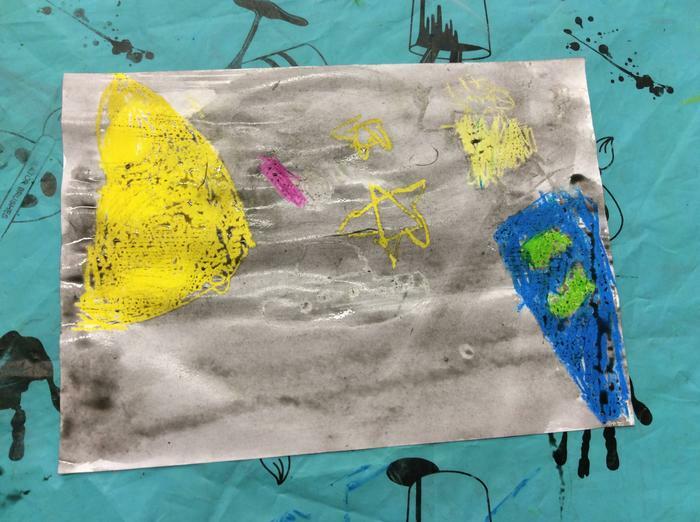 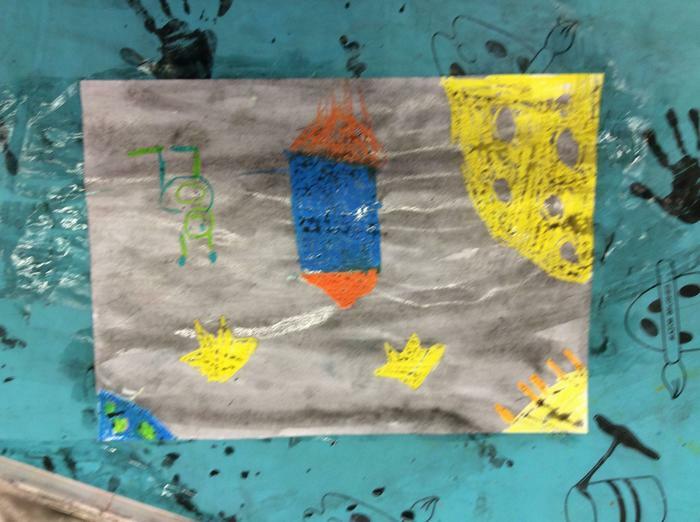 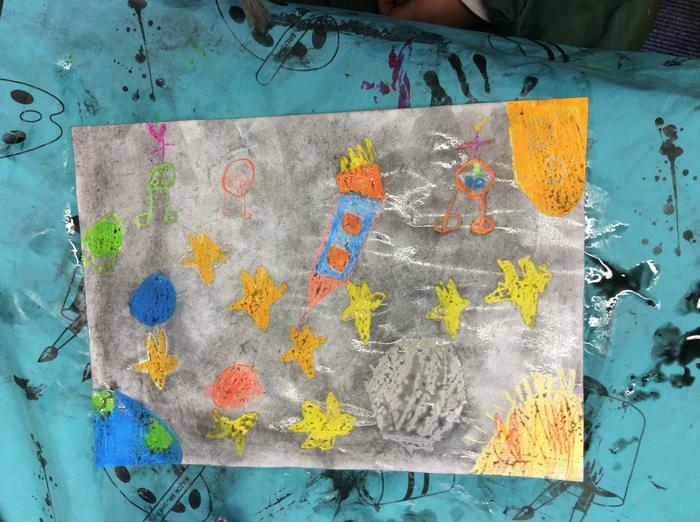 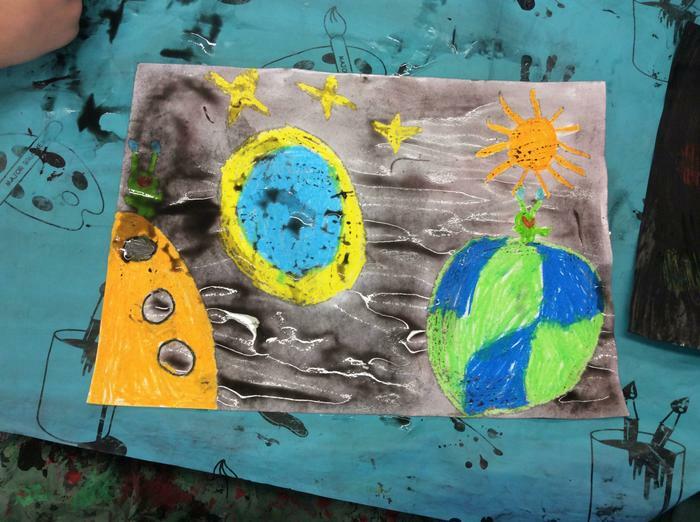 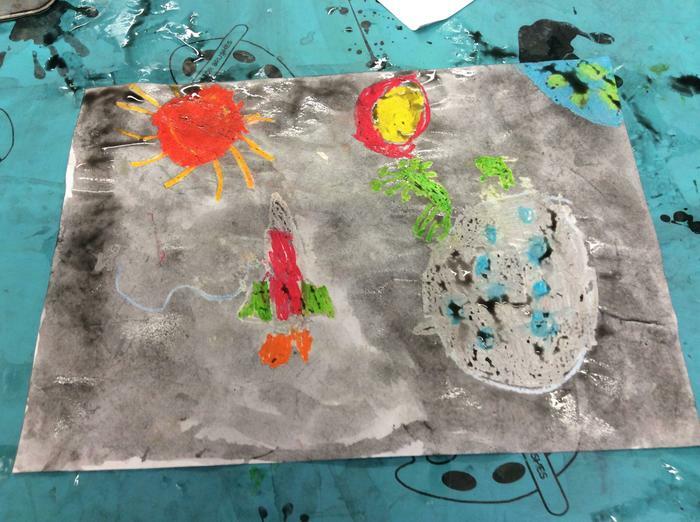 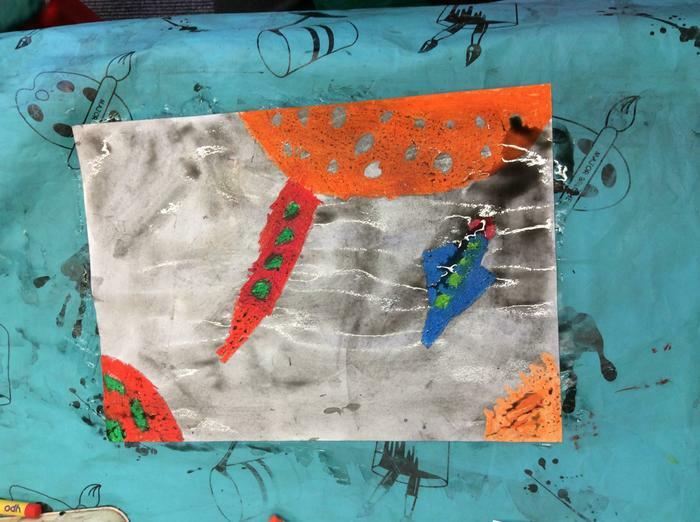 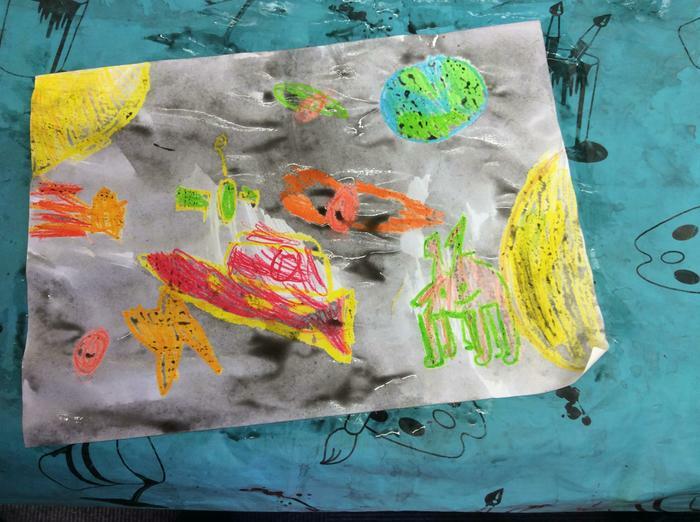 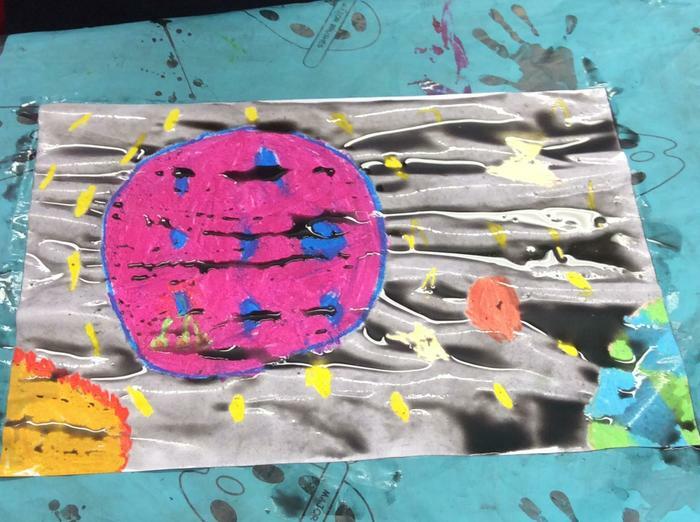 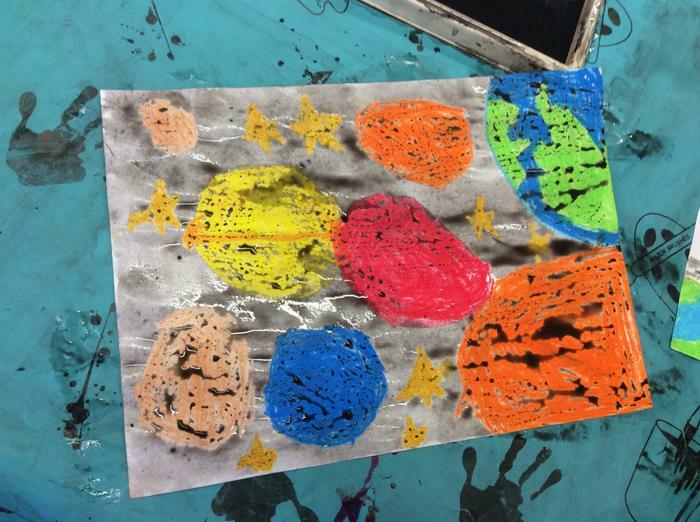 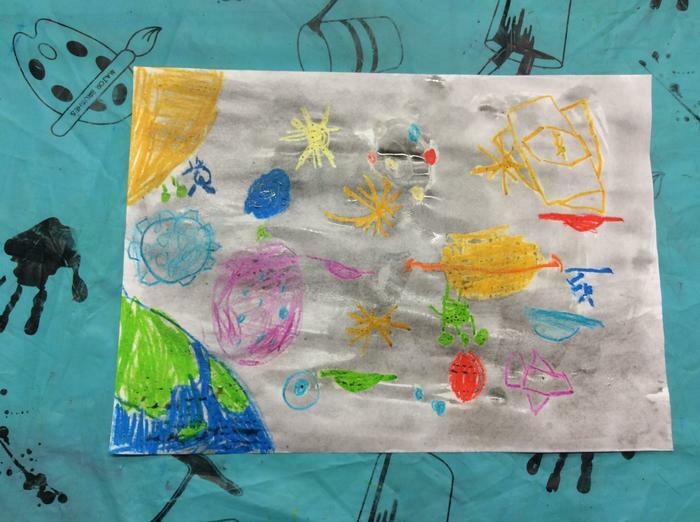 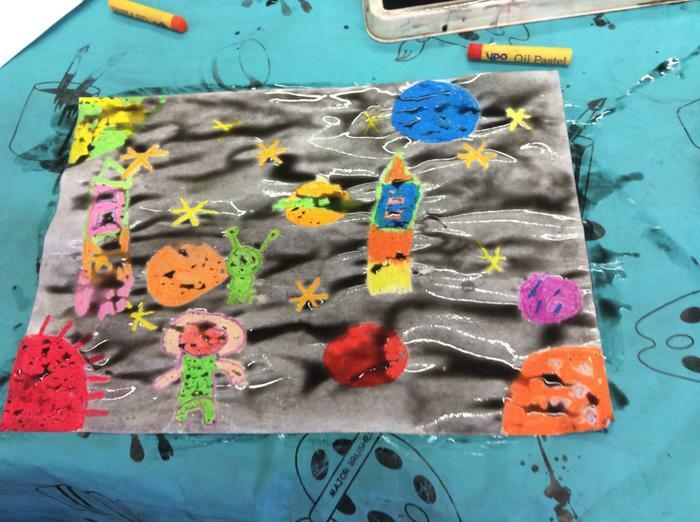 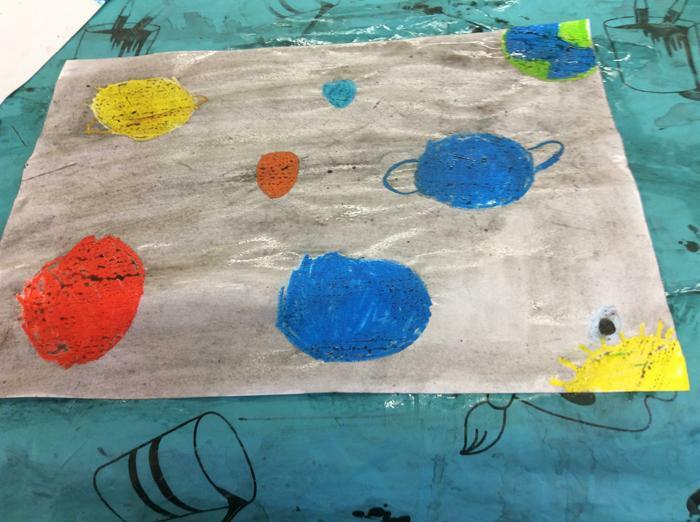 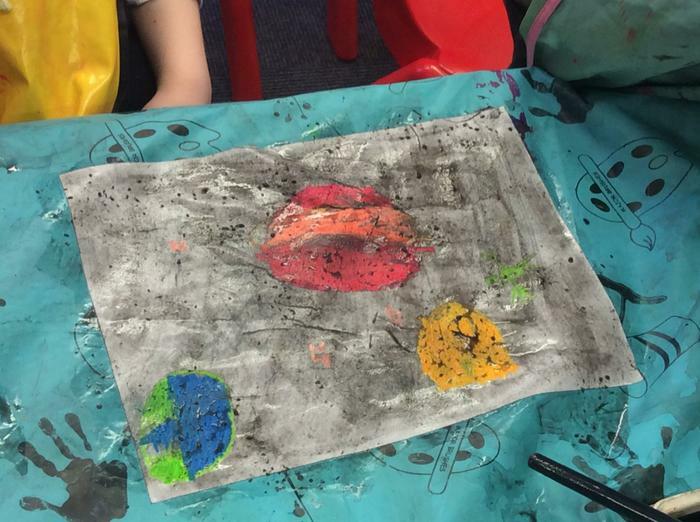 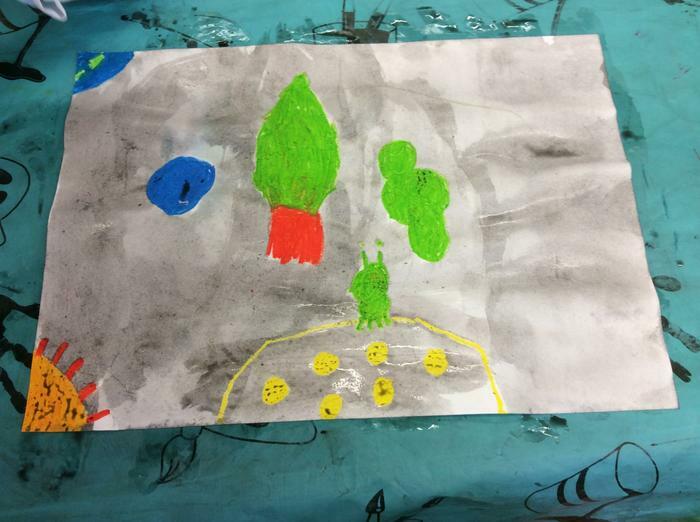 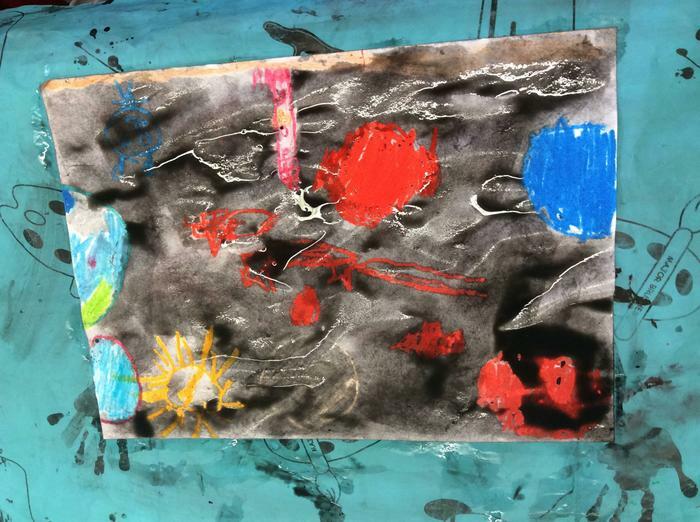 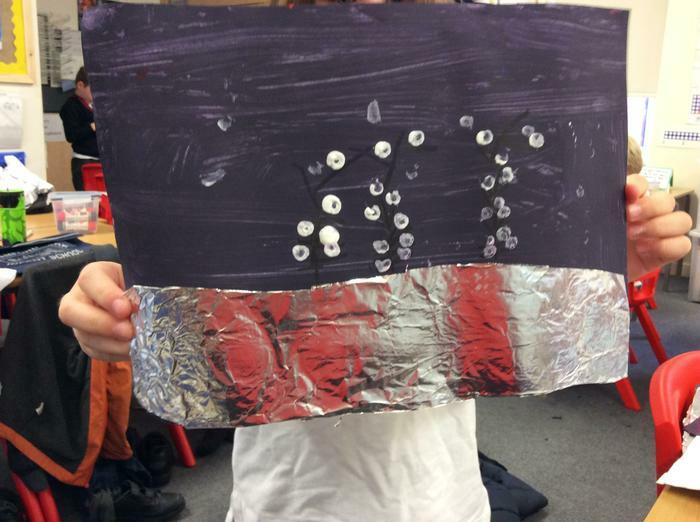 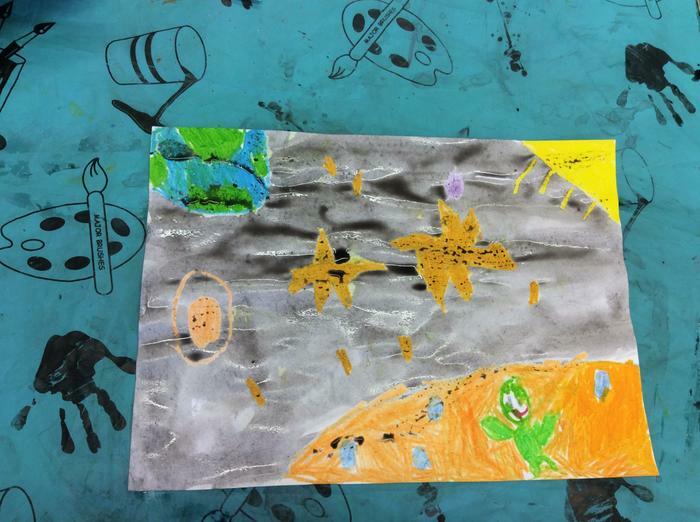 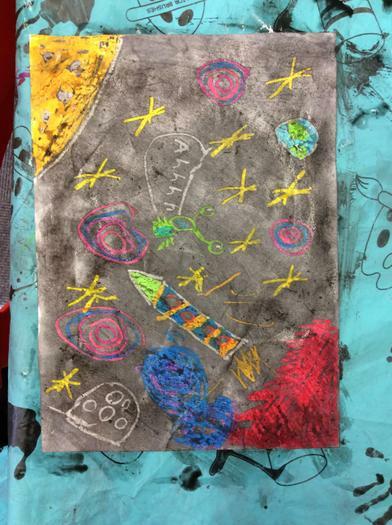 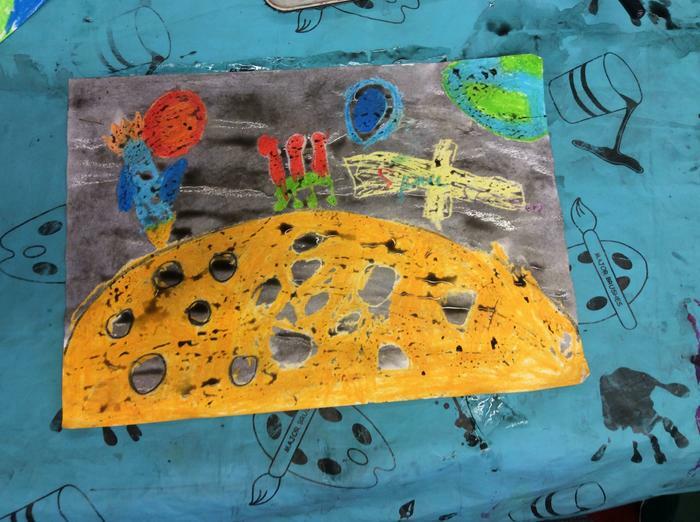 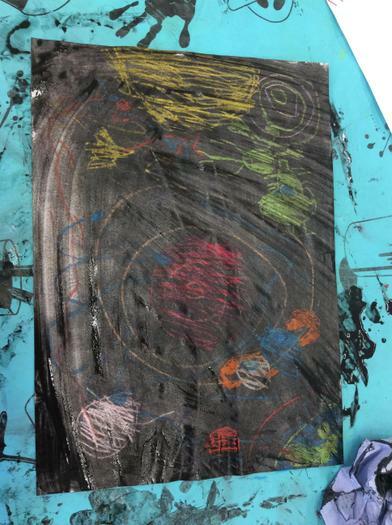 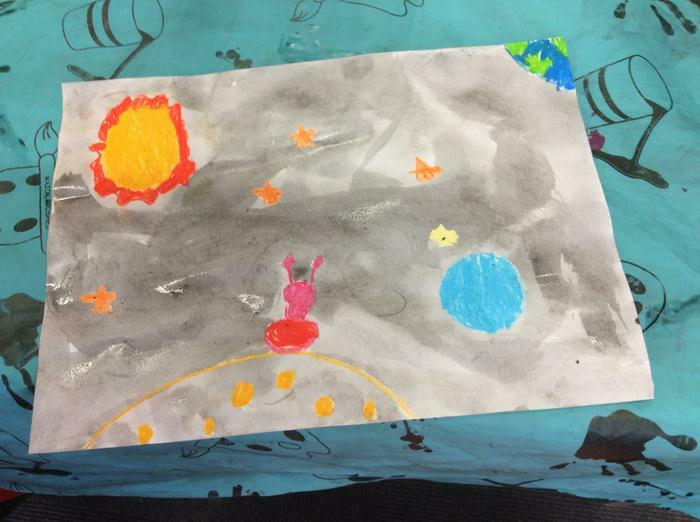 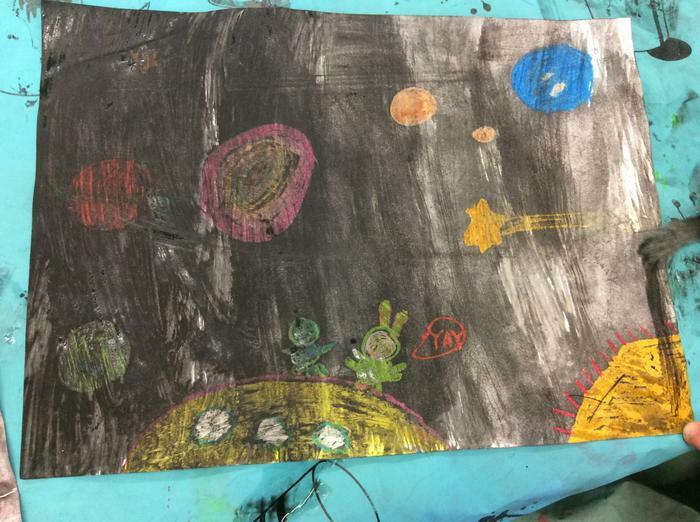 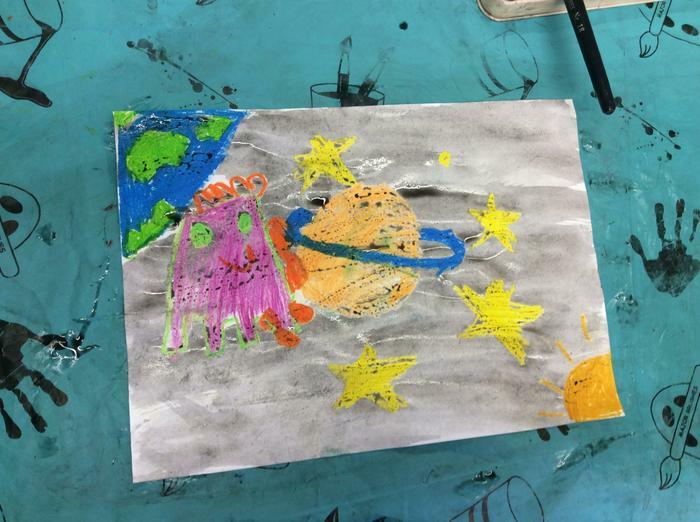 The background was created with paint, with the ground being made from foil or felt. 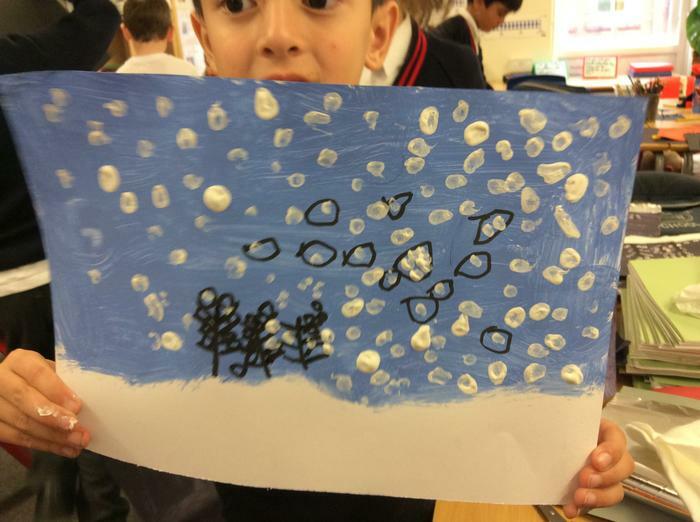 We then drew on some trees and added snow balls with cotton buds.